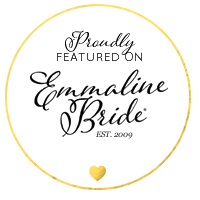 One of those rainy days and had Ray came through at Belle Vue last minute to open up his event venue for us to photograph Emily's bridal portraits. 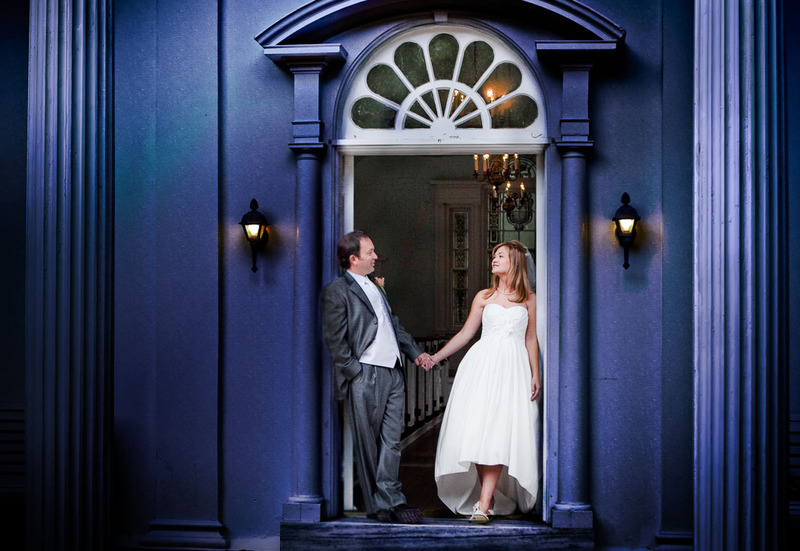 Belle Vue is a charming event space in the Historic Wilmington Downtown. 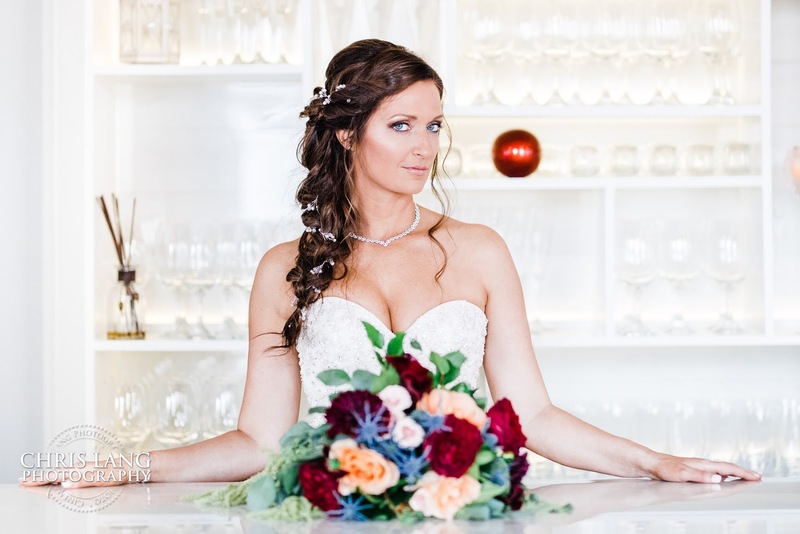 Highly recommend checking it out if you are having a small event or even better if you are a bride looking for a place to get ready the Belle Vue is set up perfectly for that. 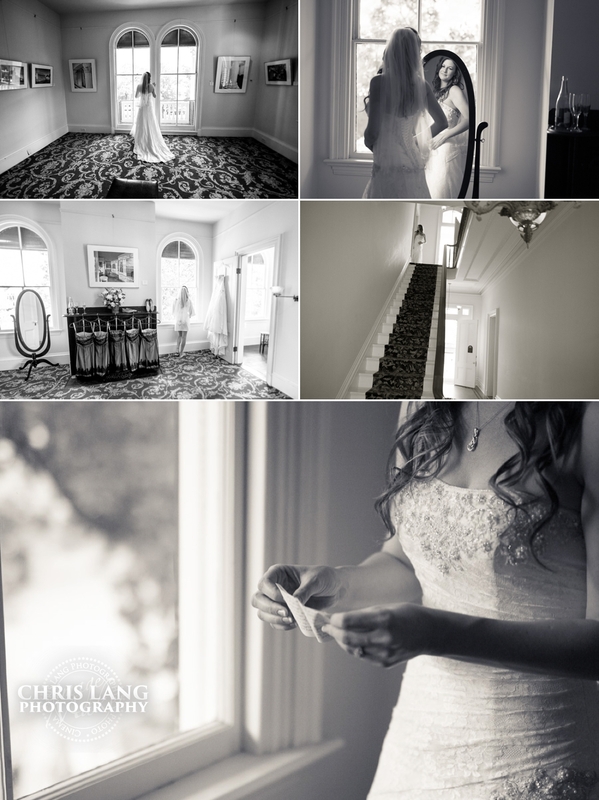 Needless to say Emily looked incredible in here wedding dress and her bridal portfolio tuned out beautifully. 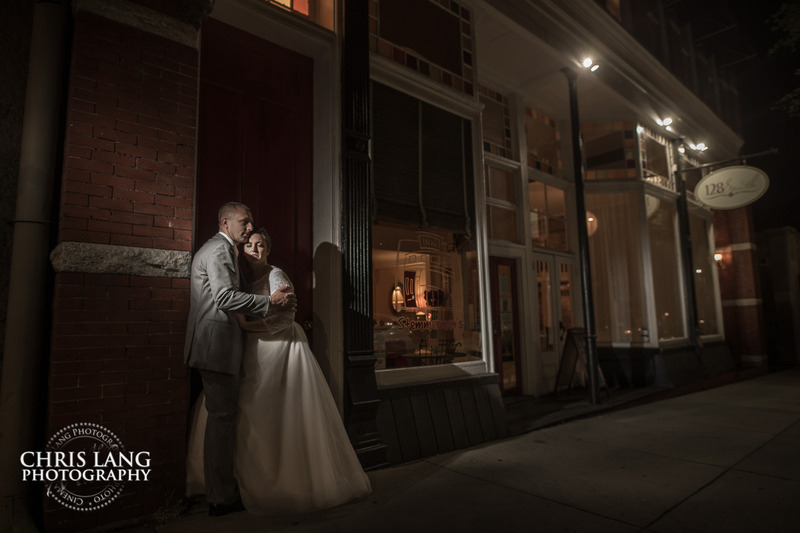 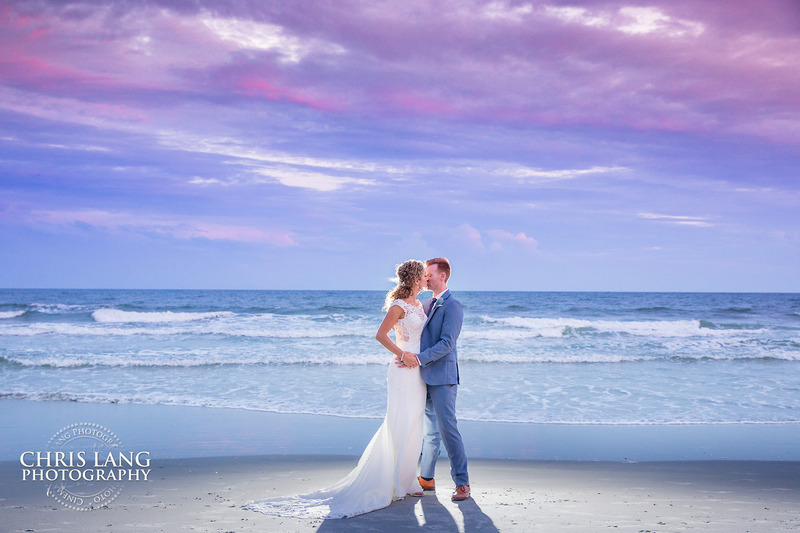 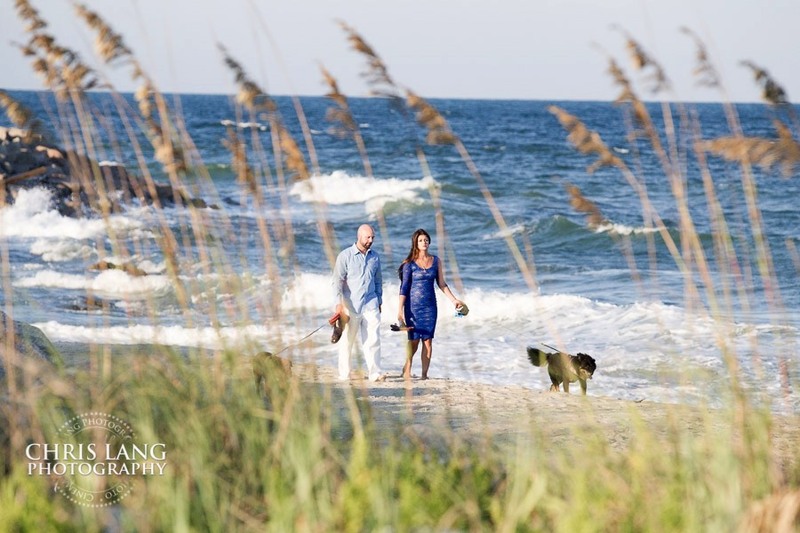 If you are looking for Wilmington NC wedding photographers be sure to stop on by our websites and see the many different styles of our Lifestyle Wedding Photography. 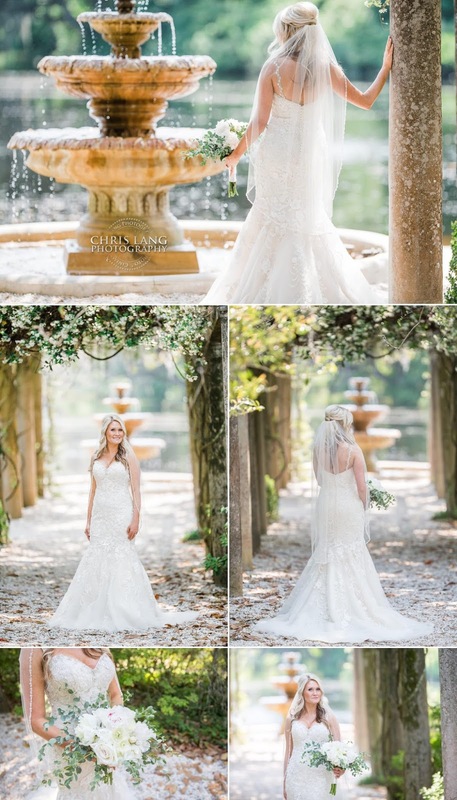 Beautiful Location, Amazing Bride, Stunning Dress! 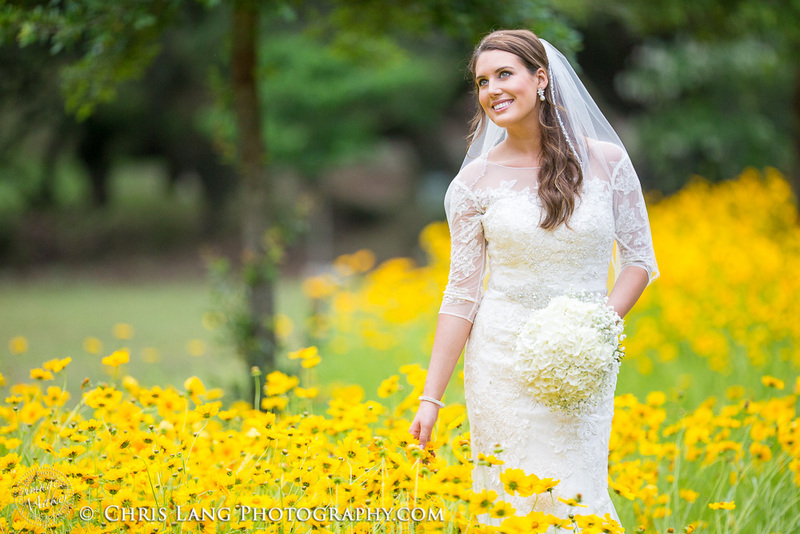 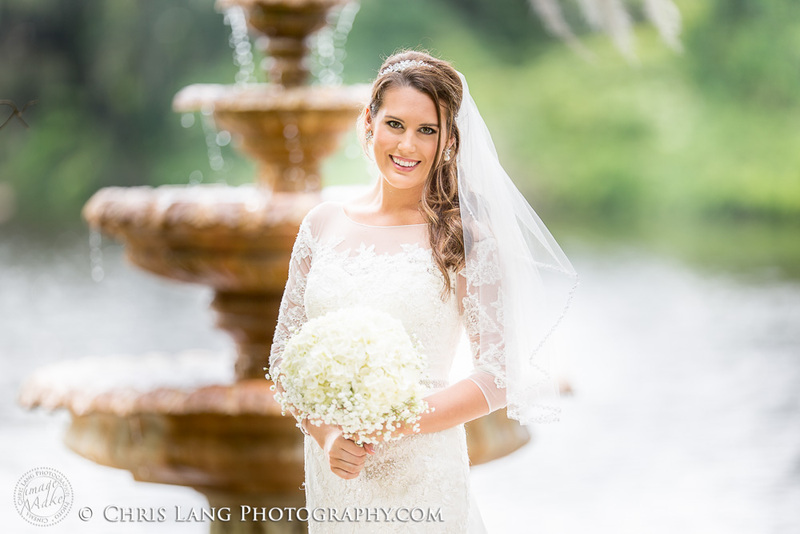 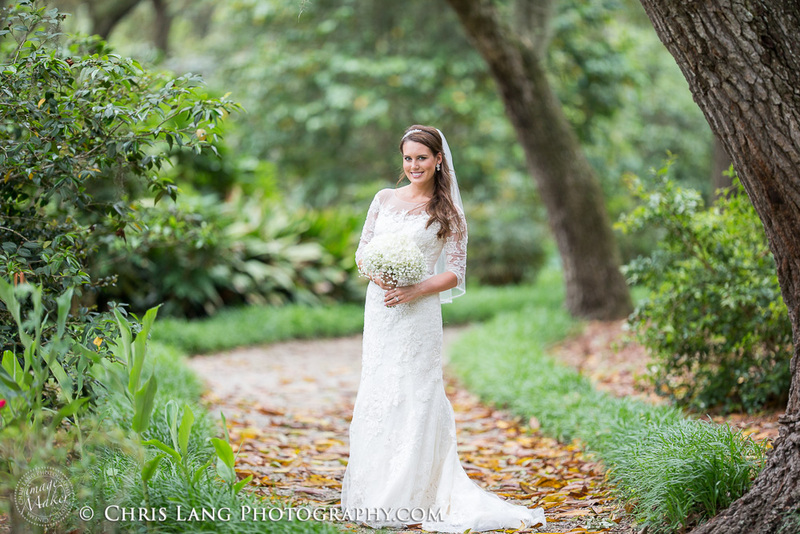 Airlie Gardens is certainly on my top of the list if not thee top for photographing bridal portraits. 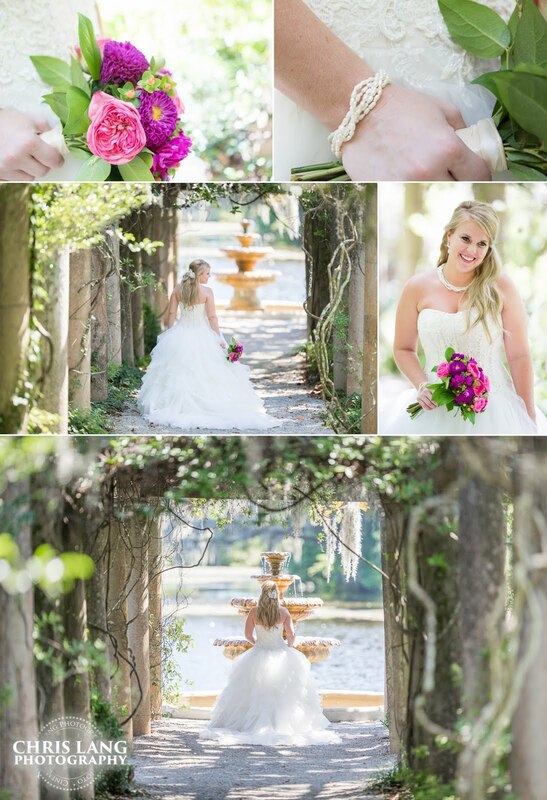 Airlie Gardens is located just a few minutes from Wrightsville Beach in Wilmington NC. 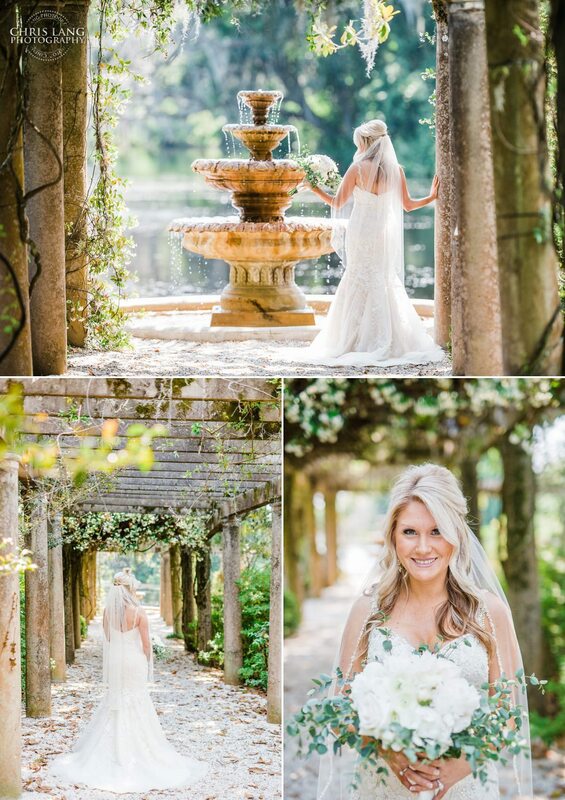 This lush garden provides stunning backdrops no matter the season. 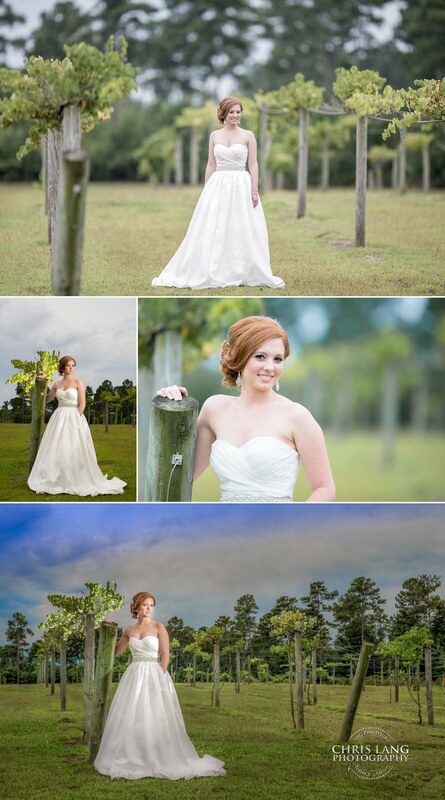 I am a huge fan of photographing bridal sessions outdoors. 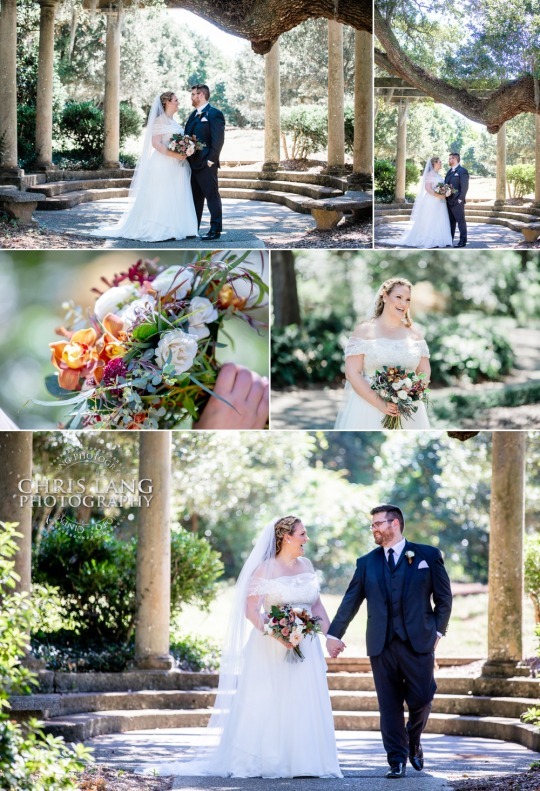 When you have huge canvas like Airlie Gardens to work with as your background it becomes more difficult to limit your locations inside the garden rather than trying to find locations that might work as 2 hours session fly by. 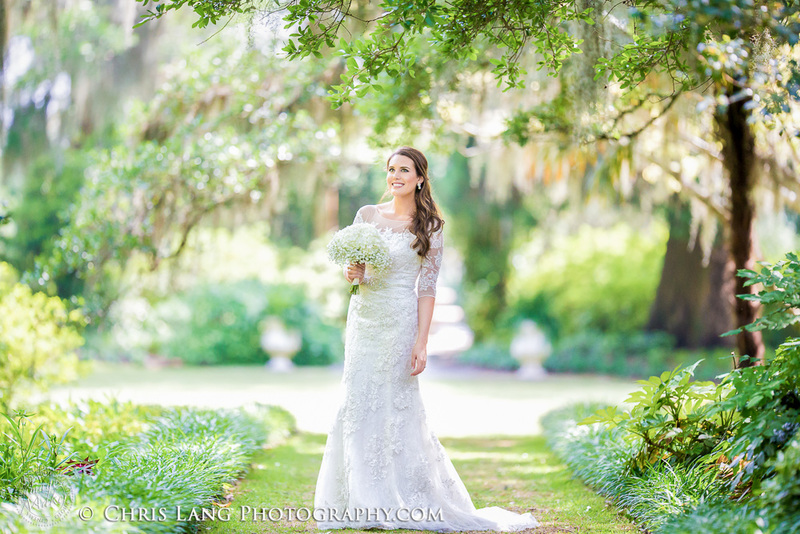 Airlie Gardens is a candy jar of incredible backdrops. 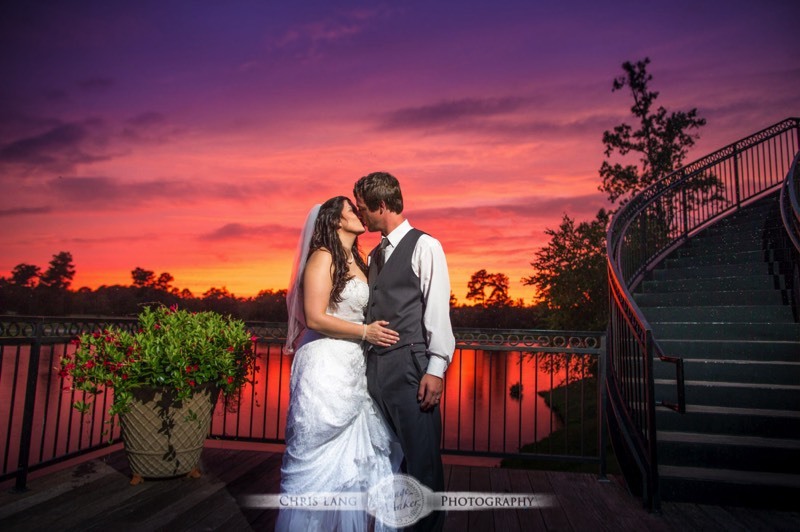 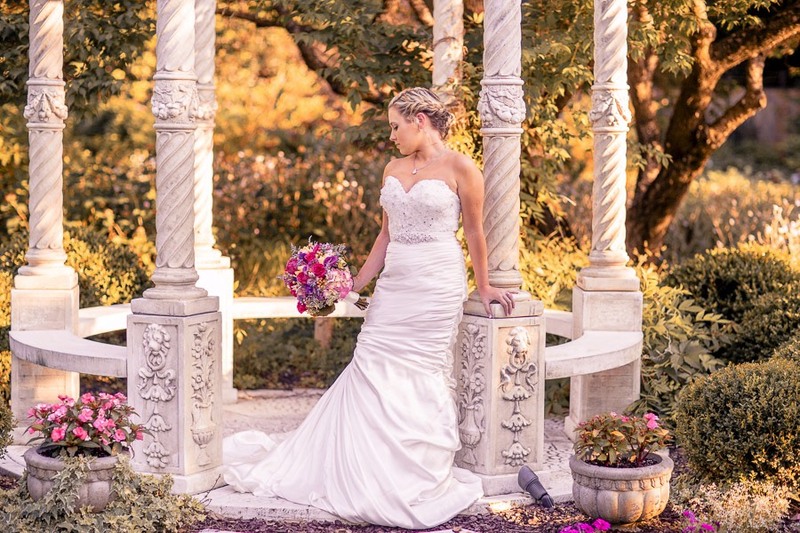 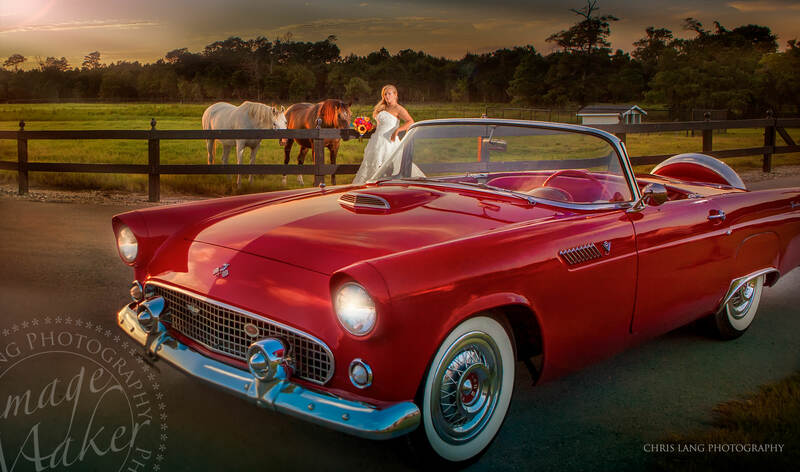 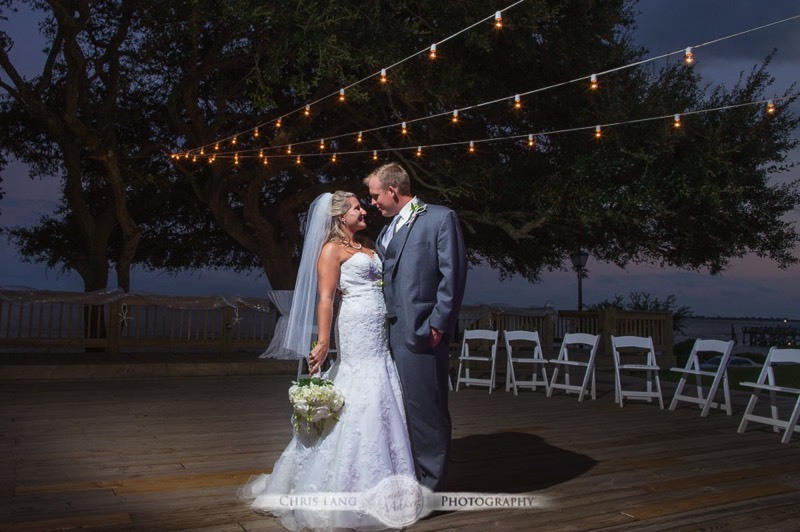 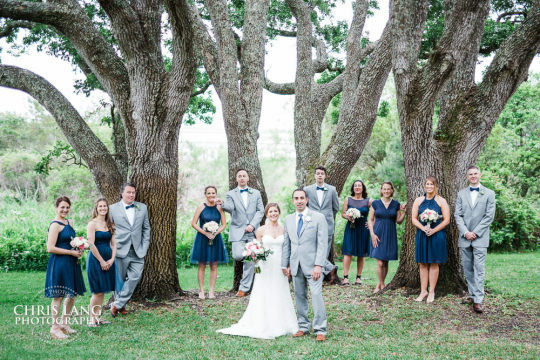 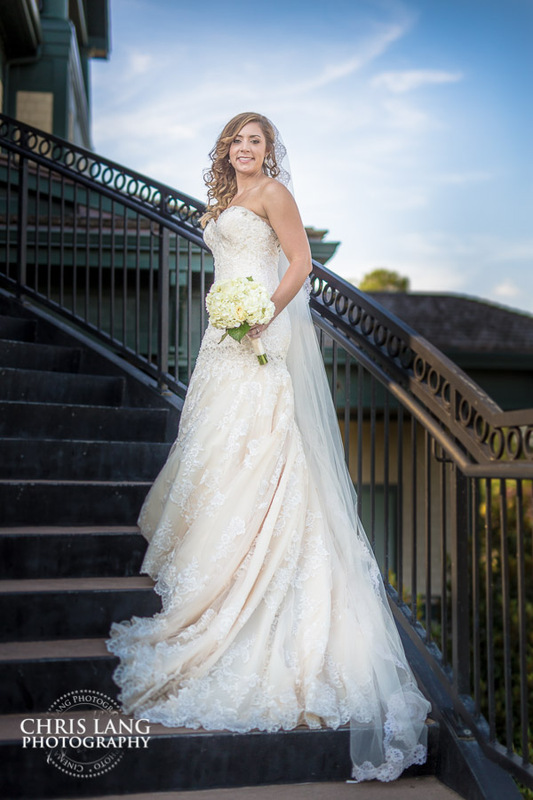 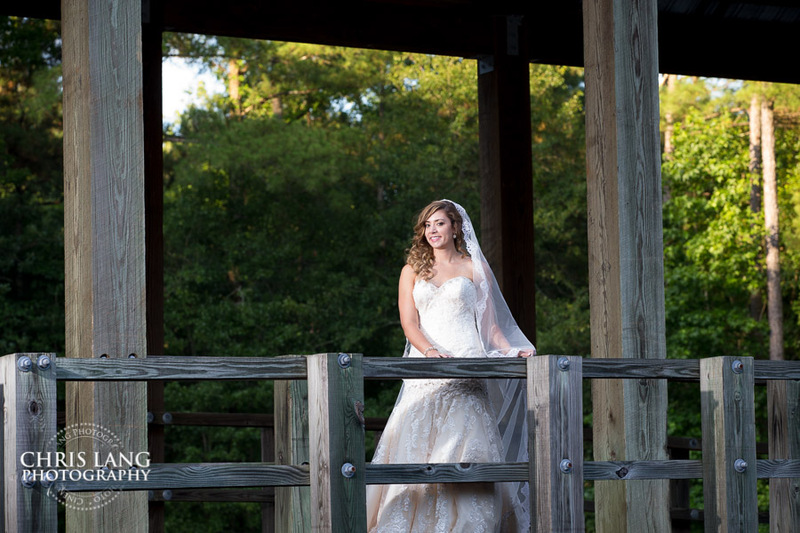 If you are looking for a perfect location to have your wedding, or to photograph your bridal portraits, Airlie Gardens weddings may be the place for you. 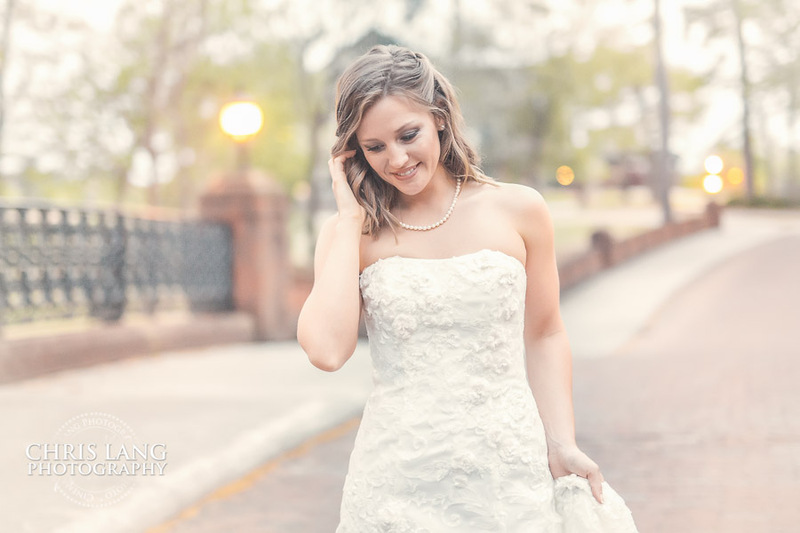 I just loved how this session with Connor came out and to be honest, she made my job easy creating these bridal portraits. 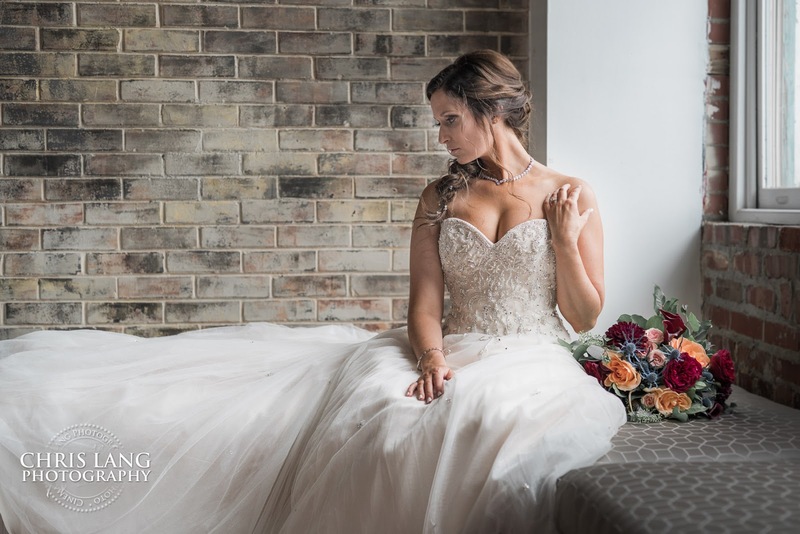 Even though locations influence the photography and style, for me, it is the bride, her personality and her dress that make the bridal photography come alive. 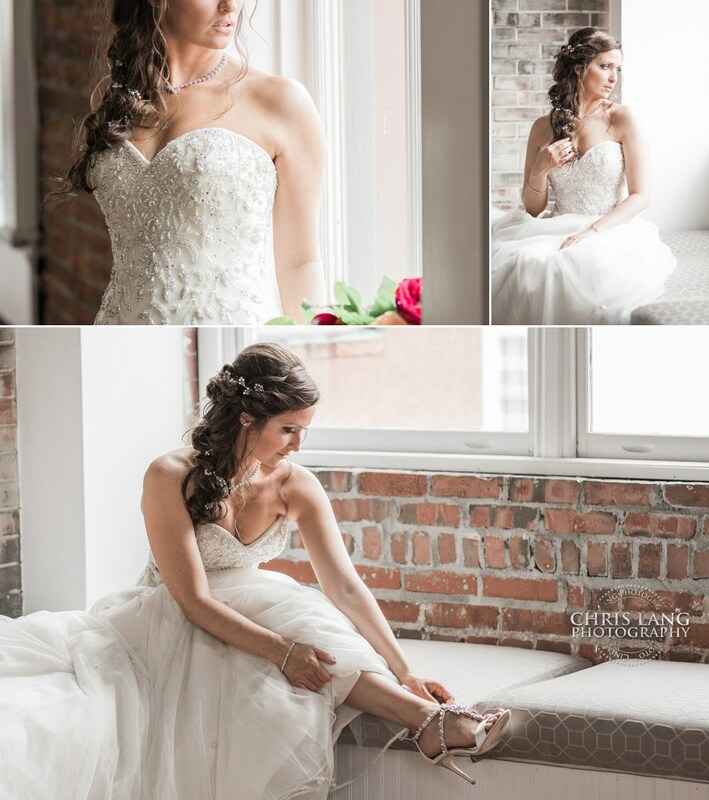 If I had my way I think every bride should shave a bridal session. 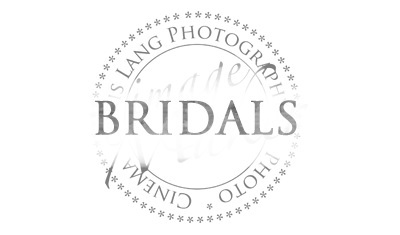 For bridal photography I like to create on different cameras and use different brands such as canon, fuji and sony cameras in my current work flow. 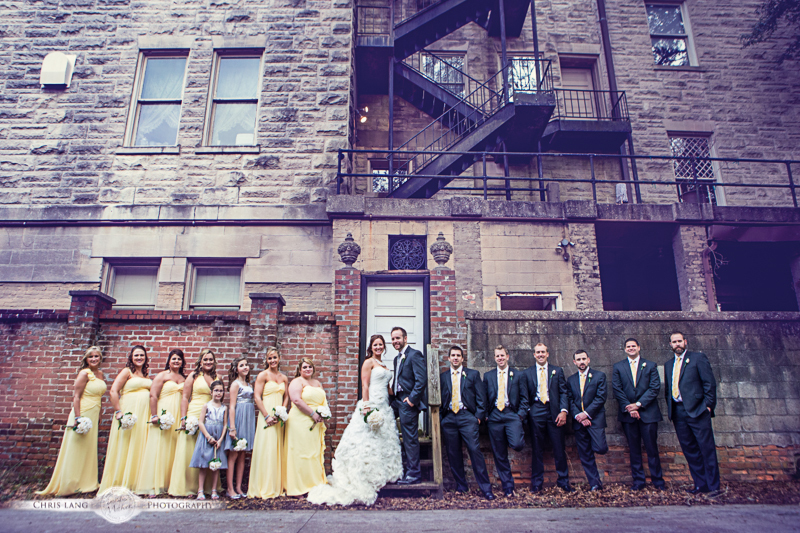 They all have their own personalities and characteristics. 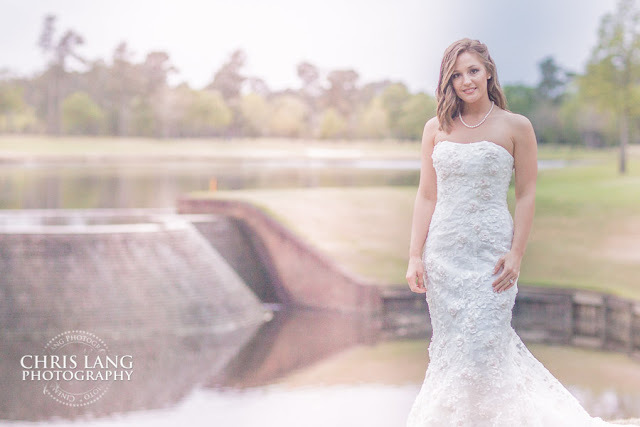 For me, it really comes down to the lenses. 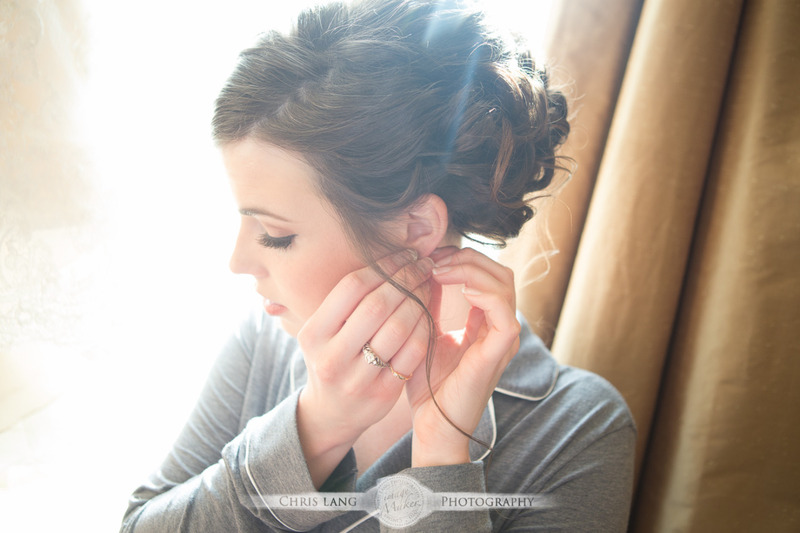 For bridal sessions I get to use one of my all time favorites. 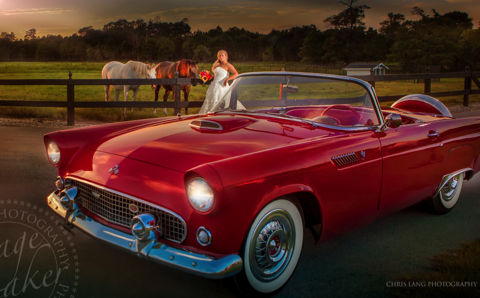 The legendary Canon 200 f2. 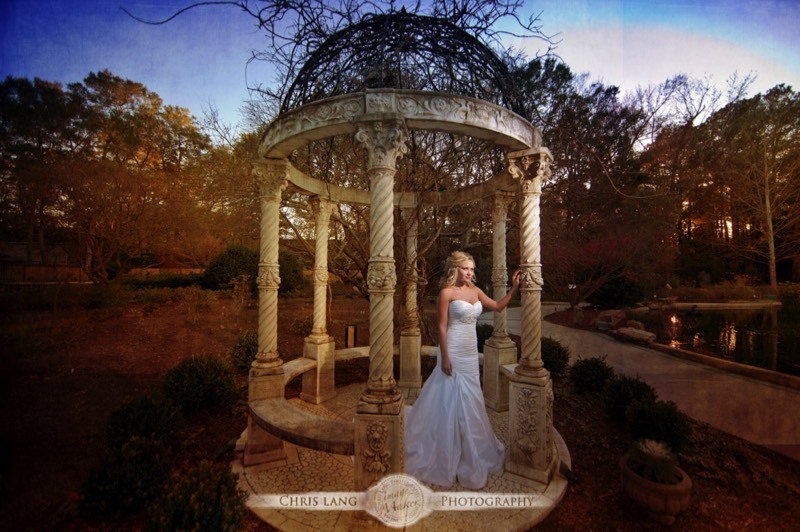 This is a lens that really has no other comparison in regards to the compression and style. 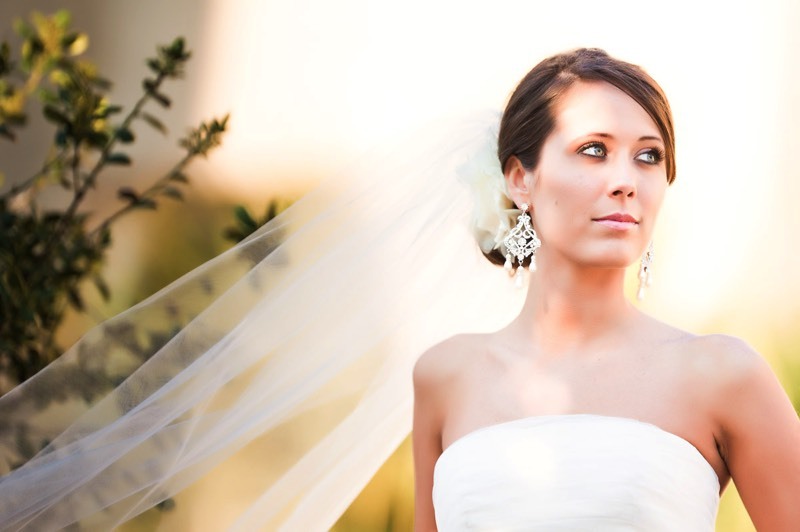 This is the one lens I can shoot wide-open with no hesitation in losing detail or have issues of softness. 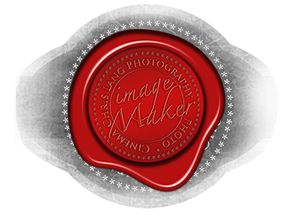 Truly is a master piece lens that separates itself apart in style. 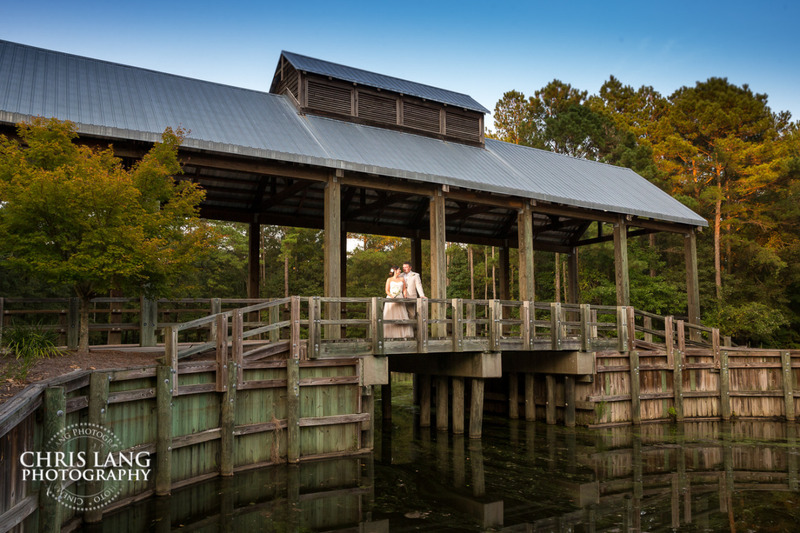 River Landing is not only a beautiful wedding venue but also makes for the perfect location and backdrop for bridal photography. 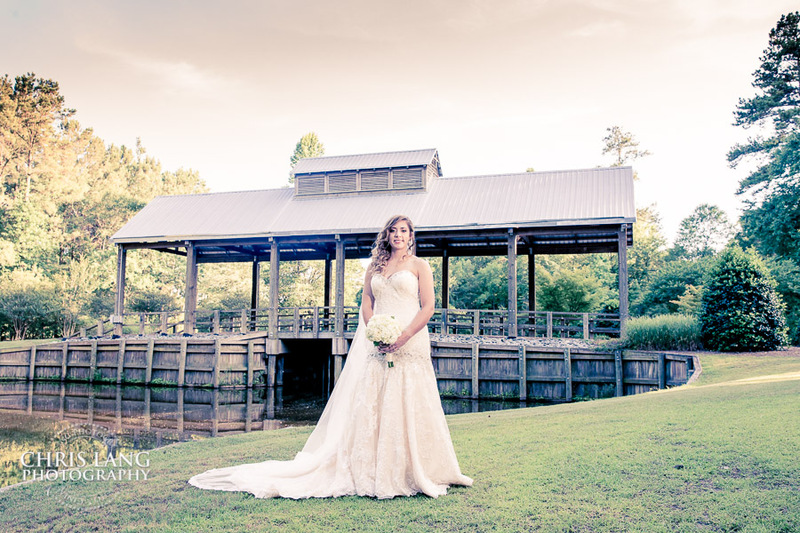 Christina was having her wedding on the River Landing Veranda and wanted to have her bridal portrait made in some of the popular River Landing photography locations. 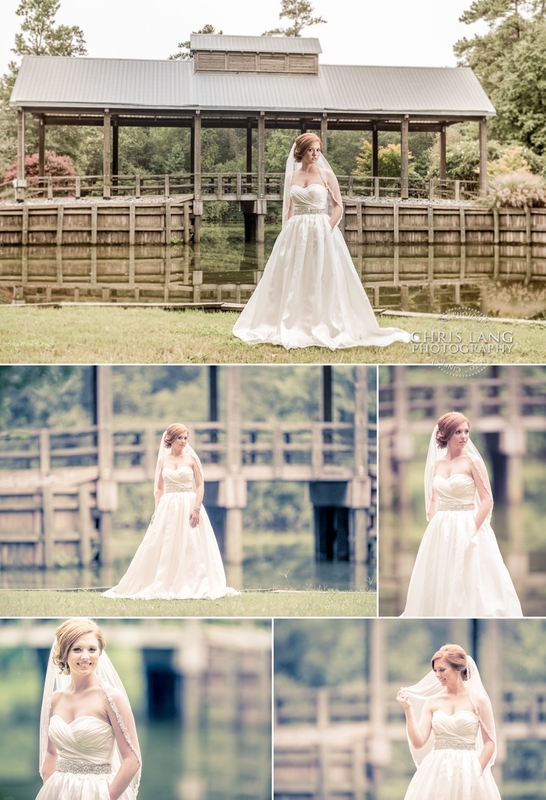 The above pictures were made on the deck overlooking the pond by the River Landing covered bridge. 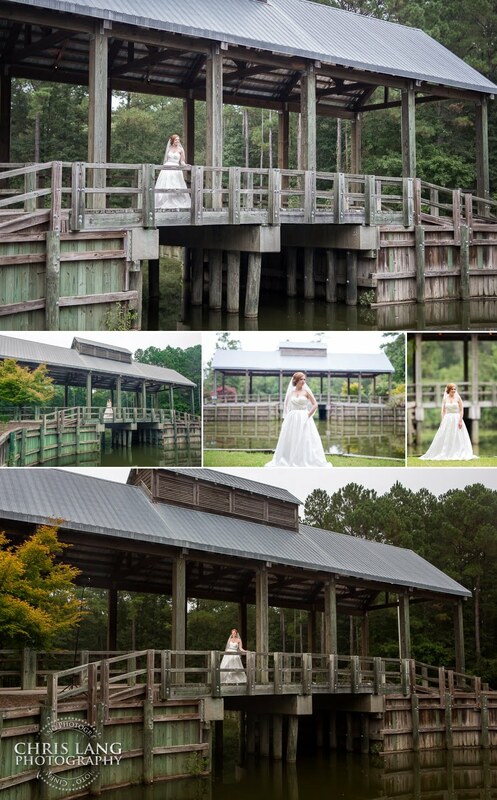 The above series of pictures were made at the River Landing Covered Bridge . 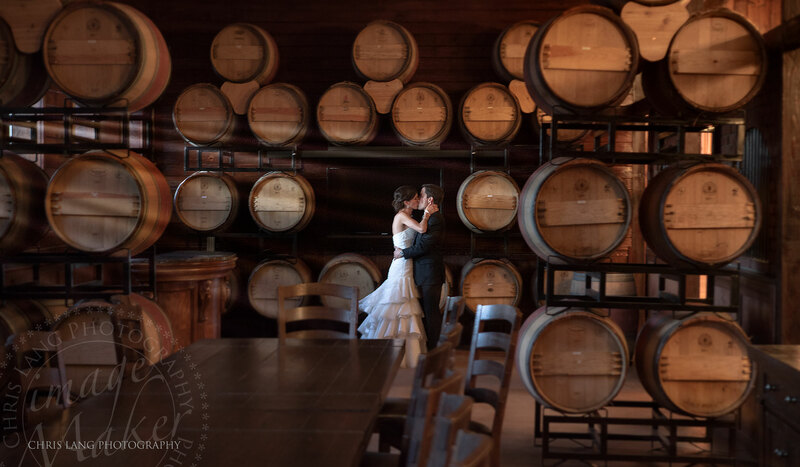 One of my favorite places for sure on a wedding day. 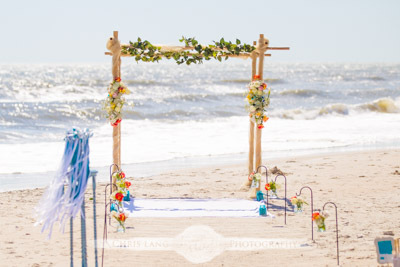 Such a classic presentation and backdrop for any wedding. 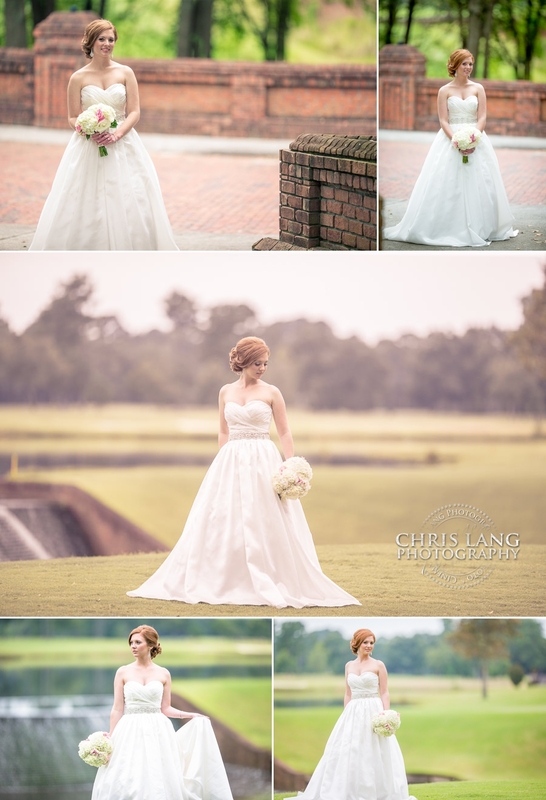 The day we photographed Christina's bridal session it was raining so for more than half the time were were photographing inside the River Landing club house or under cover areas. 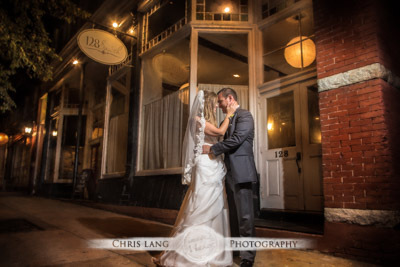 The above photos were made in the front of the clubhouse under the front door awning. 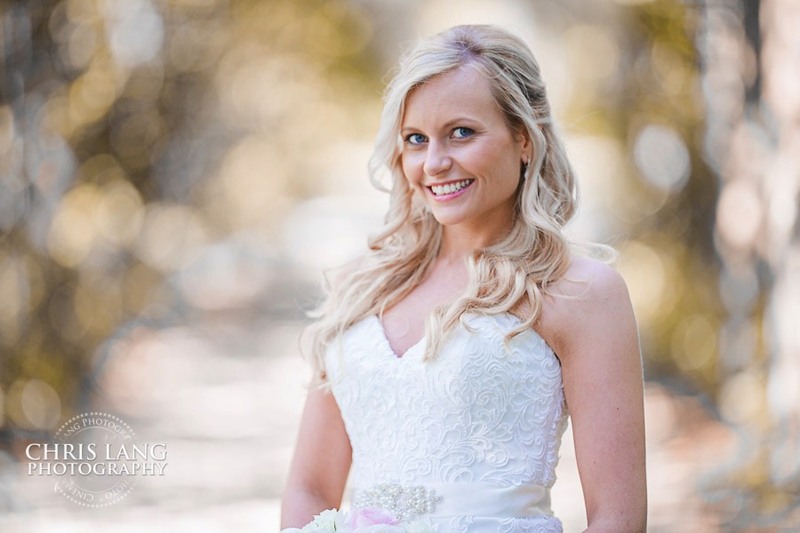 To create the impression of a bright beautiful day I used a canon 200 f2 telephoto lens to blow out the background and used a small bush behind Christina to create a natural garden style feel and look. 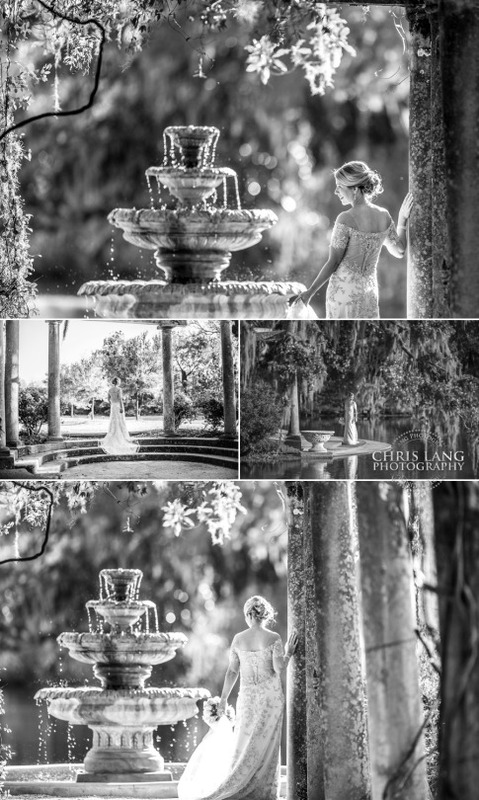 Using this lens allows me to do things that most other lenses cannot as you can seen in the pictures above. 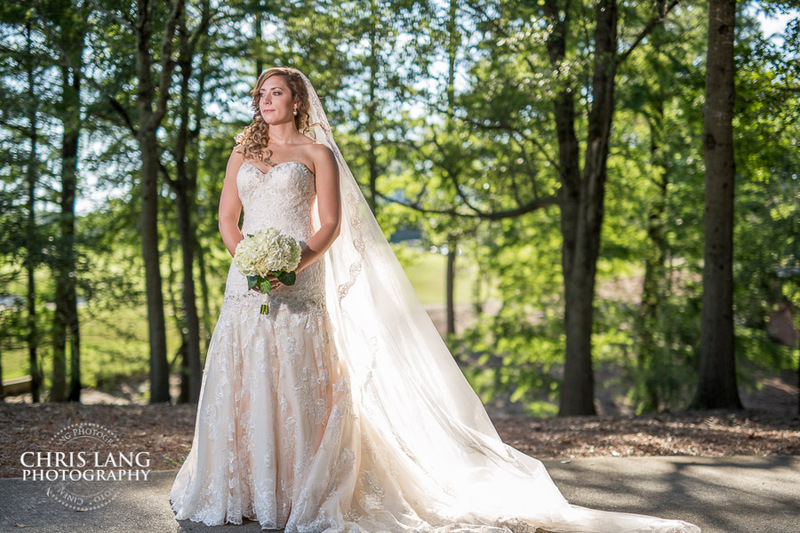 One would not think that there was a parking lot behind her. 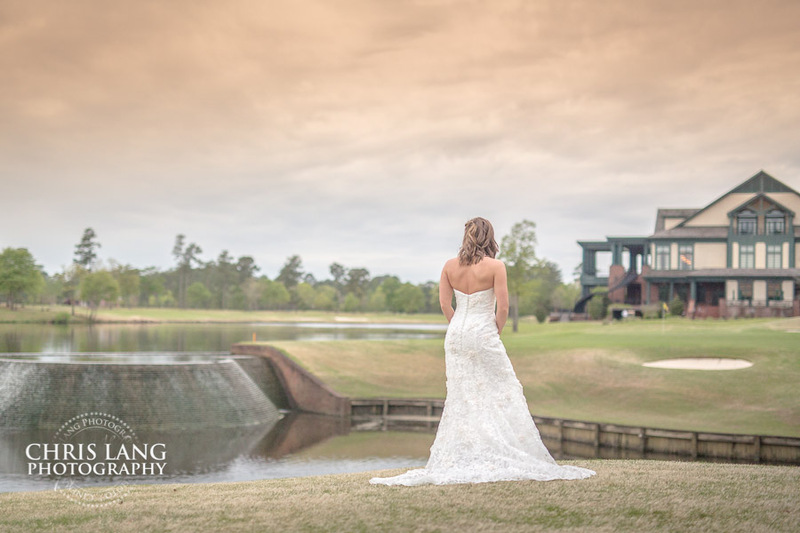 Due to weather at this point in the session, we did not know if we were going to have a chance to make it outside to the River Landing brick bridge or the waterfall on 18. 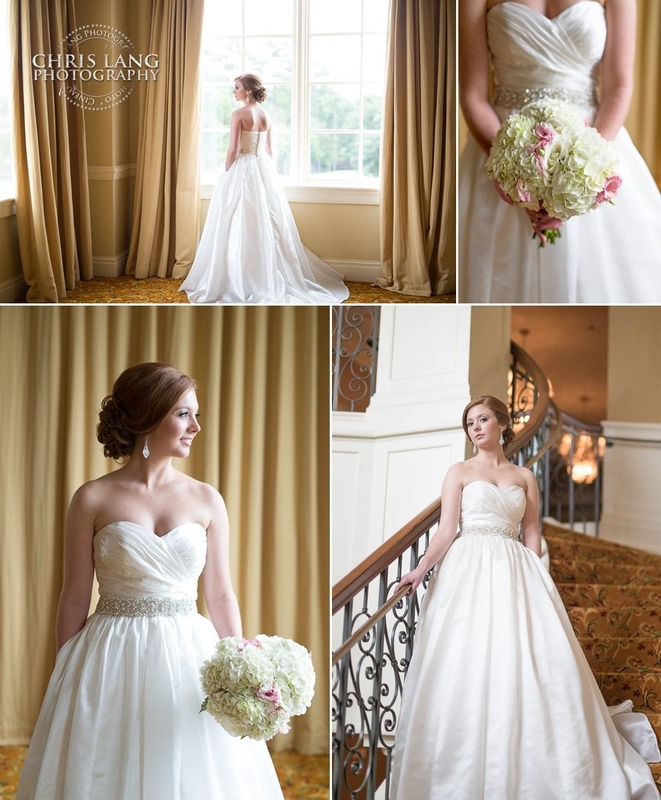 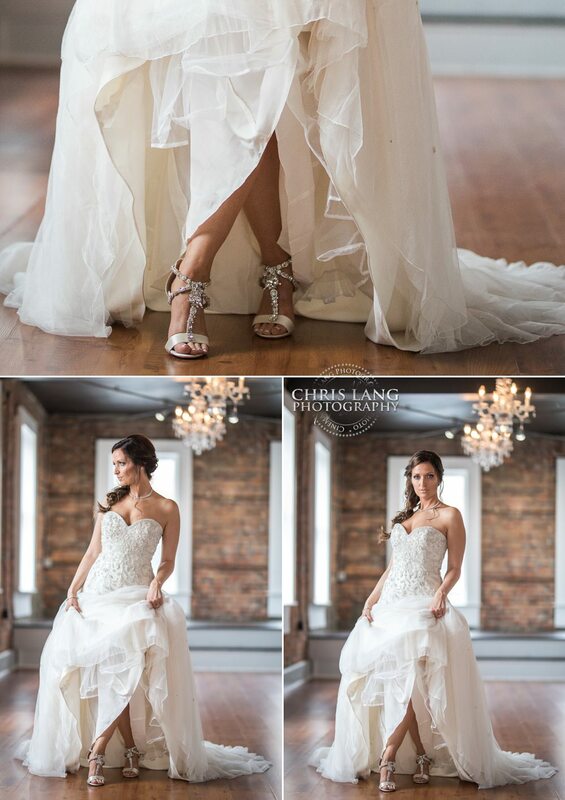 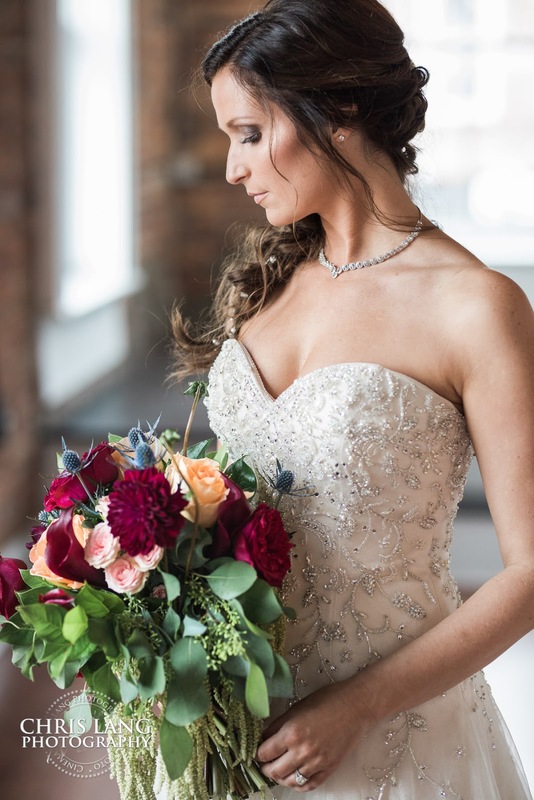 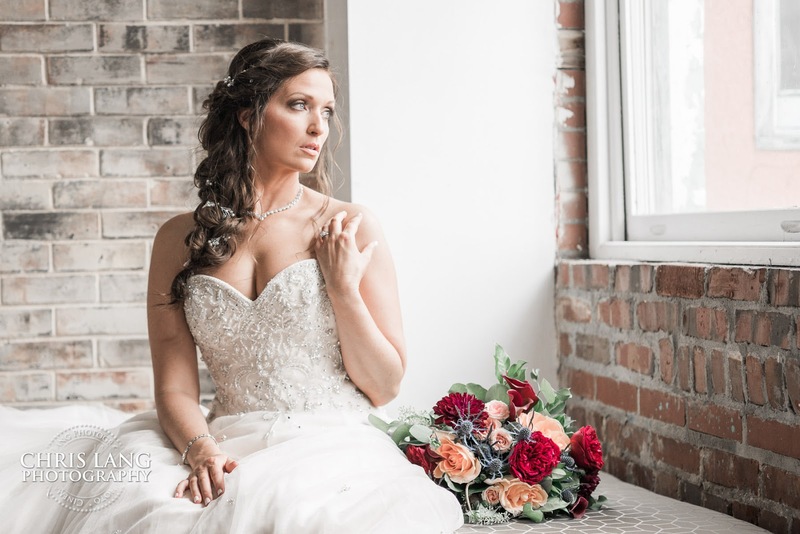 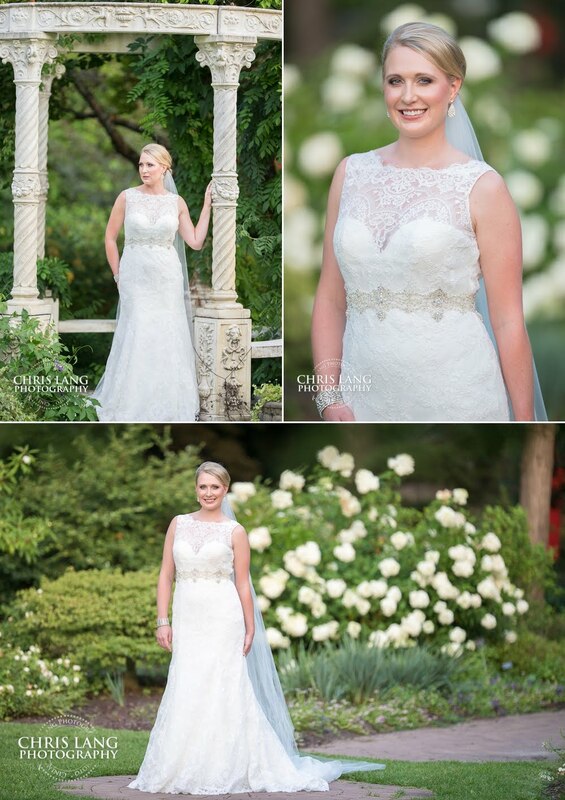 One of the 3 above bridal pictures was Christina's selection for the bridal portrait. 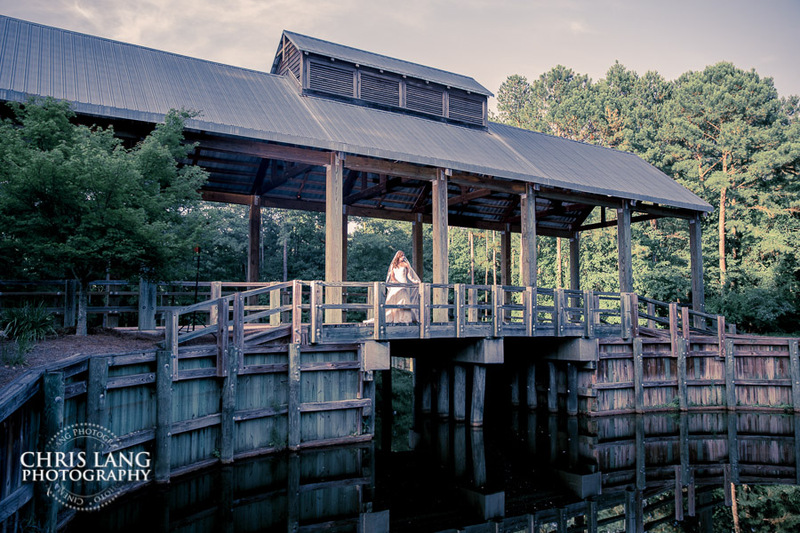 When we got our first break from the rain we scampered outside the took a few shots at the River Landing Waterfall and the River Landing covered bridge and had just a few minutes at the vineyards. 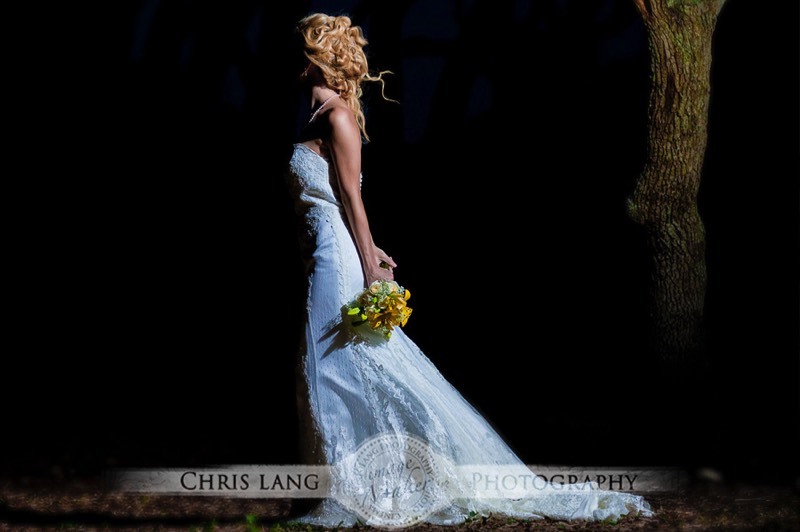 There is always opportunity to create and when photographing outside. 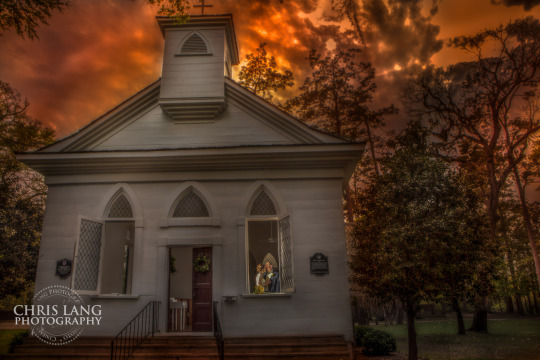 When the outside is your studio for the day you get what you get and create with the light you have to make great pictures. 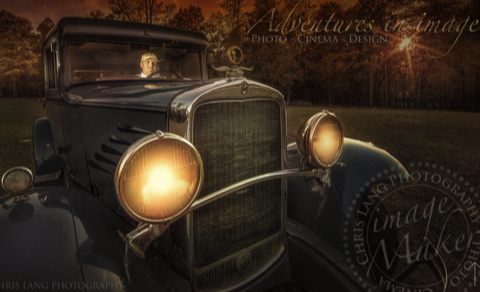 There is alway opportunity to create. 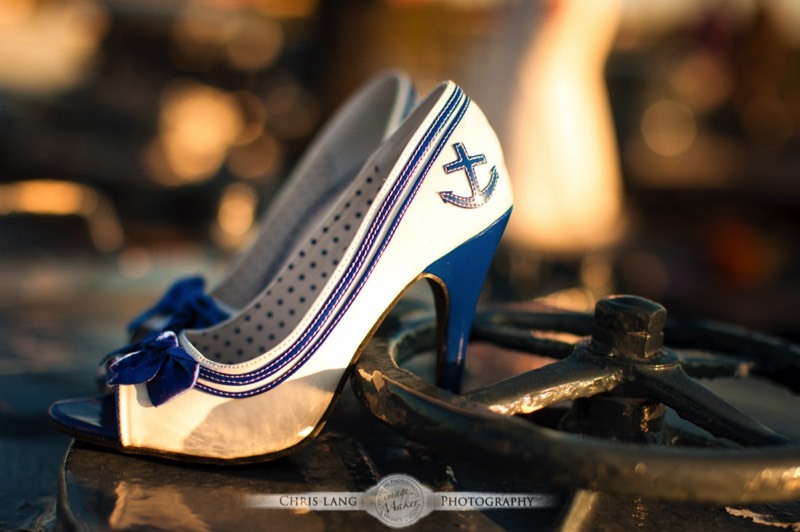 It is a mindset to seek opportunity in any conditions rather than let the conditions impact creativity. 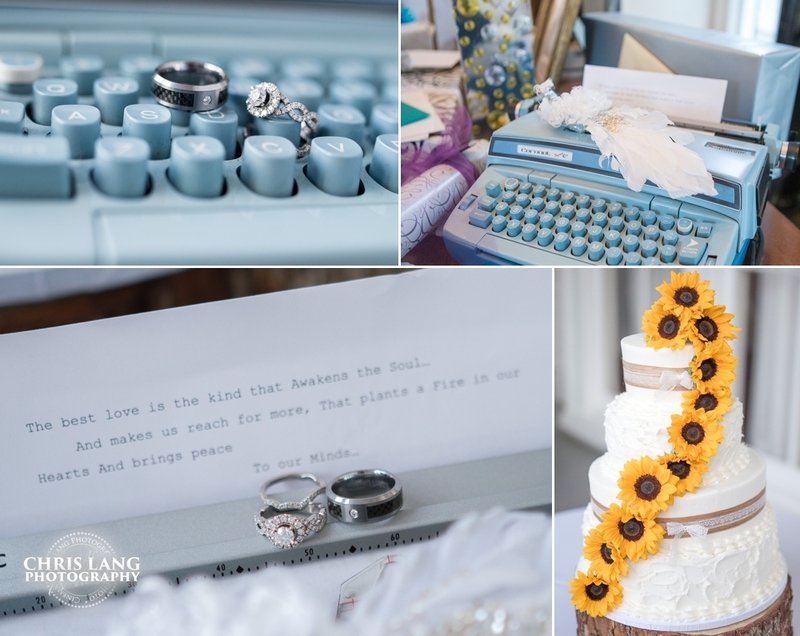 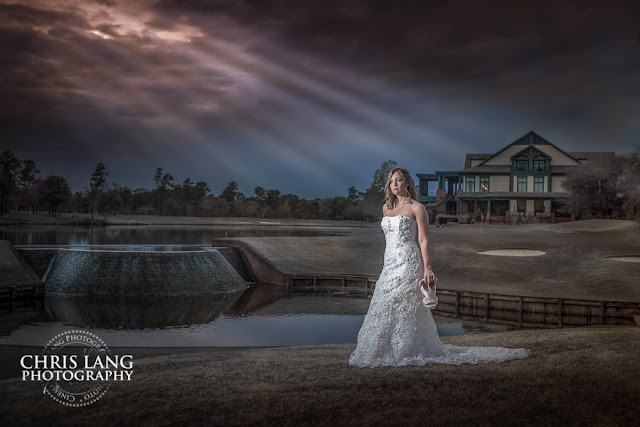 If you are looking for River landing wedding photographers be sure to find someone who can be creative in any condition and variations of light. 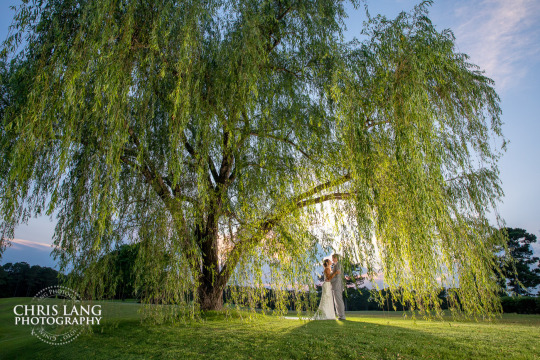 If you are looking for a amazing wedding venue check out some of my River Landing weddings portfolio to see all the River Landing wedding venues and popular River Landing photography spots. 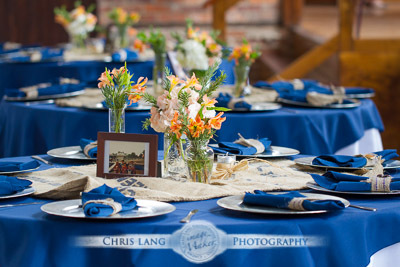 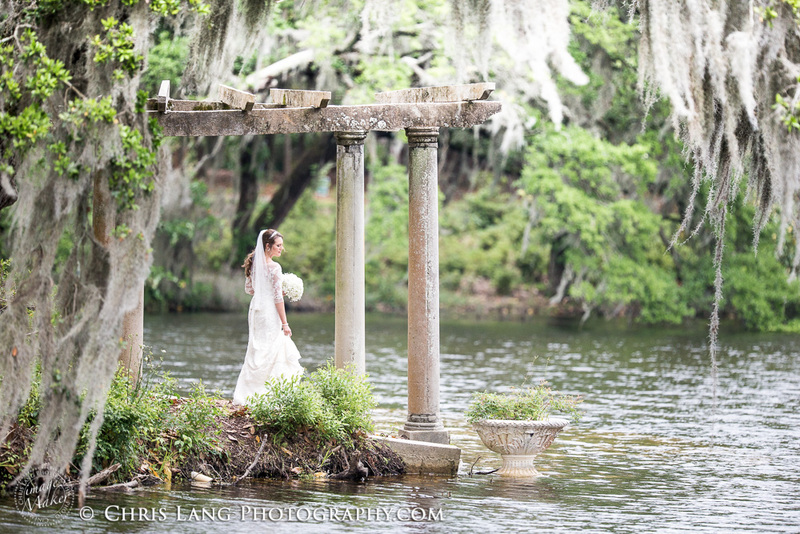 River Landing is one of my all time favorite for weddings and receptions. 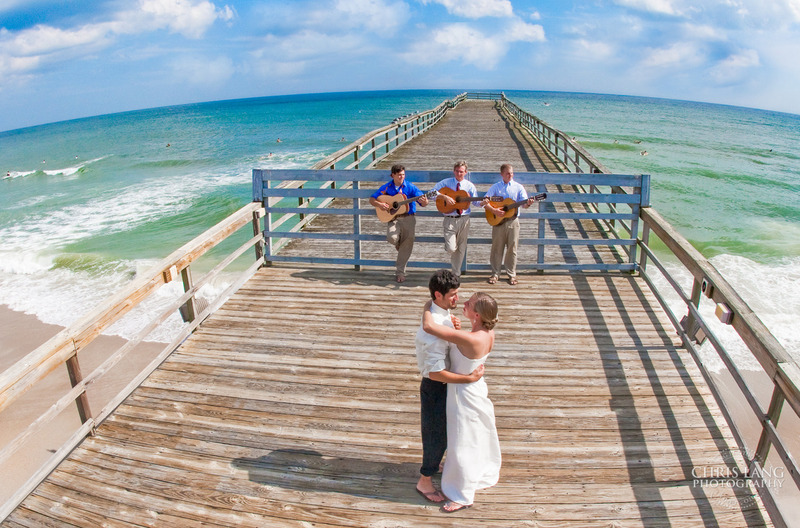 There are endless options for making amazing wedding photos. 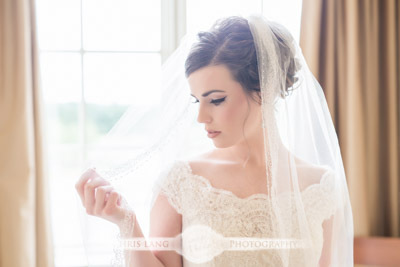 This also applies for bridal sessions. 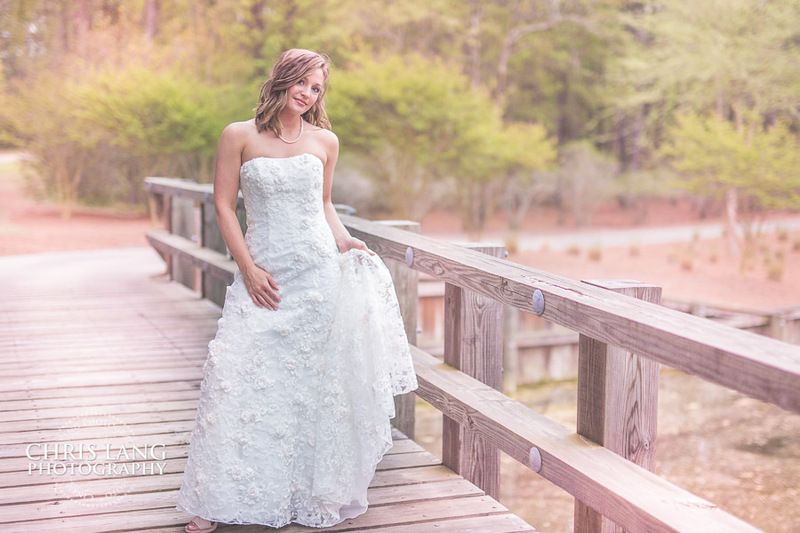 Alex wanted to make here bridal portrait at River Landing so we had the opportunity to go out and take her bridal photography around the grounds to create a few different looks for her Bridal Portraits. 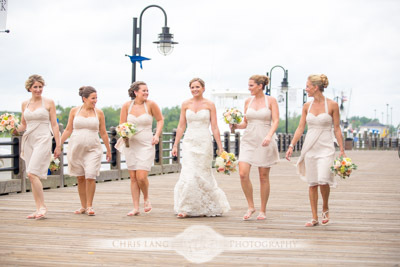 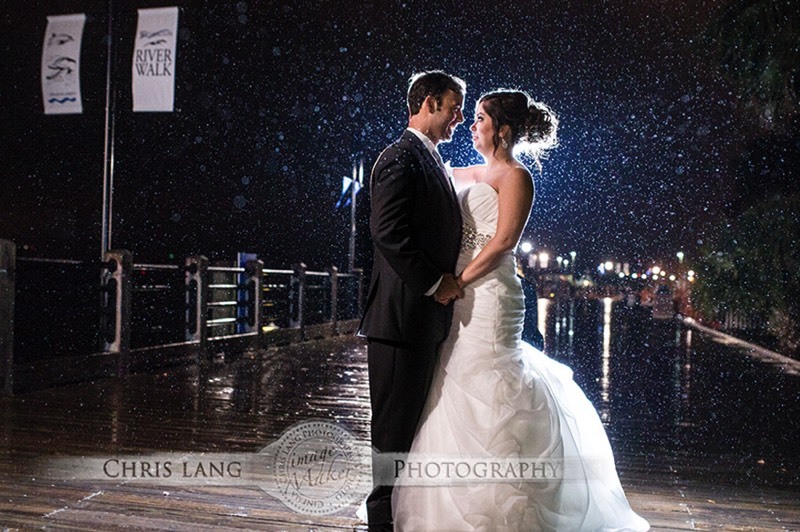 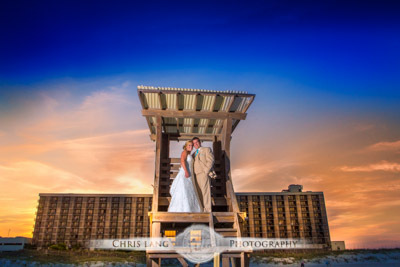 First let me start by saying if you are getting married, you have to check out River Landing Weddings. 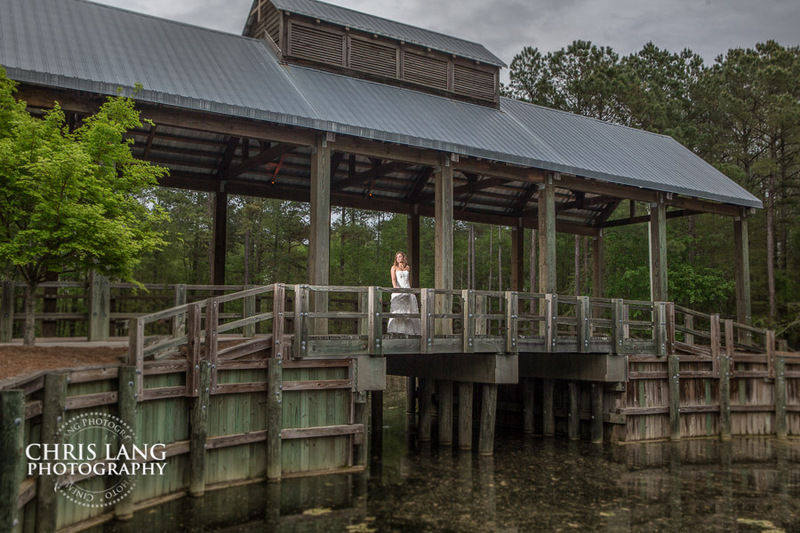 For Alex's River Landing bridal pictures we started inside and worked out way to some of the more popular photography areas of River Landing. 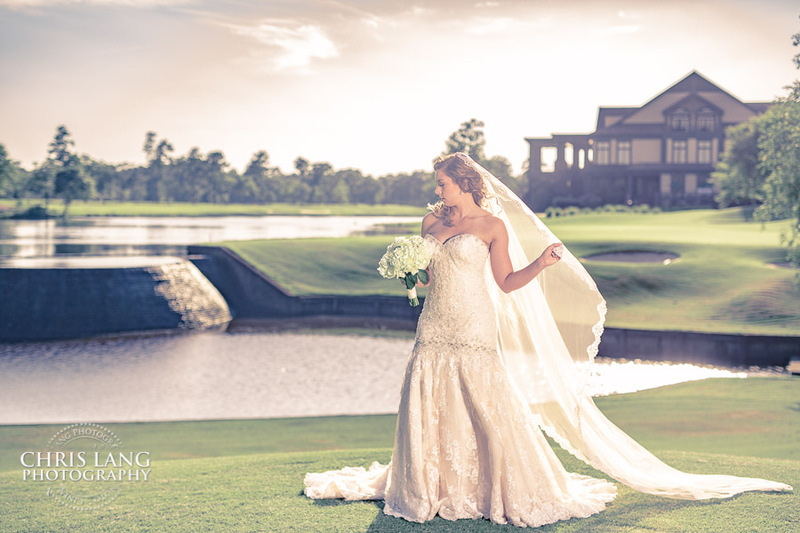 For more info contact the staff at River Landing and set up a tour of the facility. 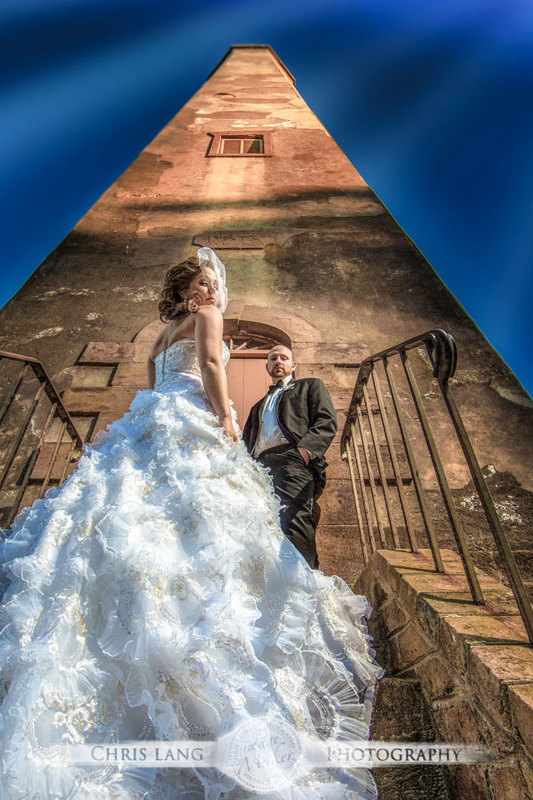 They are great to work with and after viewing the facility I think you will be amazed at what this wedding venue has to offer. 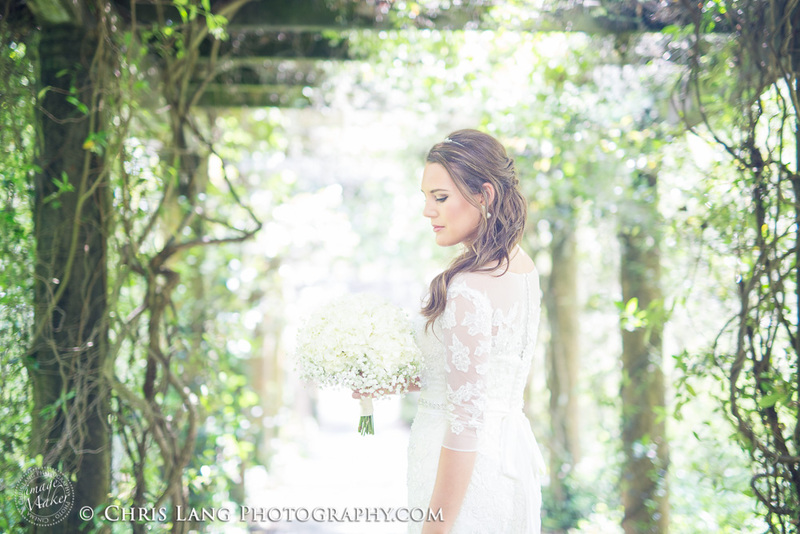 I was really looking forward to the bridal session with Courney at Airlies Gardens where she was having her wedding. 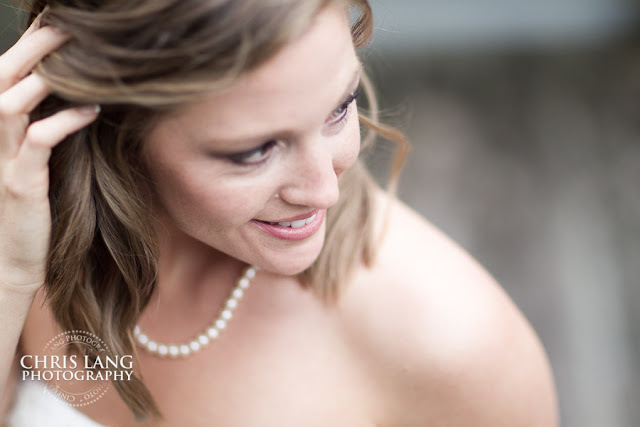 First was that Courtney was awesome work with and fun to be around. 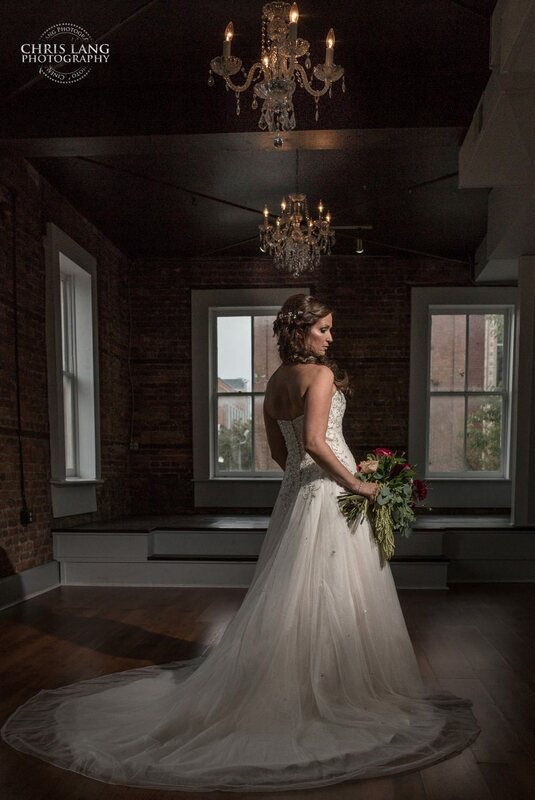 Second was I know I got to control the time with no wedding schedule. 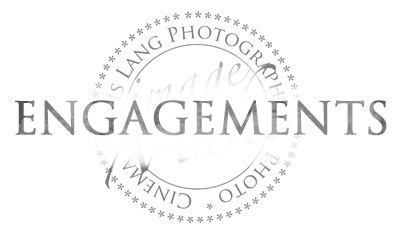 This means lots of time and no pressure to be anywhere in 2 minutes. 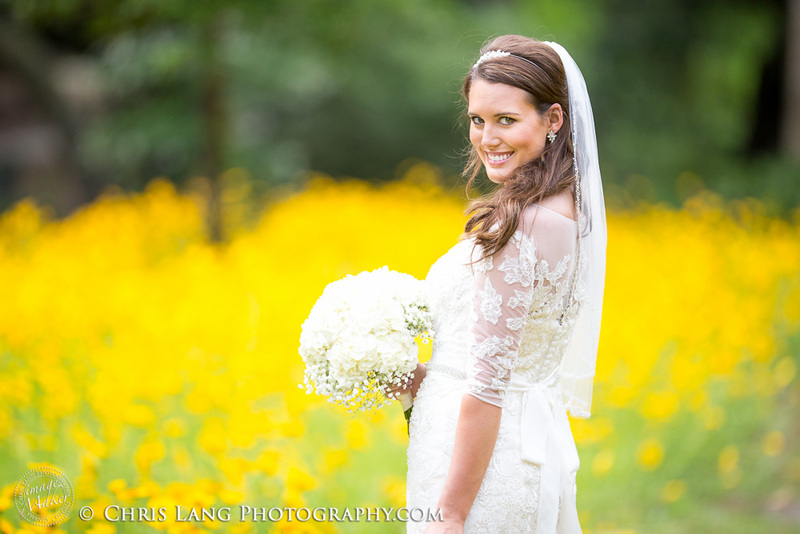 For every bride who is now married you know what I mean. 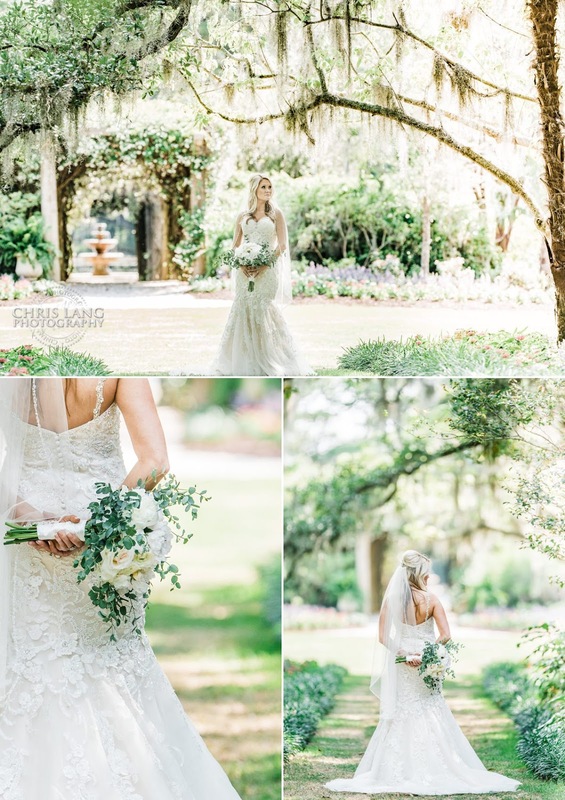 Airlie Gardens weddings are amazing but when you have just the bride in this amazing garden wedding venue for a few hours it to create must have bridal photos in the garden it is a real treat. 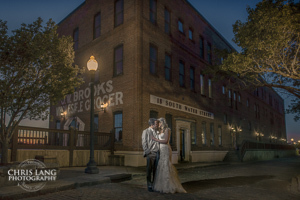 There are so many locations to photograph in Airlie that you have to pick and choose as the creative backdrops are endless in my mind. 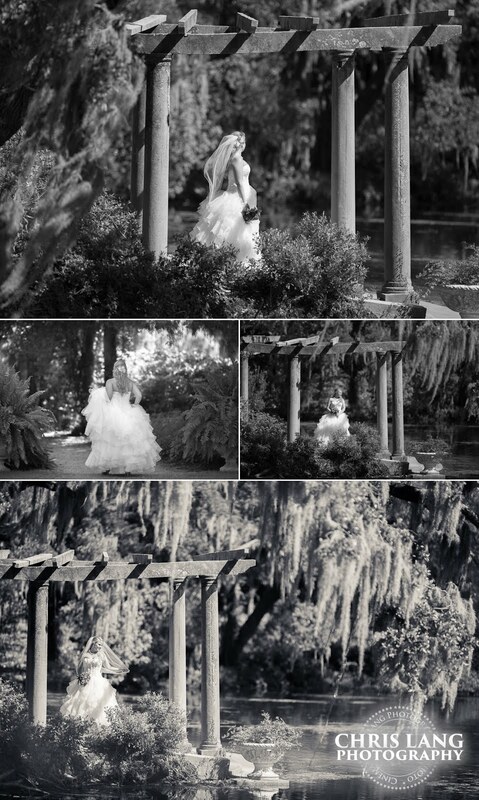 Of course on of the most iconic pictures to have made is the Pergola at Airlie Gardens. 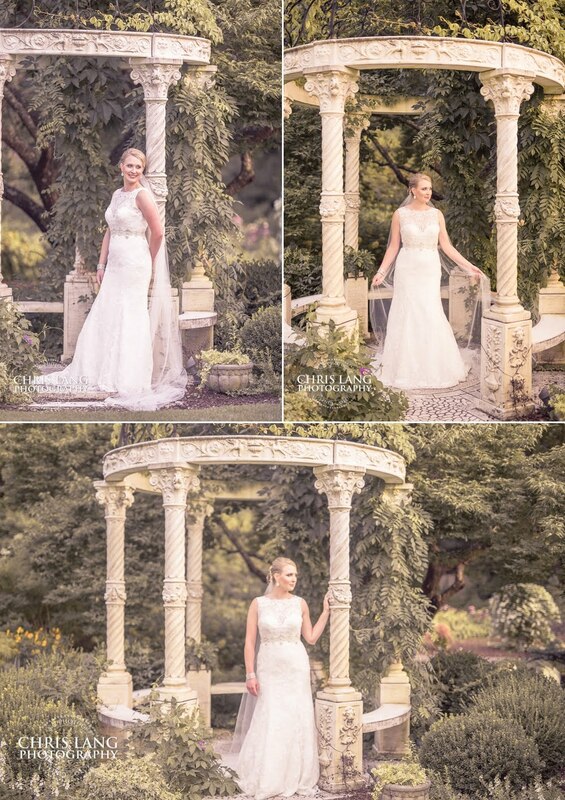 If you are considering a bridal session I would highly recommend one as it really is a great time to create outside the wedding day where everything can be about a blur. The is why every bride should have a bridal session in my creative opinion. 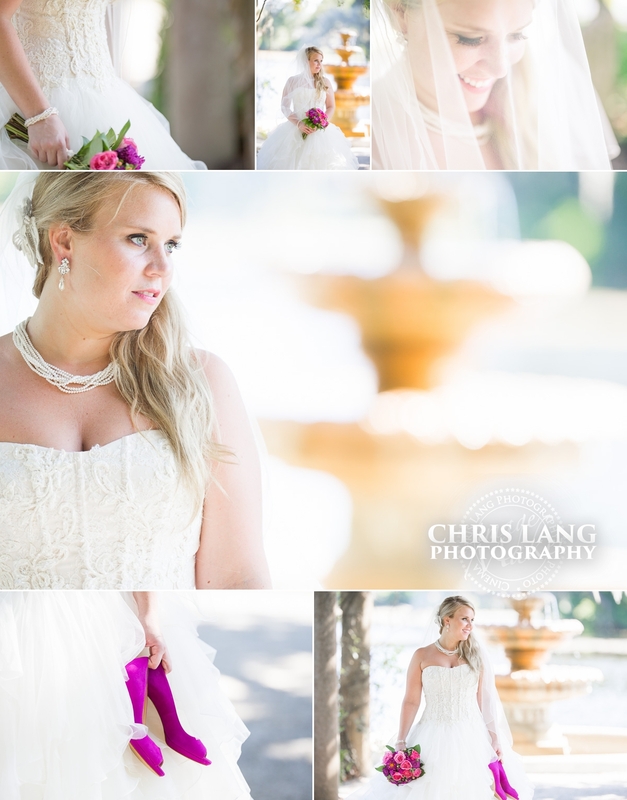 One of the great things about bridal photography as a creative profession is I get create a multiple style portfolio for brides. 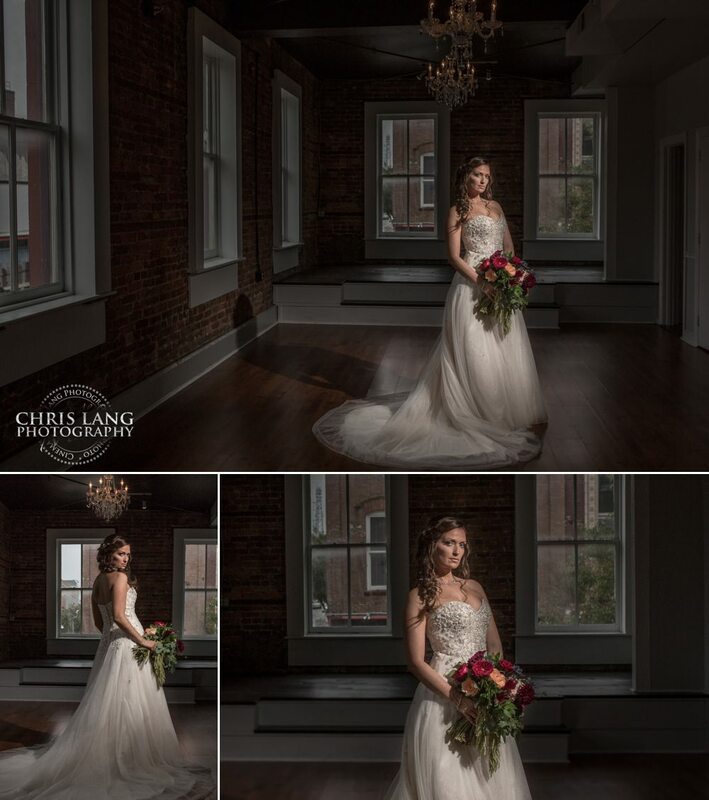 With no wedding schedule rushing us, we get to take the time to have fun and relax and create some awesome bridal portraits. 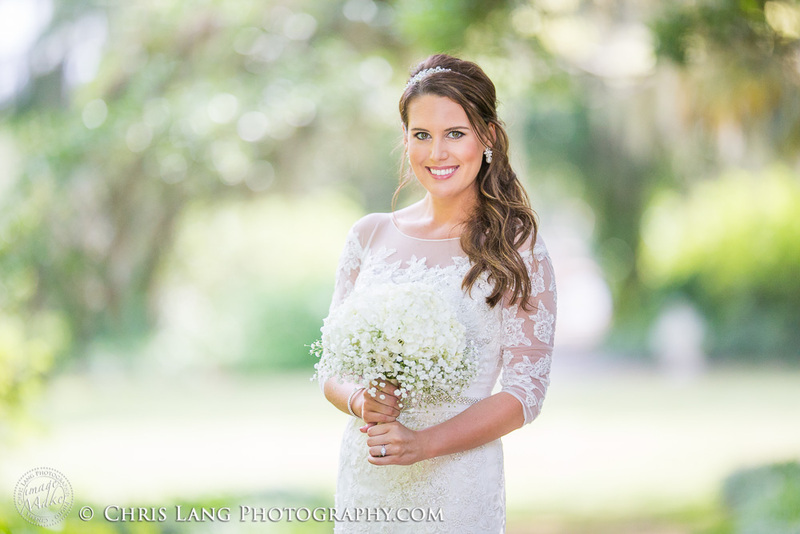 Had a great time with Lana creating a mixture of styles and looks. 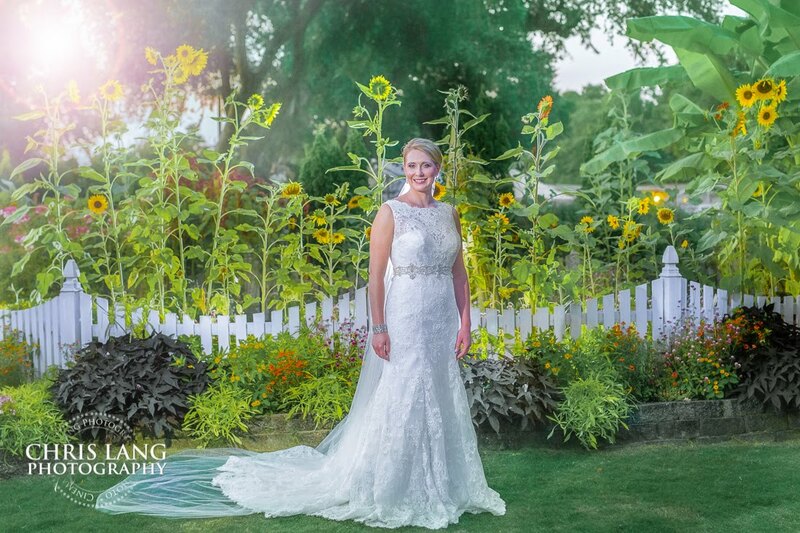 The first picture I had the concept of alice in wonderland look and feel so I concentrated on lighting the sunflowers with a strobe directly behind Lana pointing upwards and then another strobe on light stand at top left with grid to control the spread and maintain the detail in her awesome wedding dress. 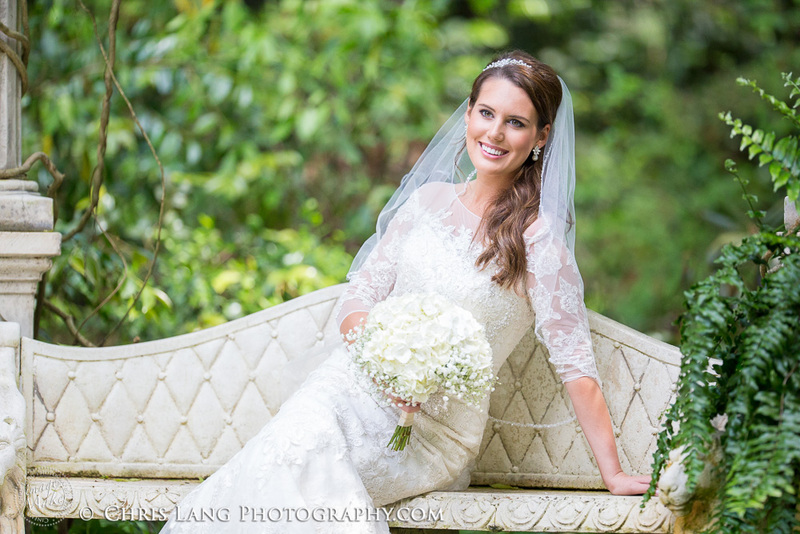 All we started with on this bridal session was Lana and her dress. 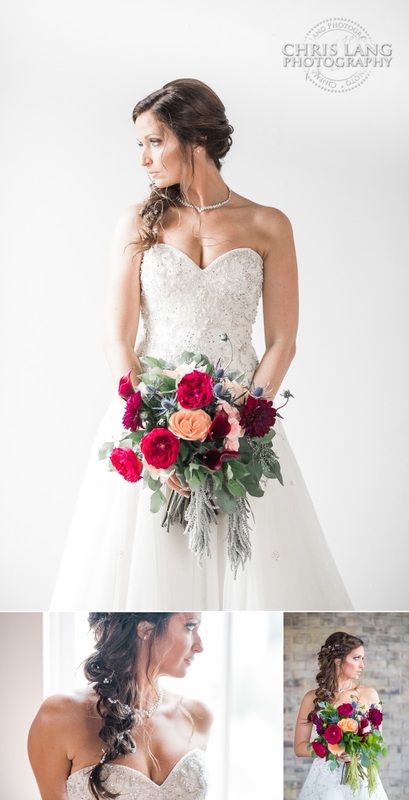 No bouquet no theme or concept. 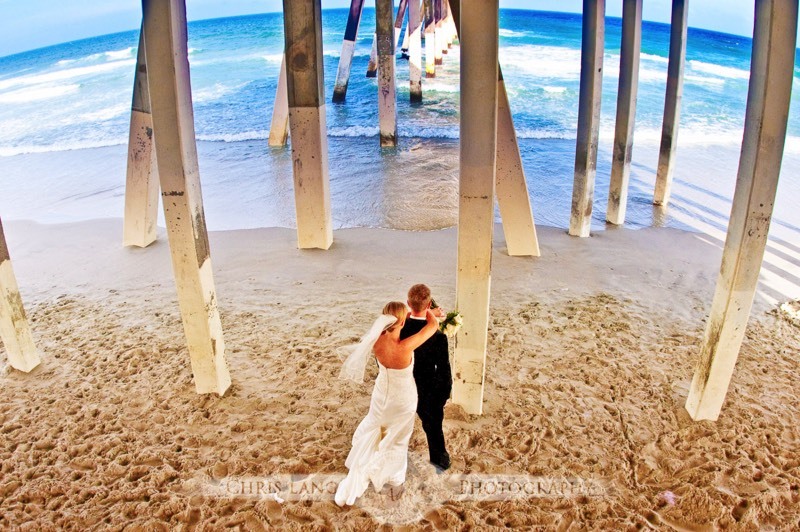 That what I love about my job it you get to make it up as you go. 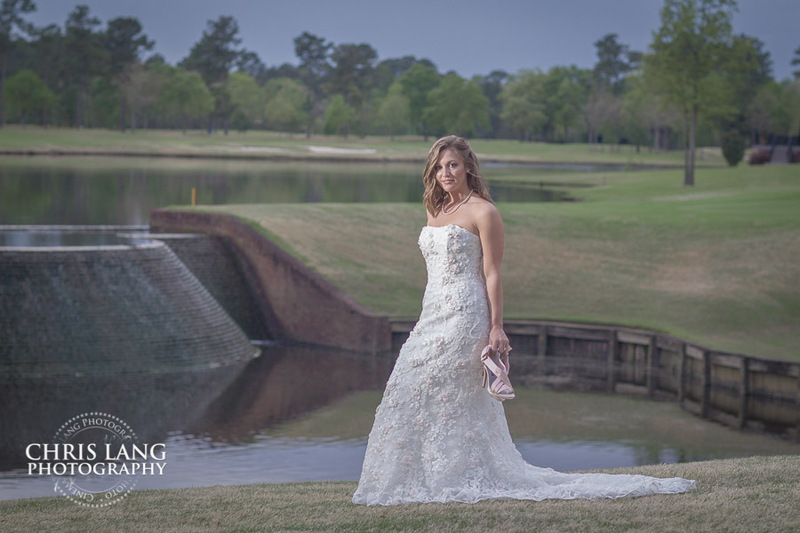 If you are looking for a Wilmington NC Bridal Photographer to create something with a signature look and style, drop me a line and let me show you how awesome you look in your wedding dress. 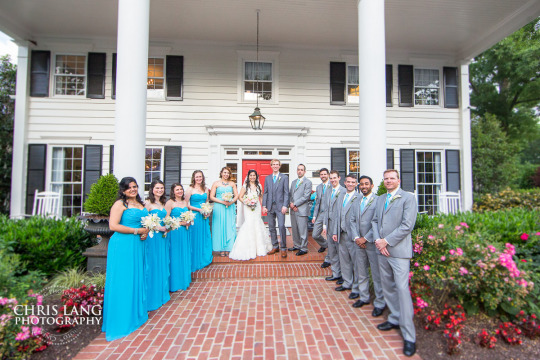 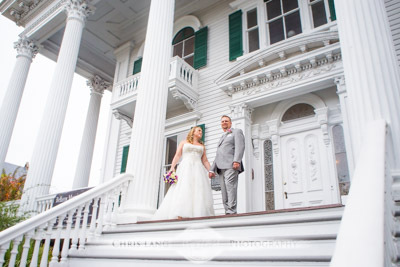 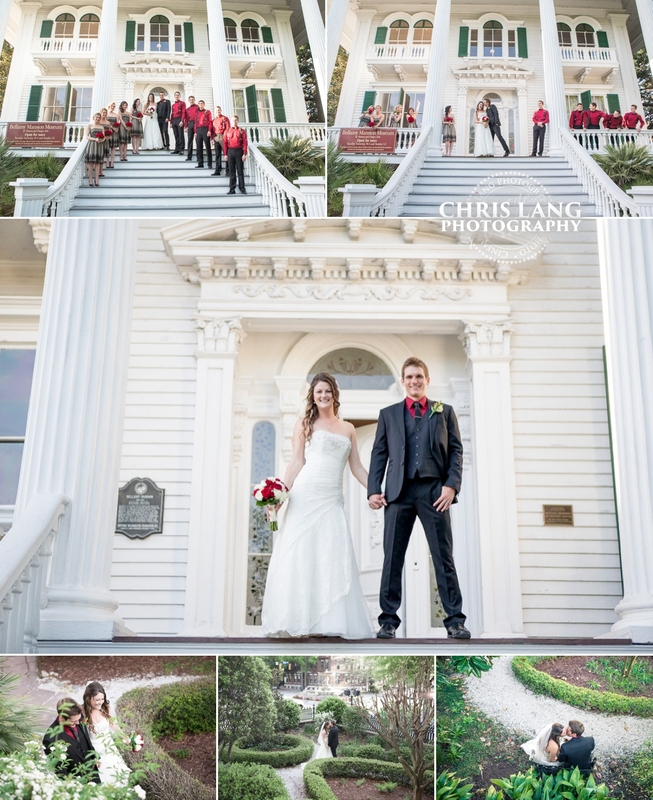 Vanessa & Seth had their wedding and reception at the Bellamy Mansion in Wilmington NC. 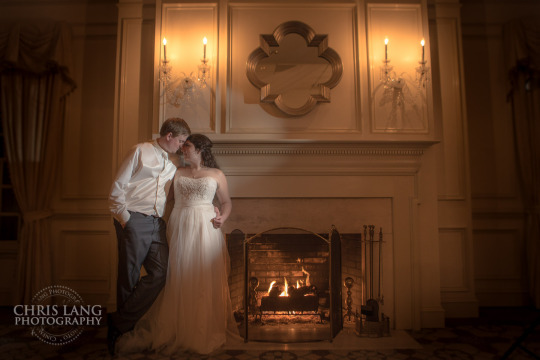 I could not have had a better time with such two awesome people. 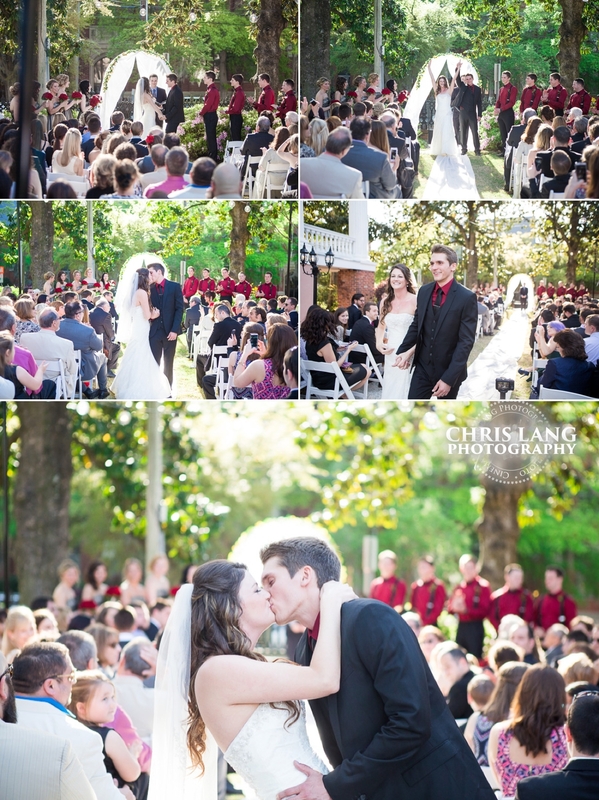 You will see what I mean when you watch their highlight reel. 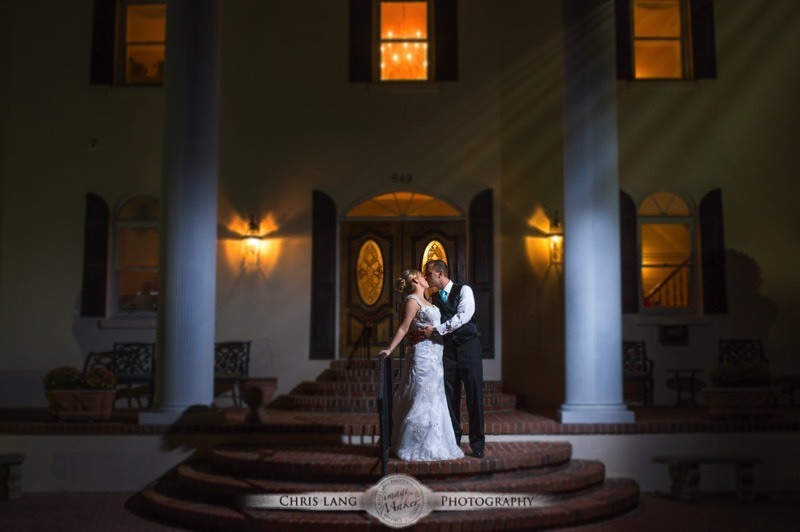 They had the best first dance I have had the pleasure to photograph and video. 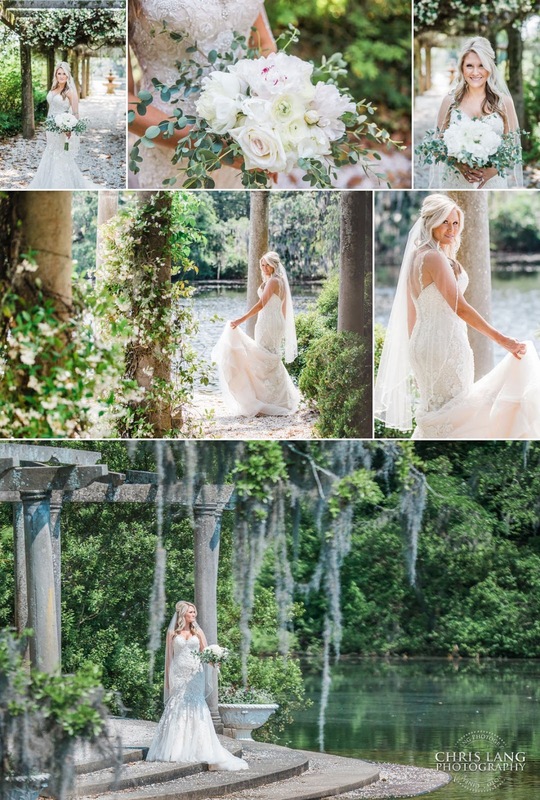 Spoiler alert it is at the end of the video as an outtake. 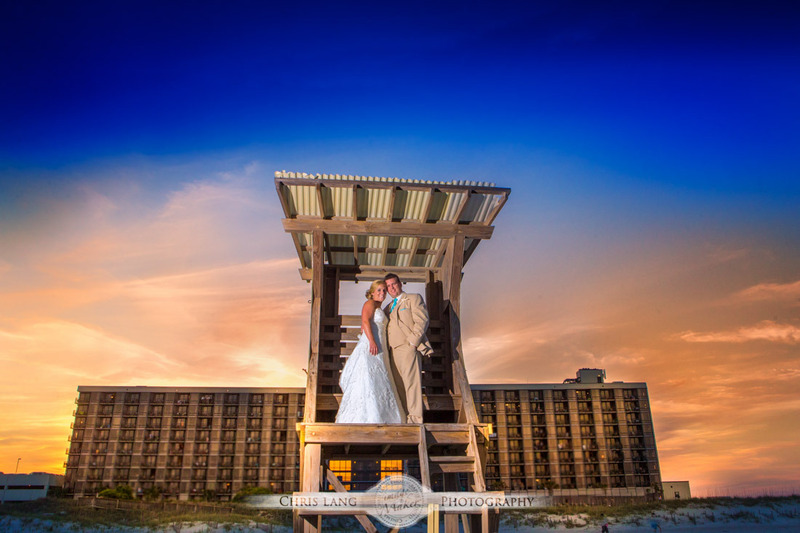 "Seth and I met like a scene in a romantic comedy! 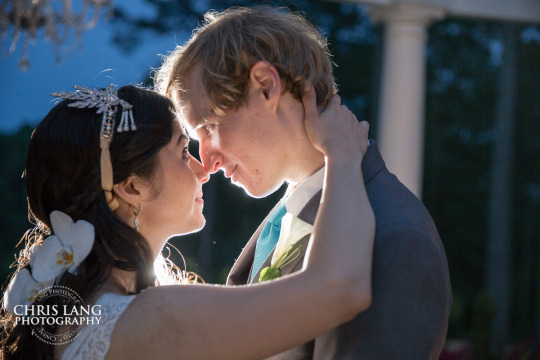 I was sitting at my gate at Wilmington International Airport at 6:30 am, reading The Perks of Being a Wallflower, and Seth came and sat a few chairs diagonally across from me. 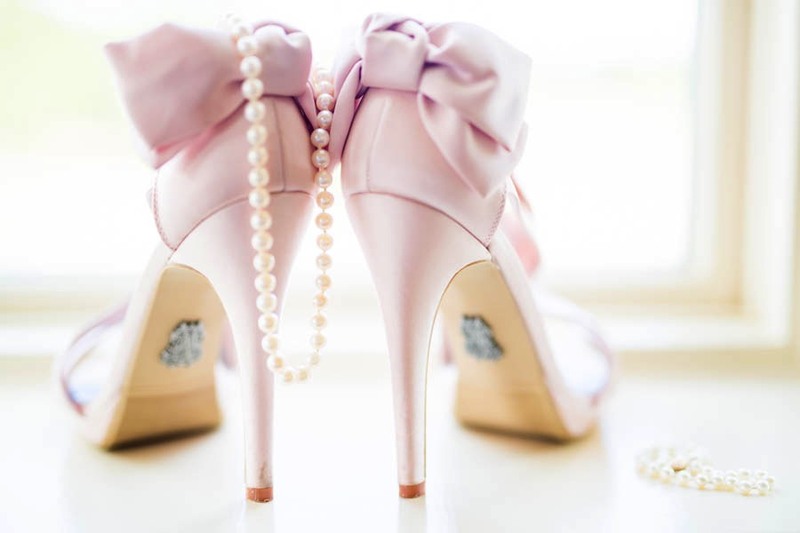 From this moment on, I was only faking to read! 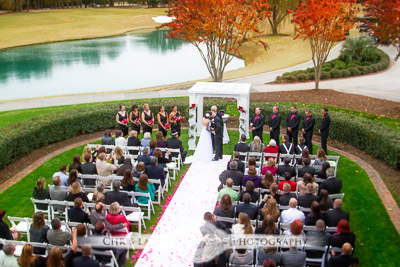 Haha, I could not concentrate, as we kept staring awkwardly at each other making eye contact here and there. 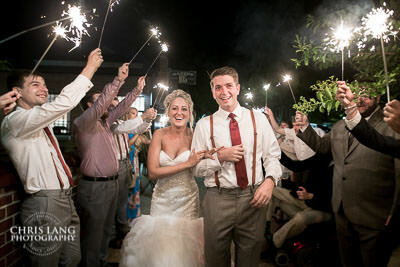 As we boarded the plane, Seth got in line behind me. 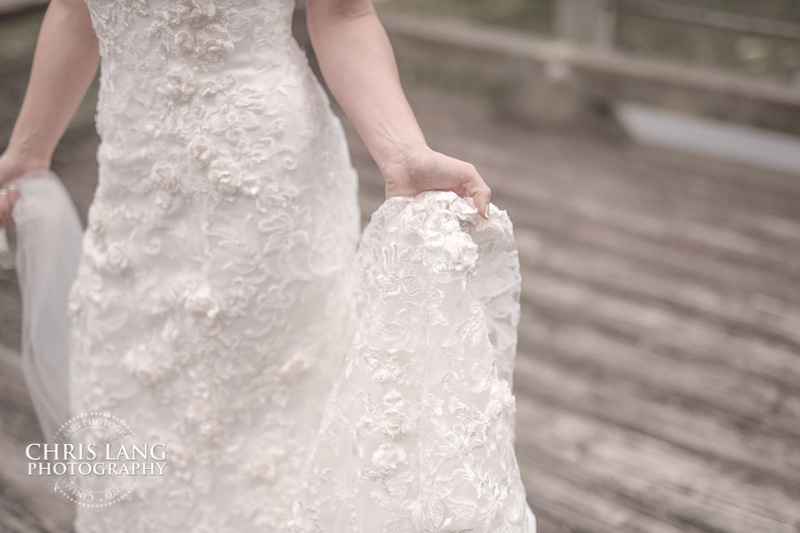 My heart was racing with butterflies. 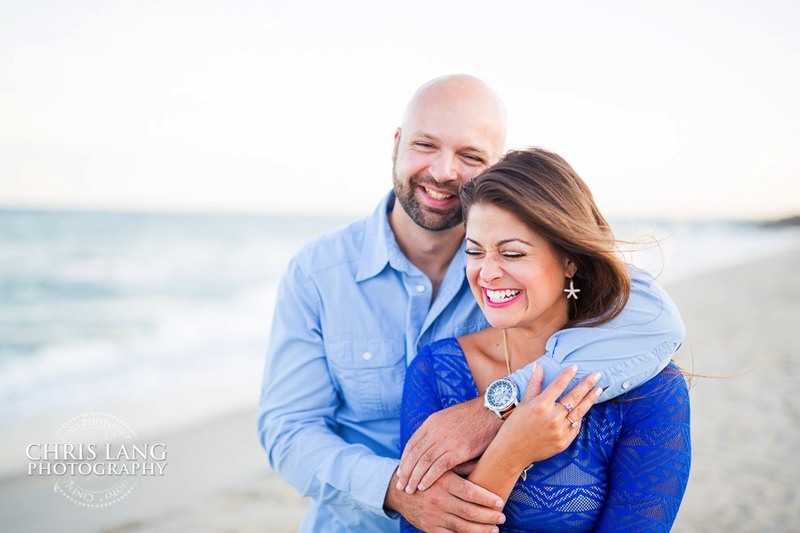 I sat down in my seat on the plane and turned to see Seth standing there as he said, "I think that's my seat..." pointing to the window seat, with a smile on his face. 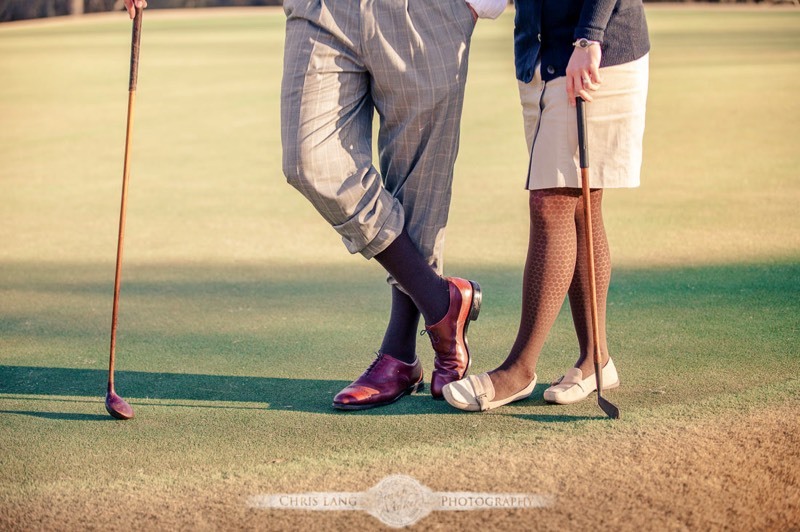 I responded, "No it's not!" 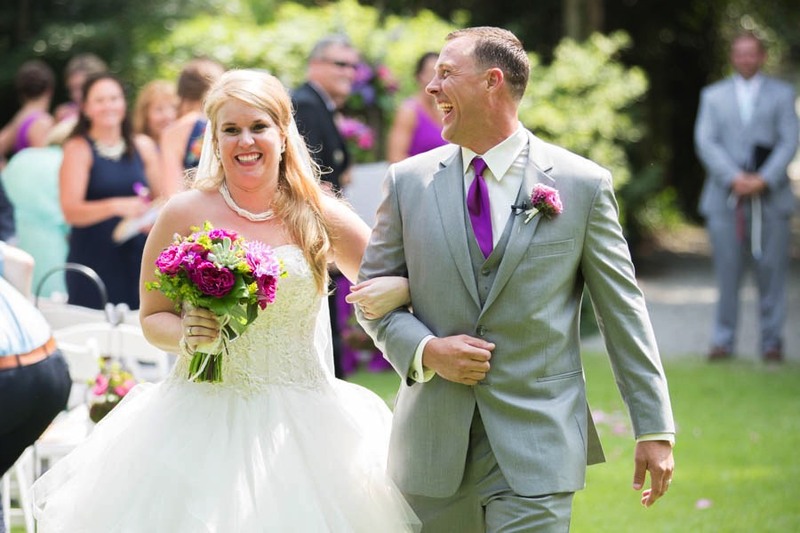 and we both laughed. 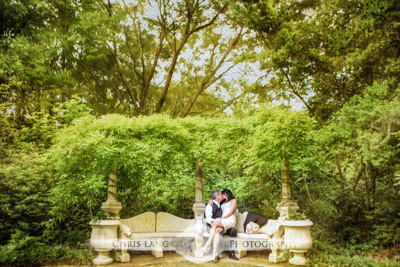 In a two seater row, there we were, just the two of us... and we talked the entire flight! 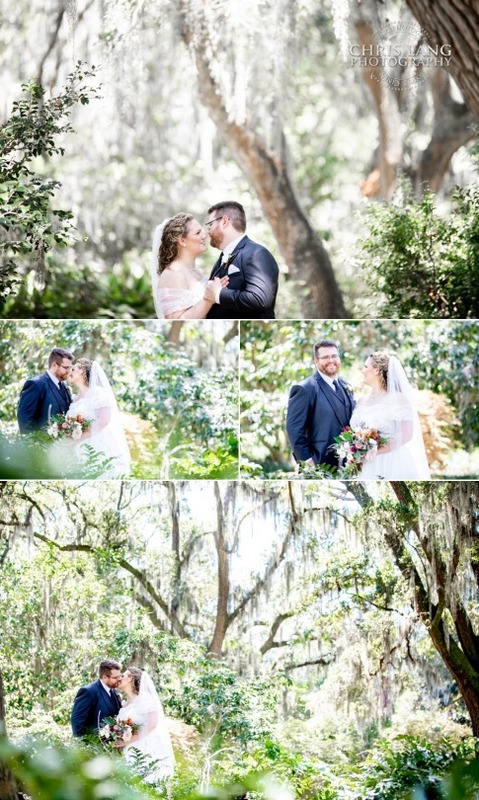 We hit it off so seamlessly and discovered that we only lived a few miles apart from each other! 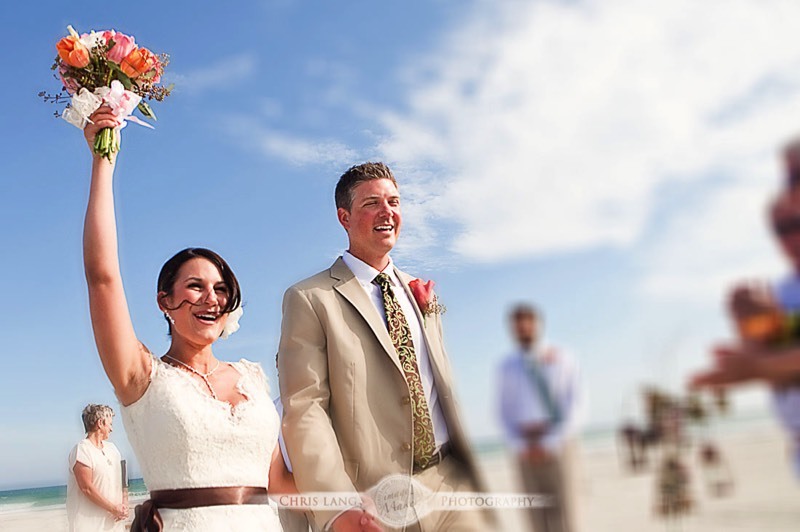 At the end of the flight, Seth asked for my number and the rest is history! 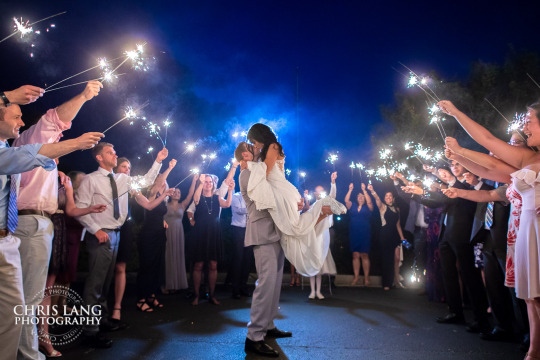 :) "
OK so now it's time for some video. 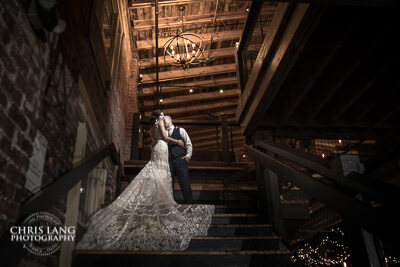 I filmed the highlight reel for their wedding as a supplement to a full video production wedding. 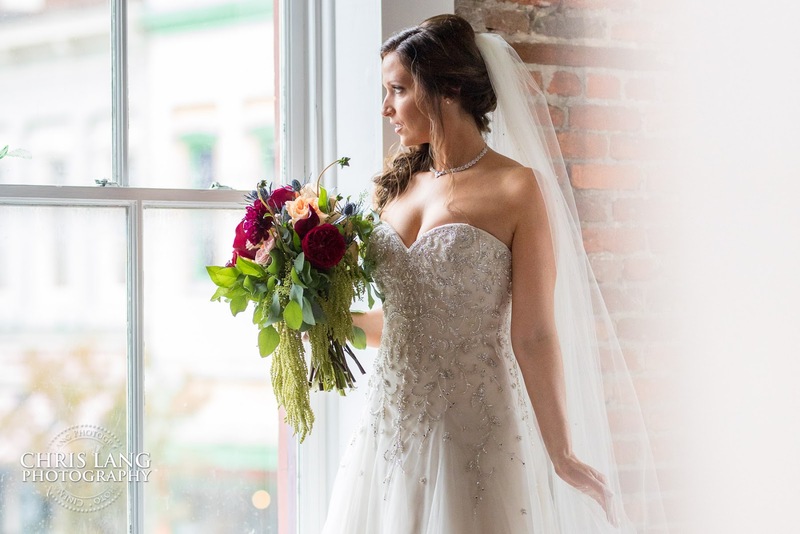 The highlight reel is short film that mirrors the photography process and is intended to be just a snapshot only of the wedding day though short video clips. 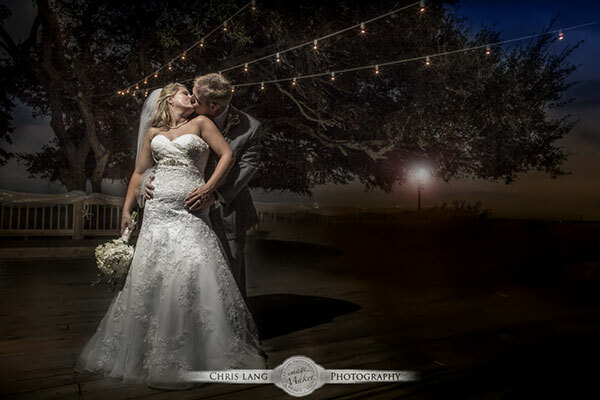 This was one instance I had video rolling for the the first dance. 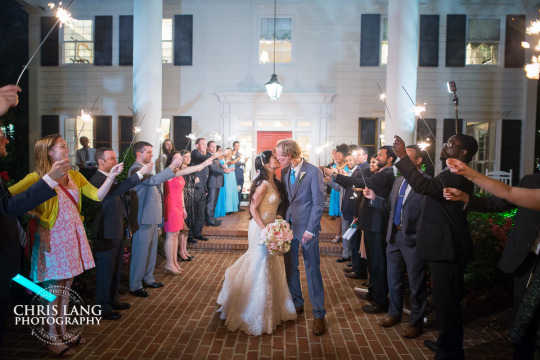 I did not know Vanessa & Seth were going to break out into such a awesome first dance. 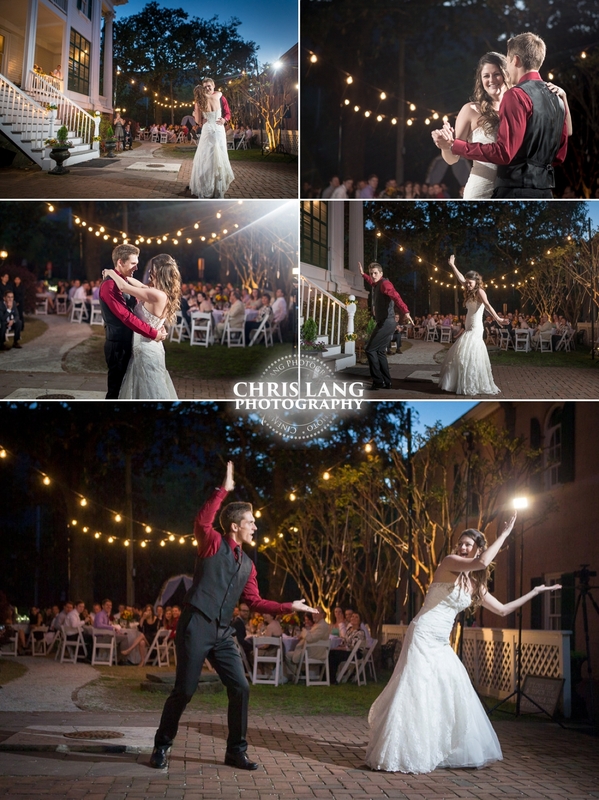 Like every first dance it started out traditional and then to the guests surprise, Vanessa & Seth broke out into some pretty sweet moves. 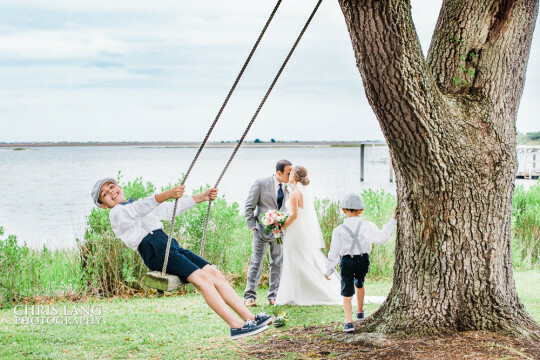 I could not have had any more fun at their wedding. 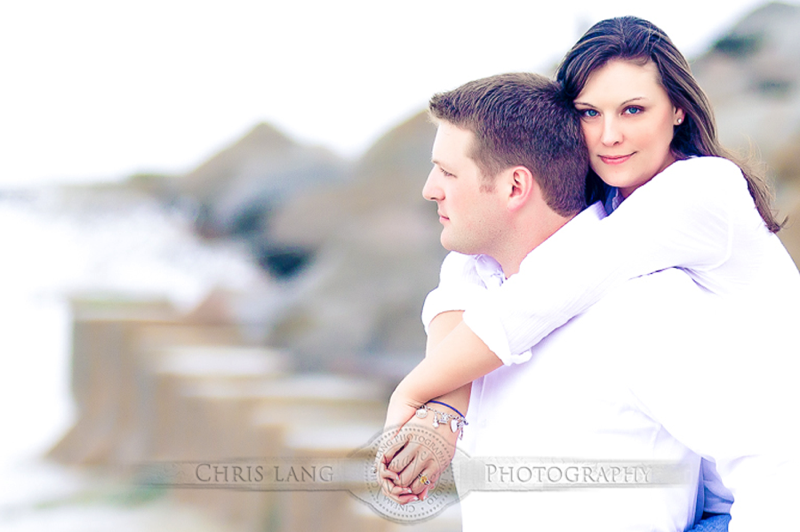 Such an awesome fun couple. 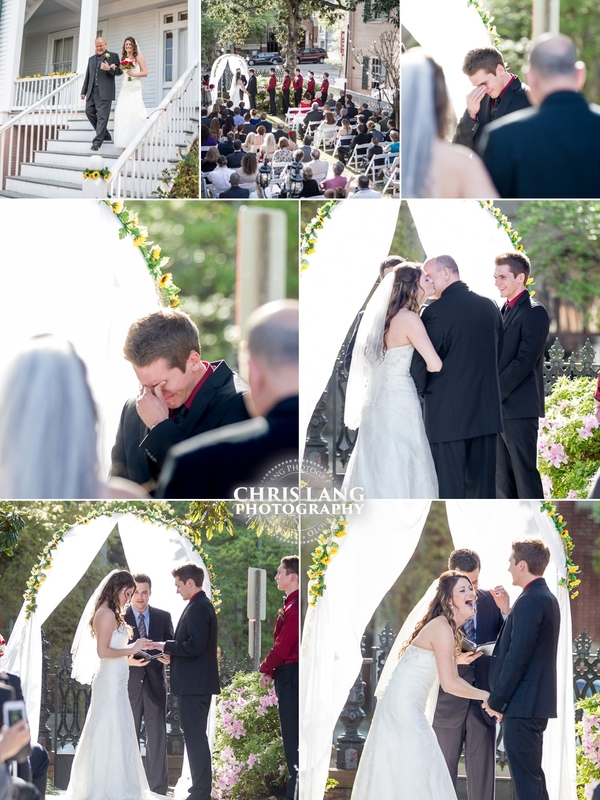 On a funny note, The next day I dropped my Mom and Brother off at the airport as they were flying back to San Diego. 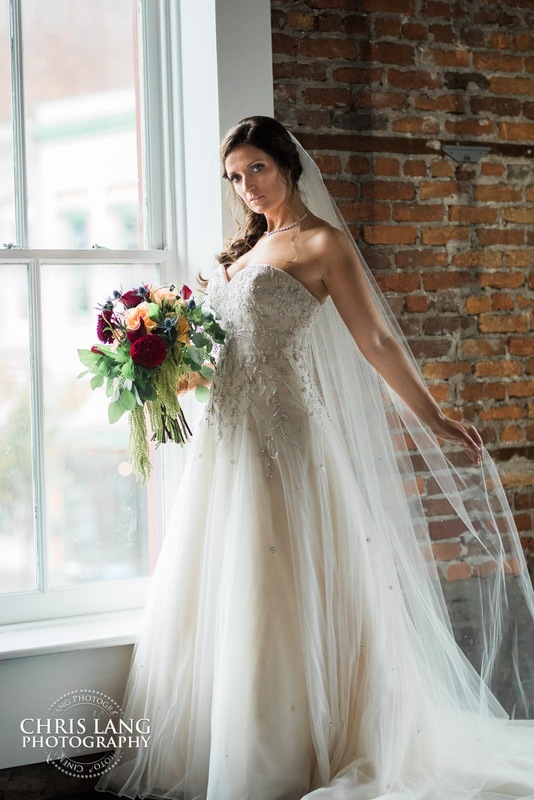 About an hour later I got a text from Vanessa. 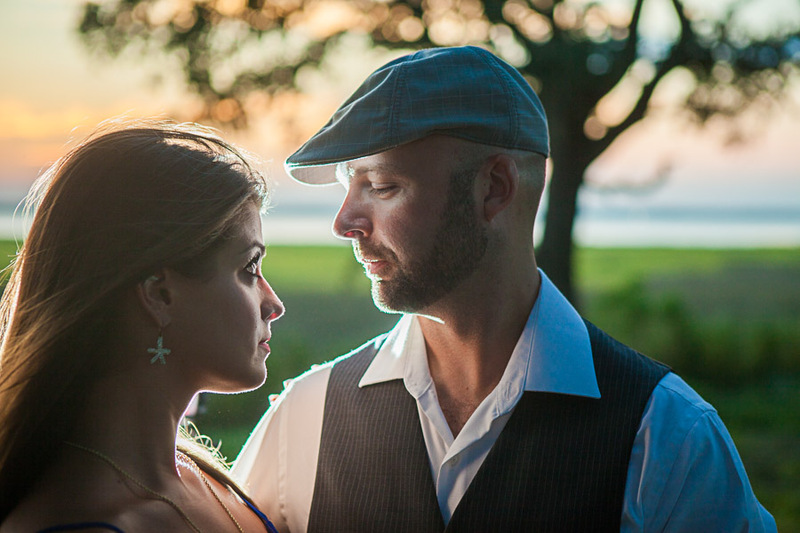 "We are sitting behind your Mom and Brother on the plane. 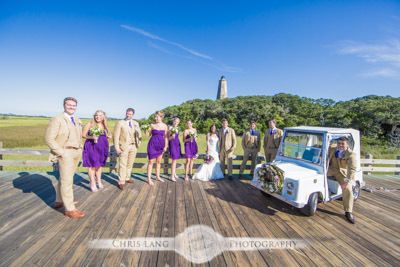 Small world... well Wilmington is probably the smallest airport in the world. 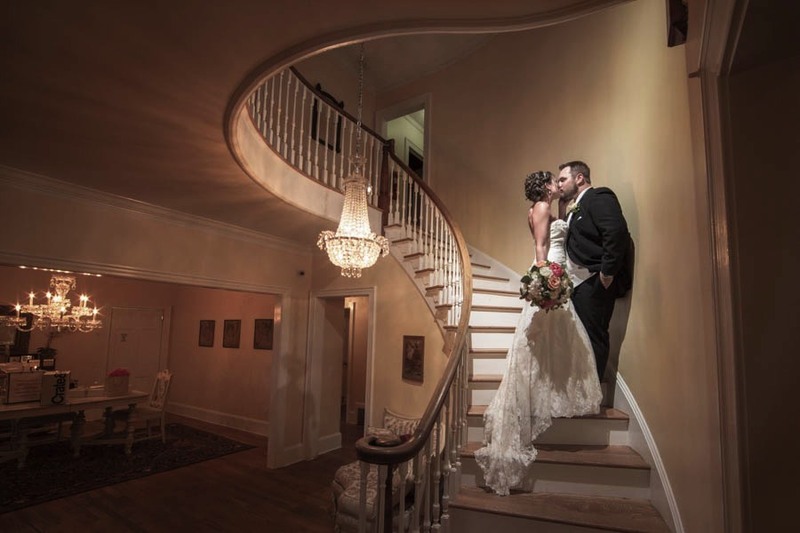 If you are looking for a wedding venue in the Wilmington Area, take a look at Bellamy Mansion. 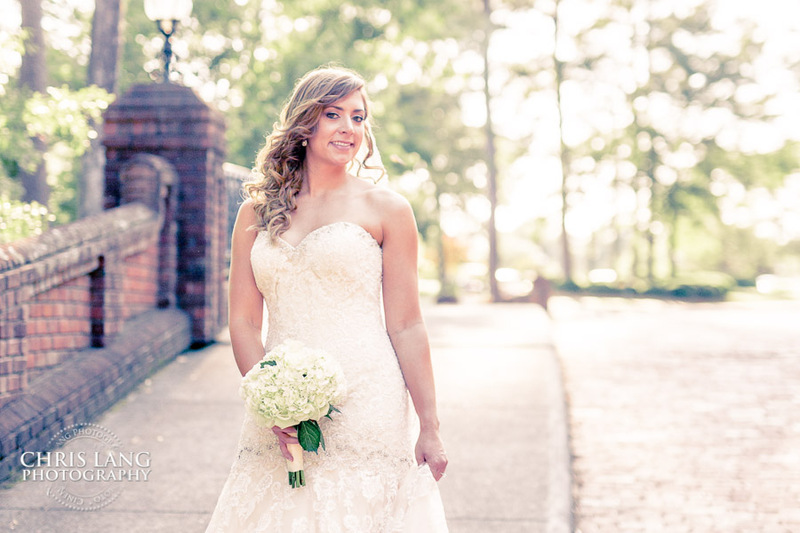 Bellamy Mansion Weddings are a lot of fun to photograph and working within the area provides such a classic backdrop for wedding photography. 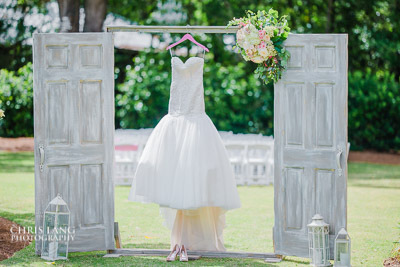 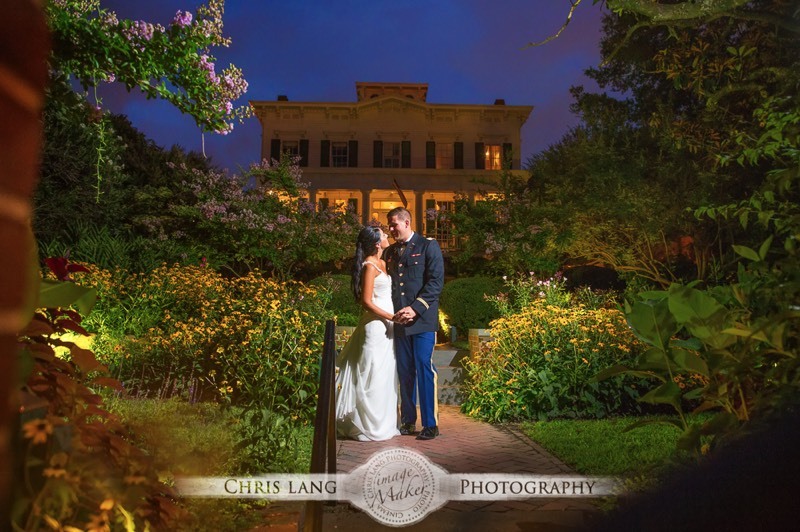 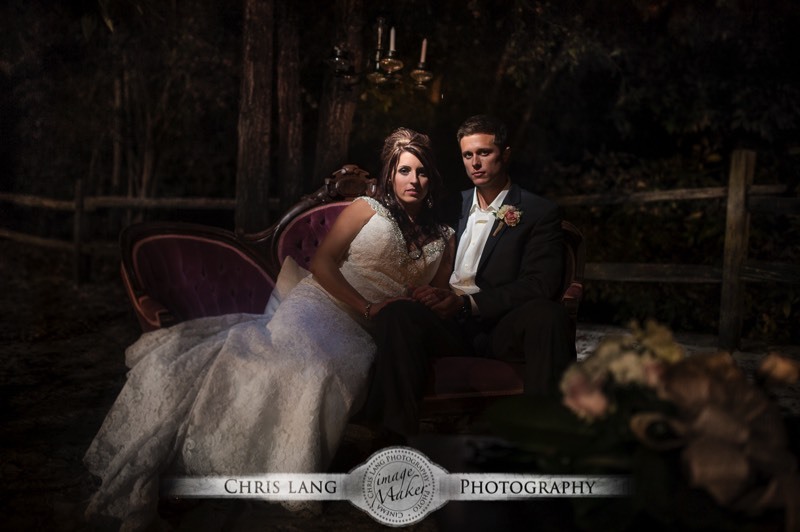 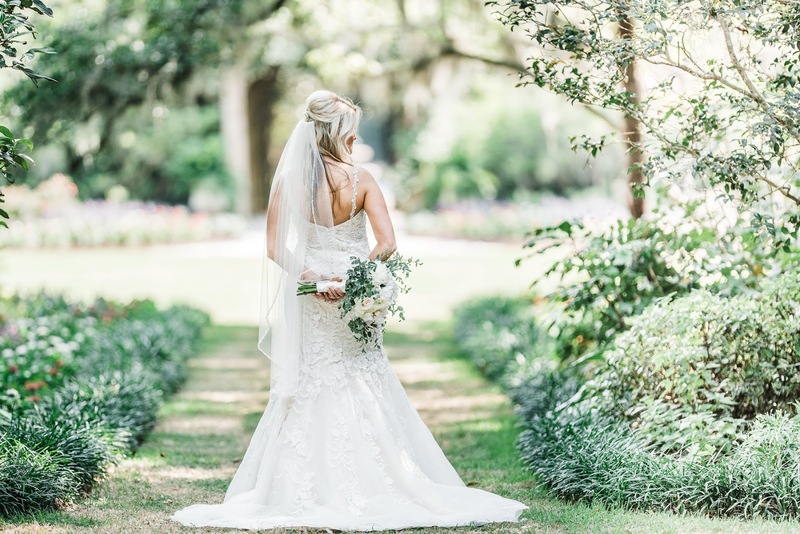 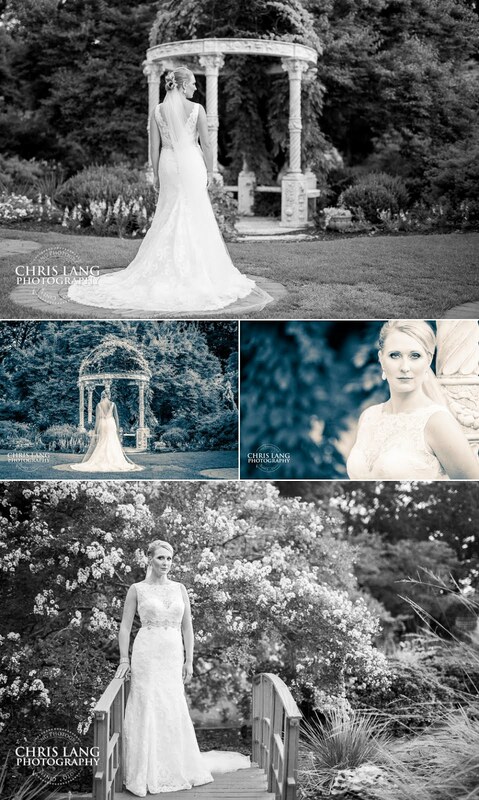 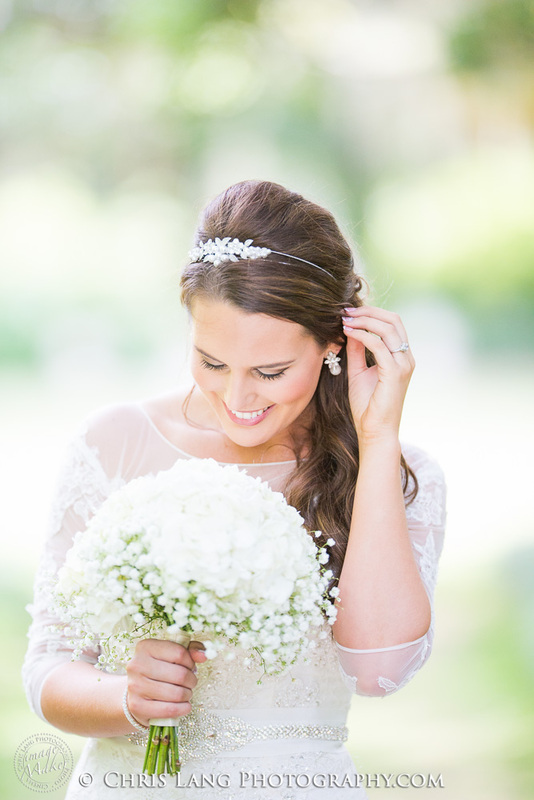 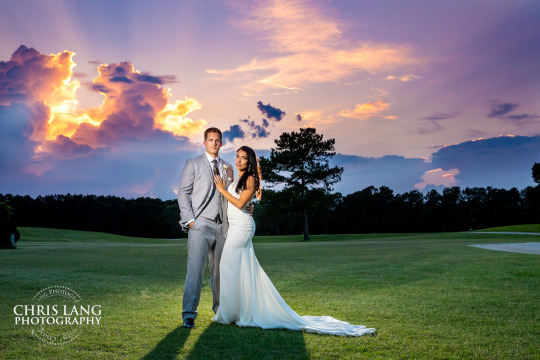 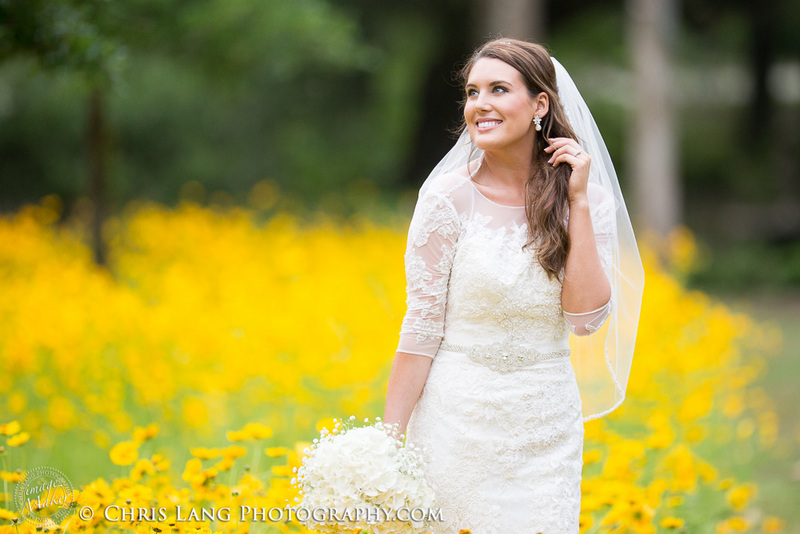 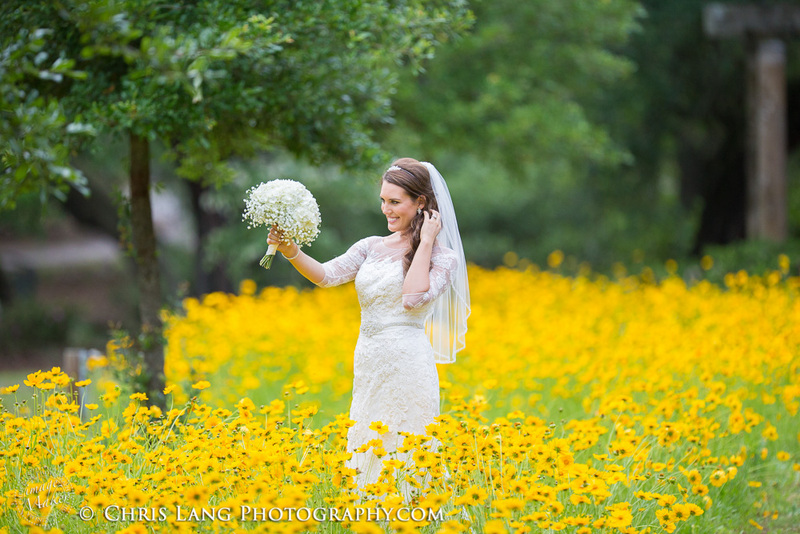 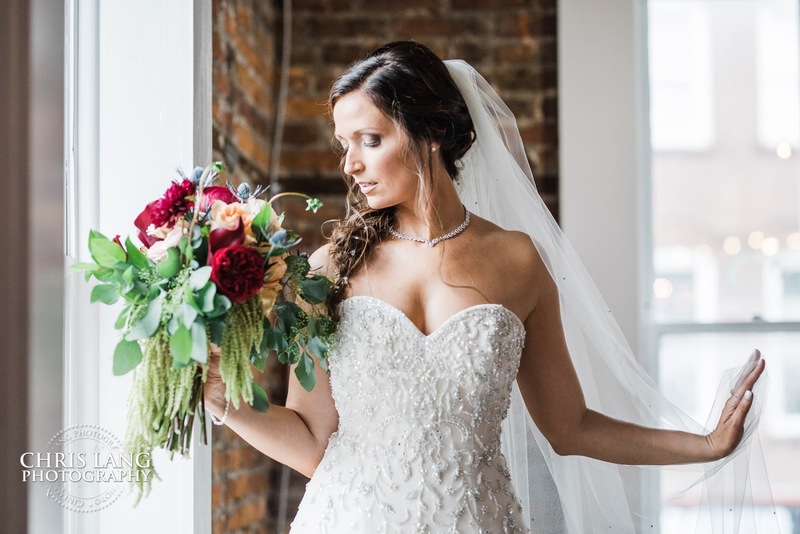 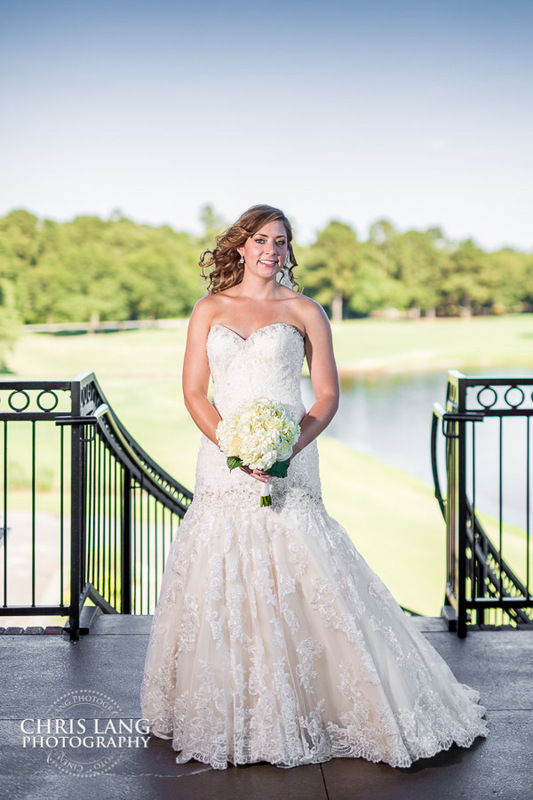 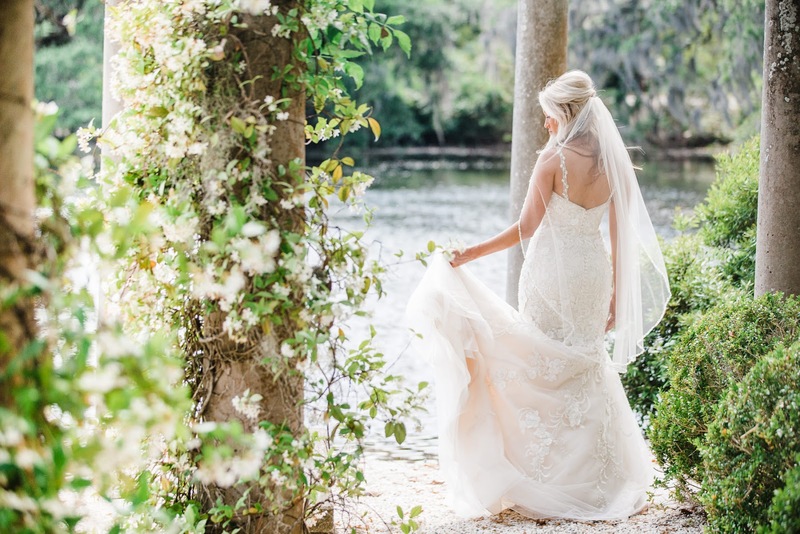 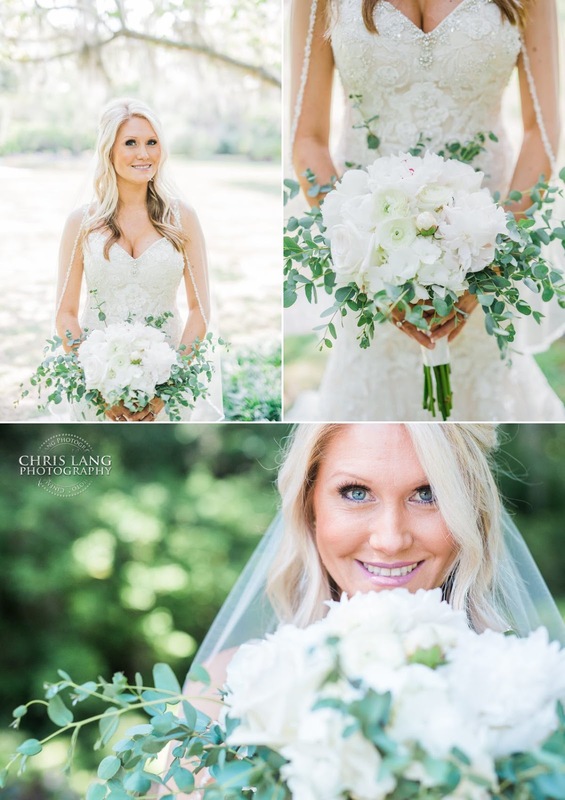 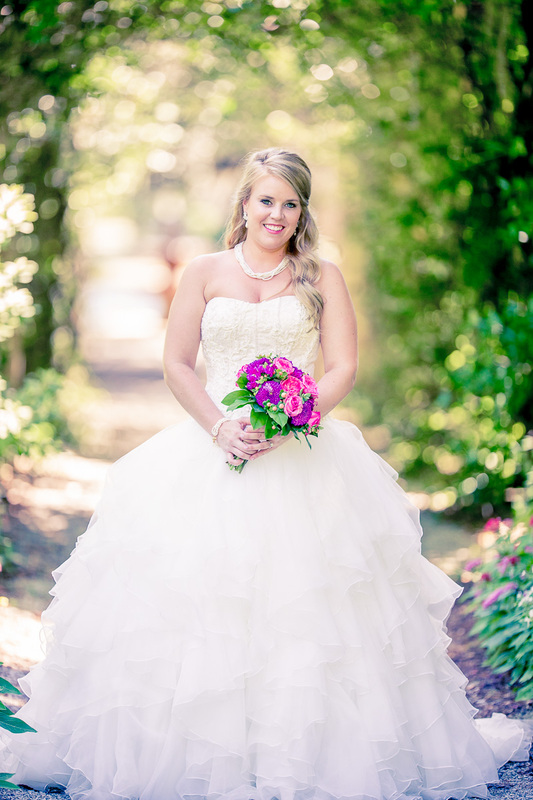 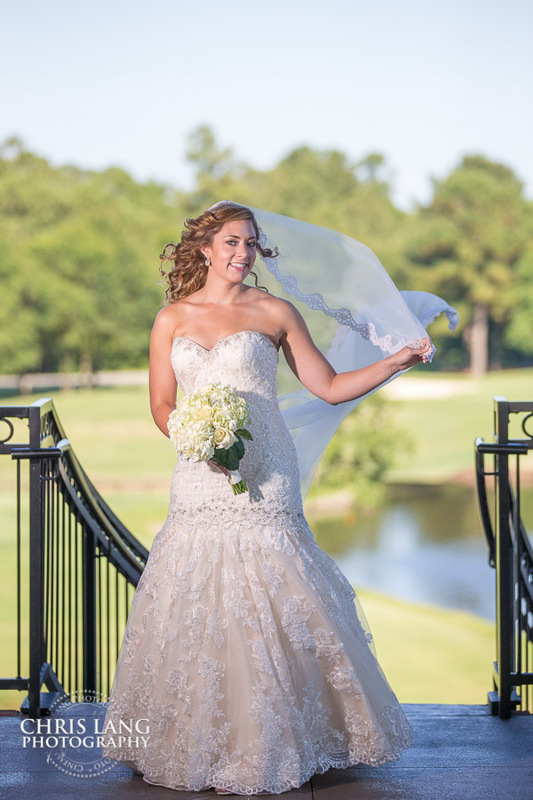 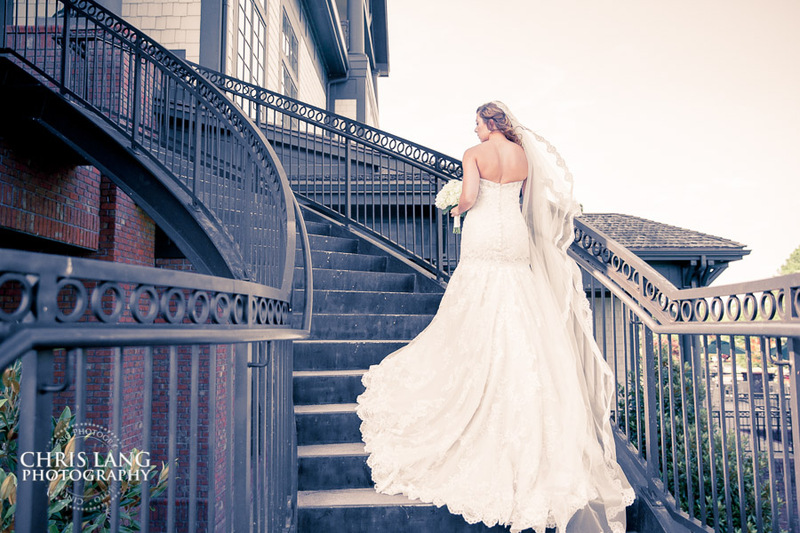 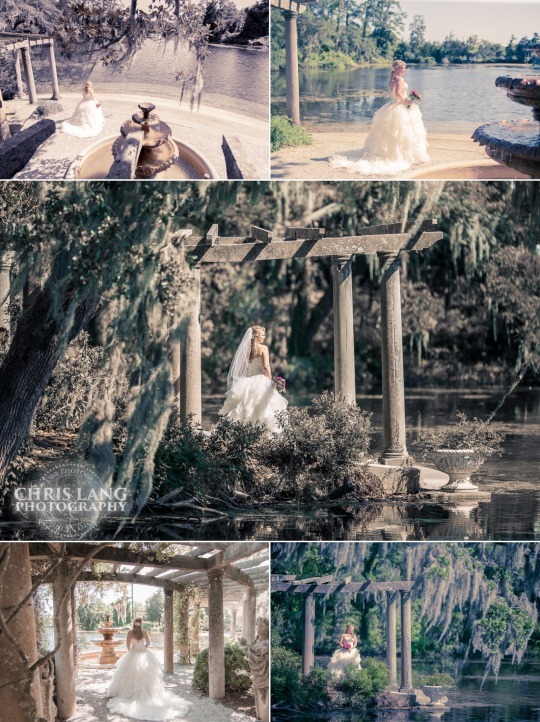 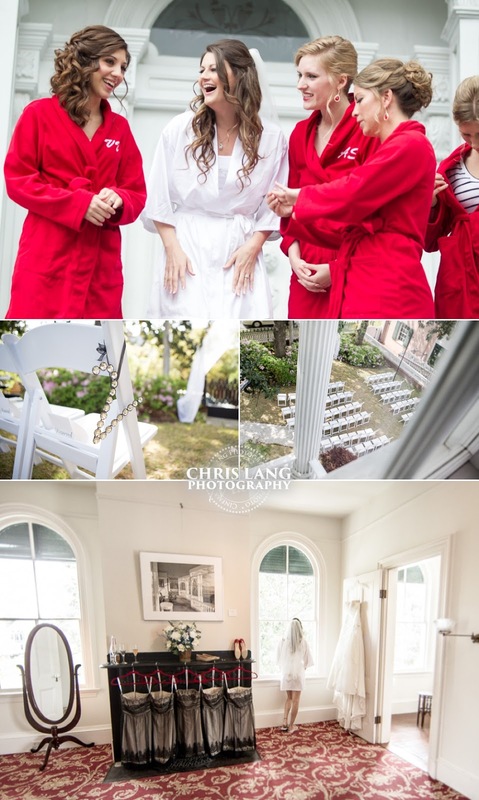 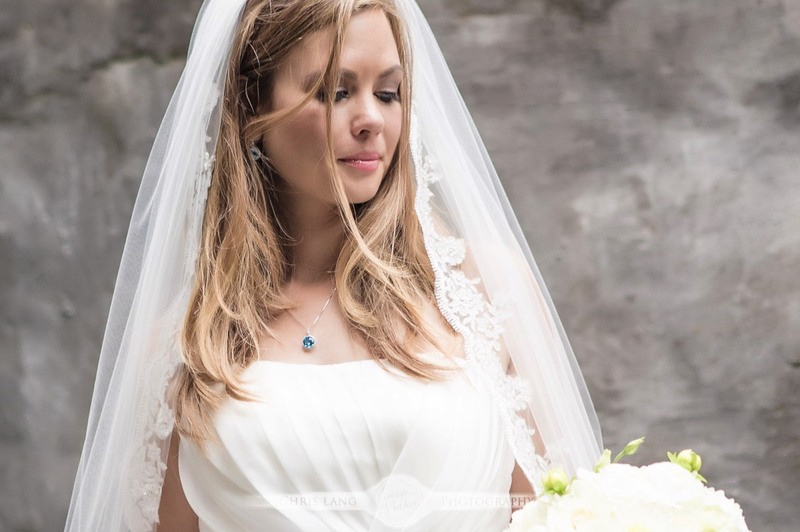 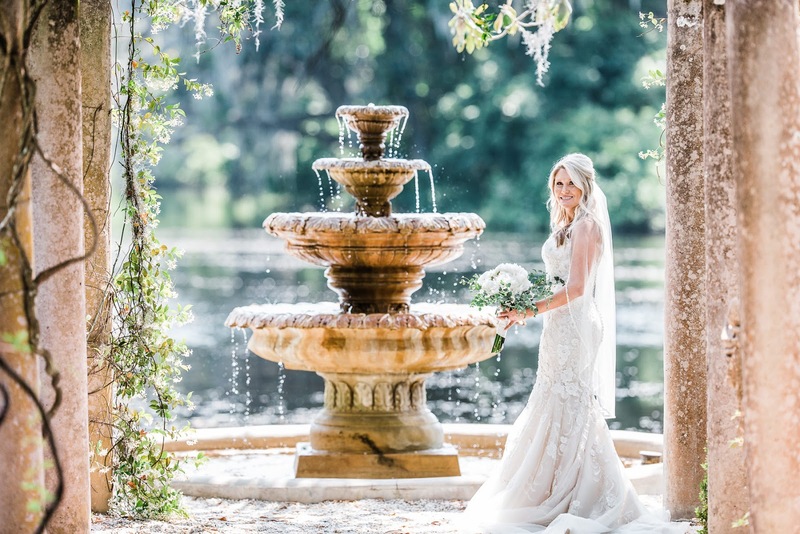 Airlie Gardens Tops The List for Stunning Bridal Photography - By Chris Lang Photography, Wilmington NC Wedding Photographer. 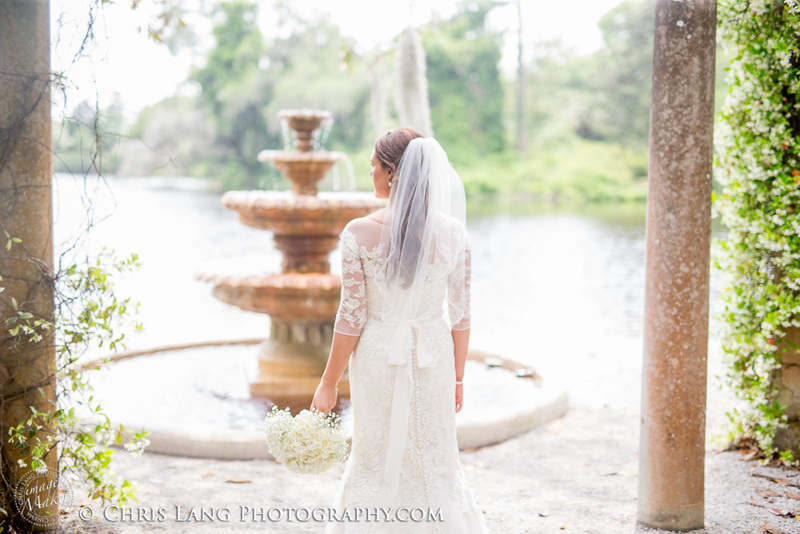 Airlie Gardens, well known for it's Airlie Garden Weddings, is not only the perfect place for weddings, but also tops my list for places to photograph bridal sessions. 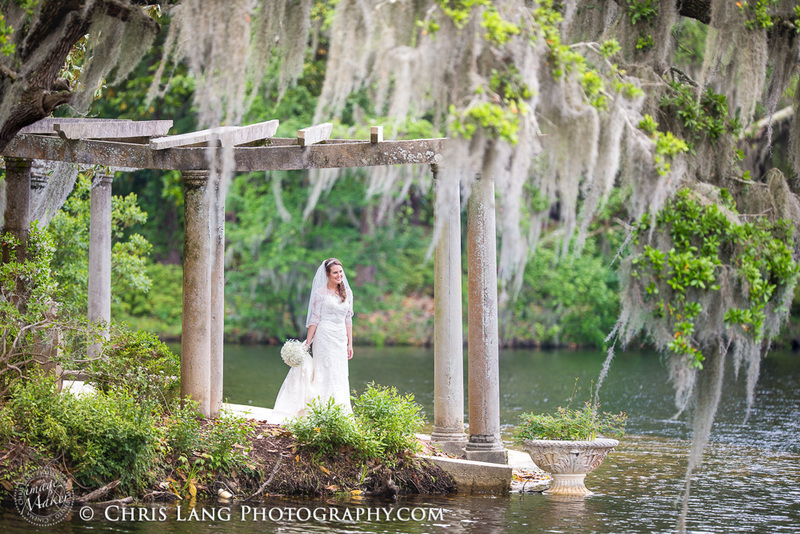 Airlie Gardens provides such iconic visuals for brides wanting garden ambiance for their bridal pictures. 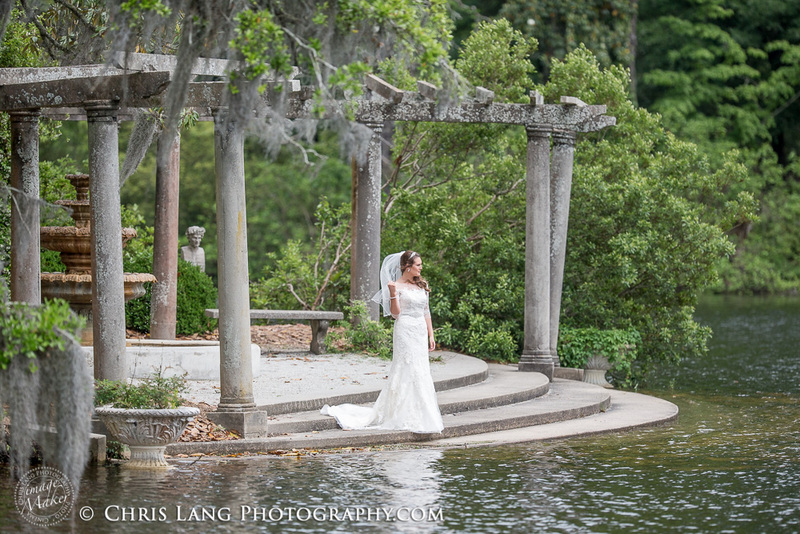 Lena was not getting married at Airlie but loved the location and backdrop. 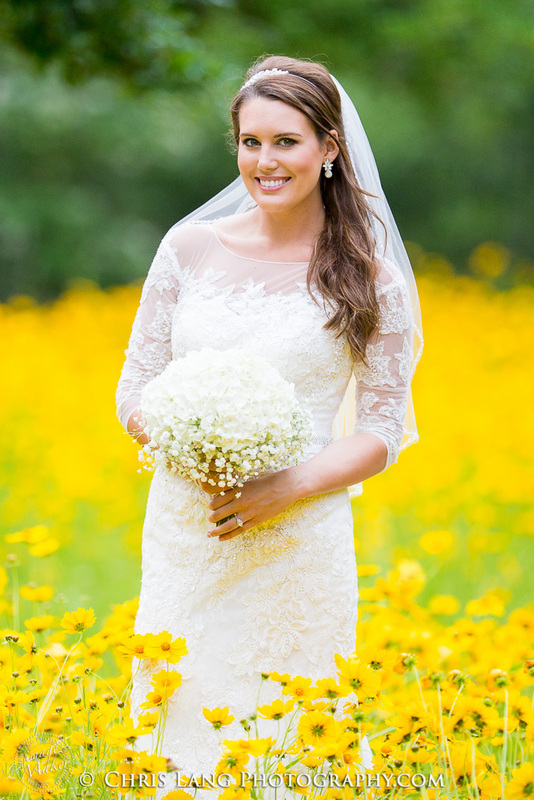 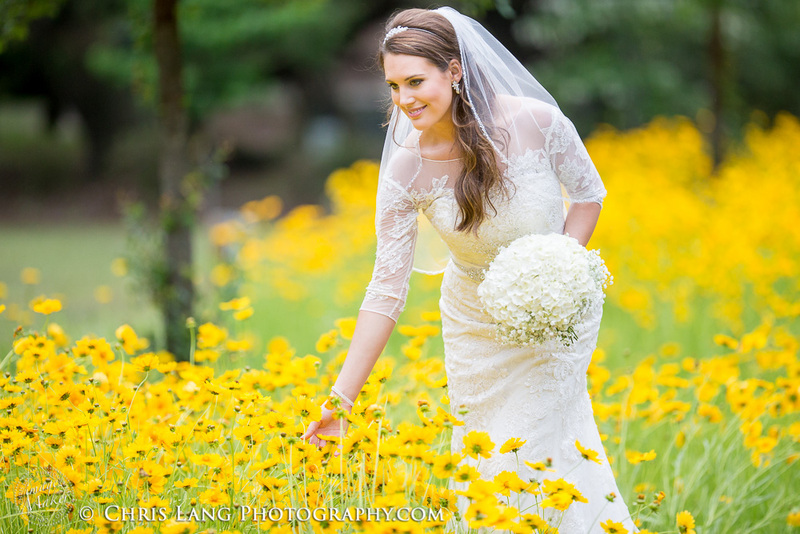 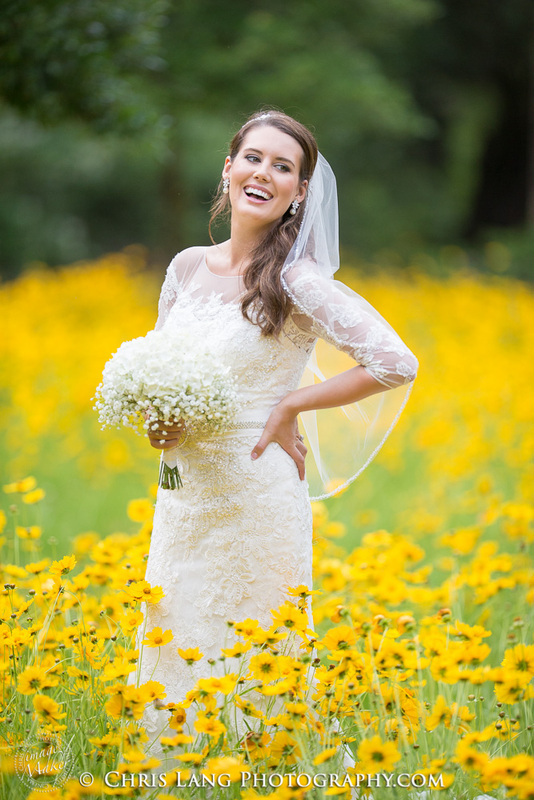 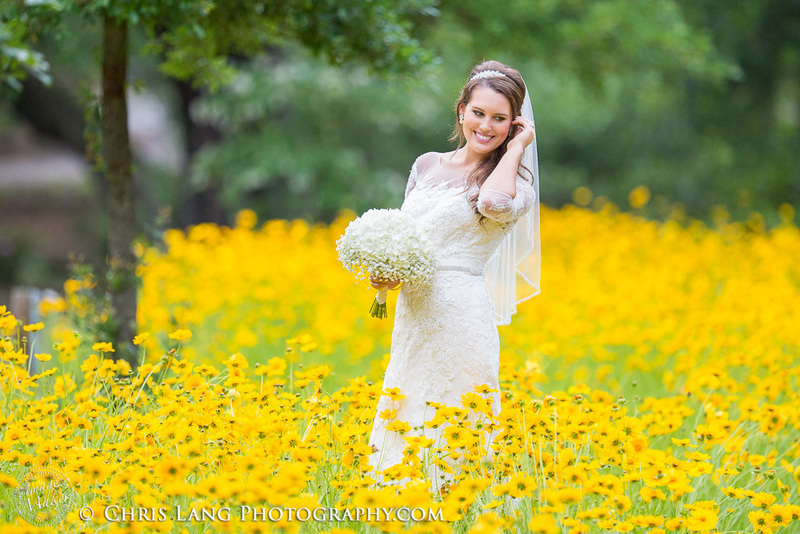 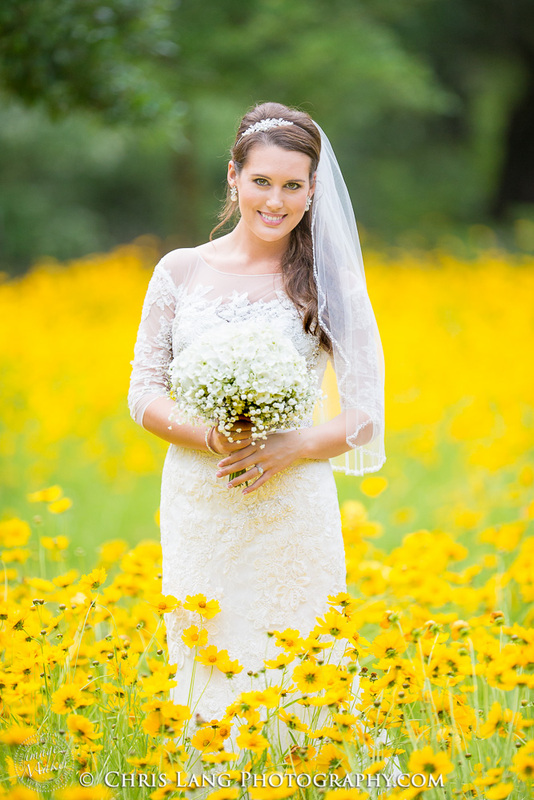 Although we missed the Tulips and Azalea blooms, we found a field of yellow flowers that provided a spring time feel for her bridal pictures. 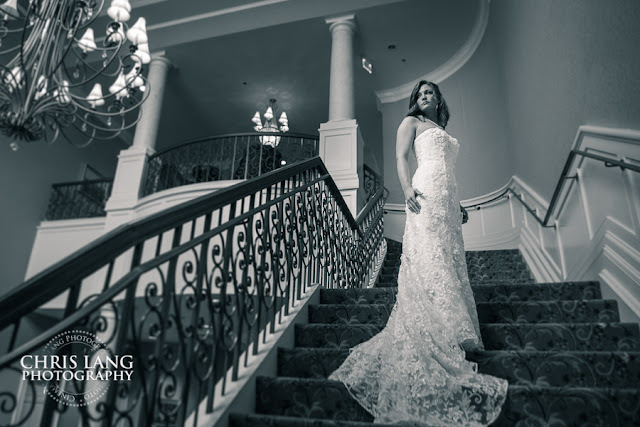 Shooting with a pair of Canon 1dx's and a Canon 5d MarkIII, I used a limited selection of lenses to include: Sigma 50 1.4 Art (I actually use this lens over my Canon 50 1.2 L lens) Canon 24-70 2.8L Canon 14 2.8 L Canon 200 2.0 L Eighty percent of this session was photographed with one of the 1DX's and the 200 f 2.0L. 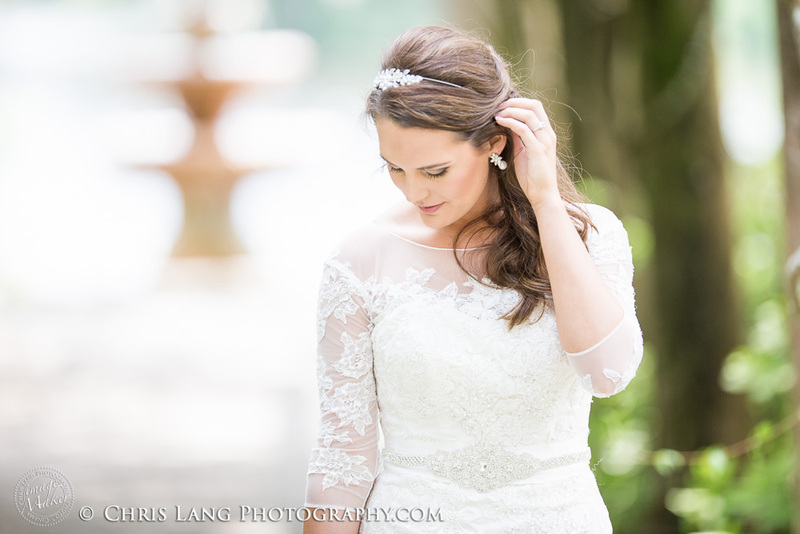 This is a strong statement, but there may be no finer portrait lens in the world than the Canon 200 f 2.0L. 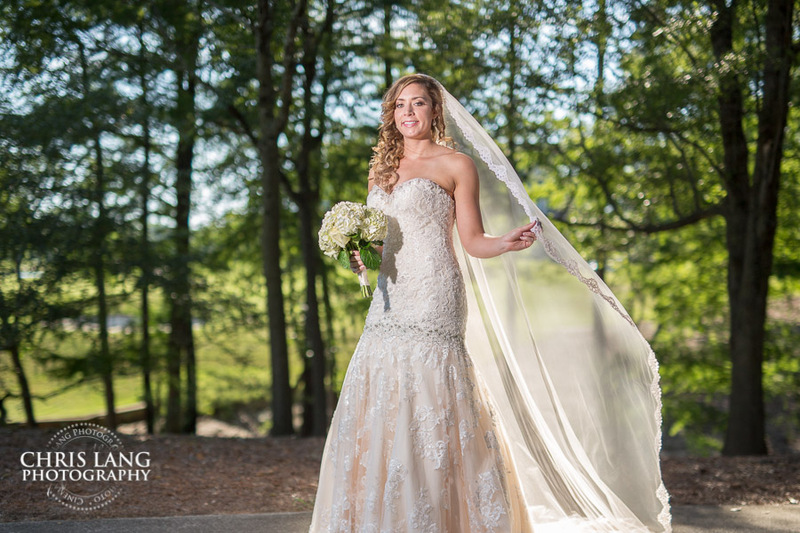 Due to the size, this lens does not come out often as it is a beast to tug around during a wedding. 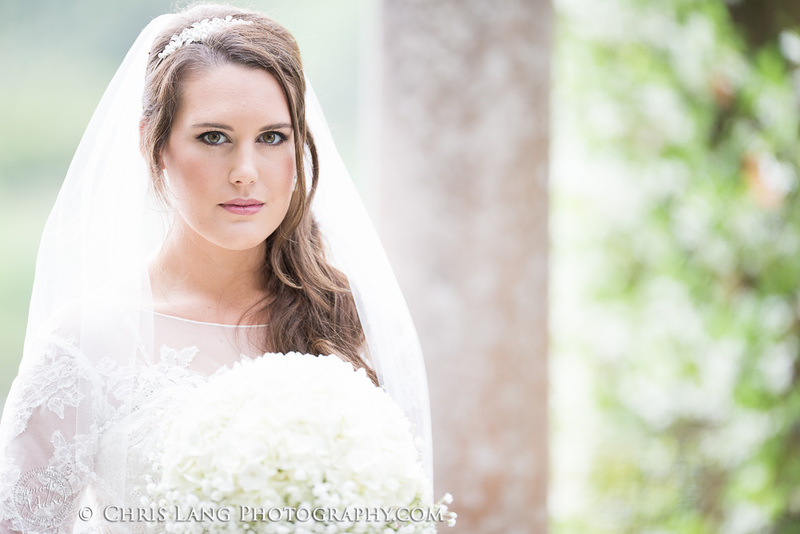 I use the Canon 200L F2.0 primarily for bridal portraits and occasionally engagement sessions. 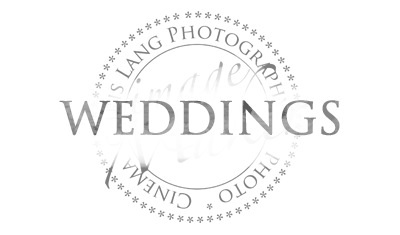 I have owned this lens for 5 years and do not use it enough. 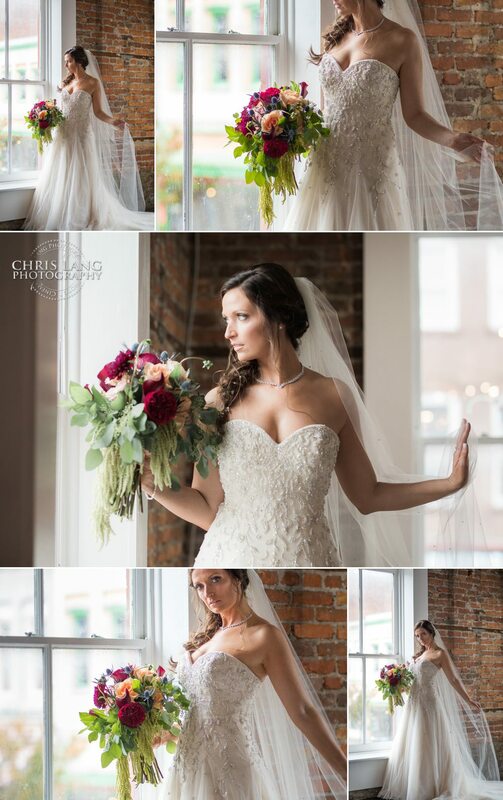 I am reminded of this every time I download the pictures from a session. 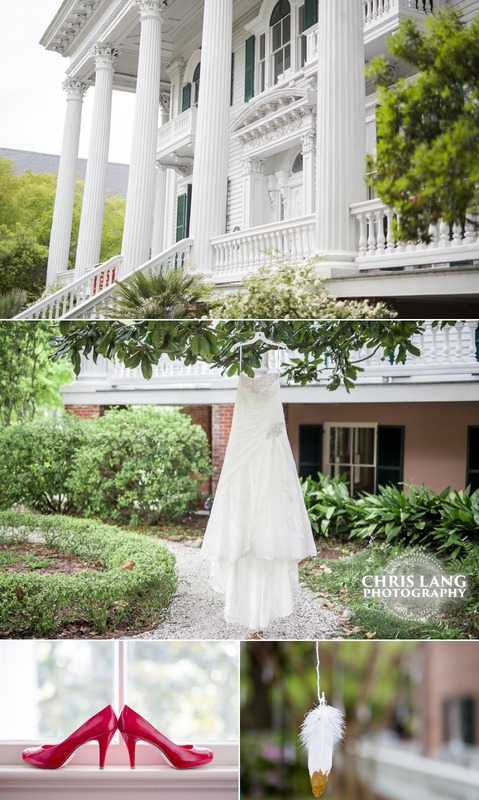 The cannon 200 f2.0 makes it all happen inside the camera. 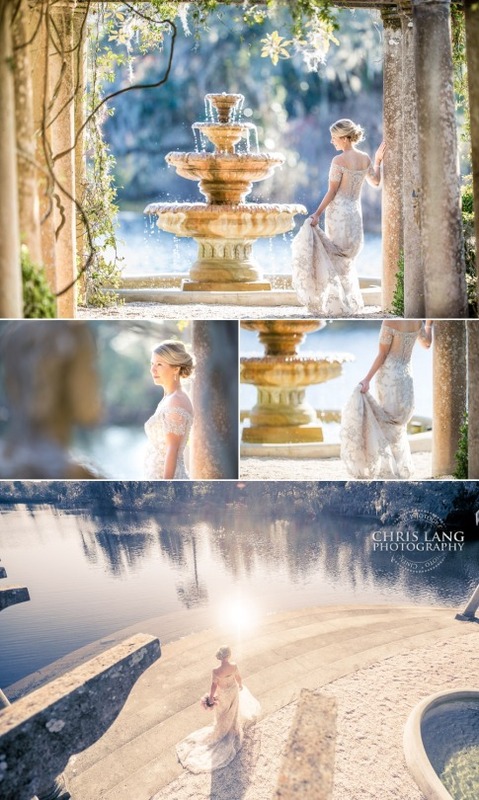 So does a $6000 lens make that much of a difference? 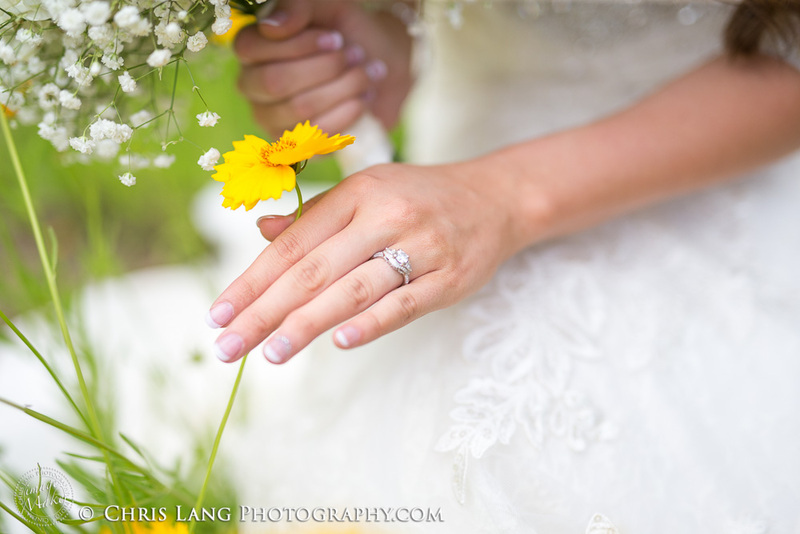 To me, this lens can do things that no other lenss can. 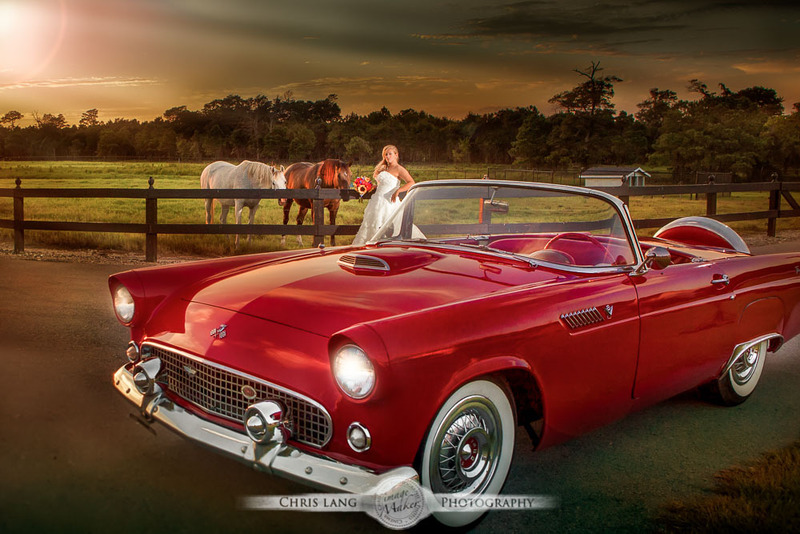 It creates an image that stands out on its own. 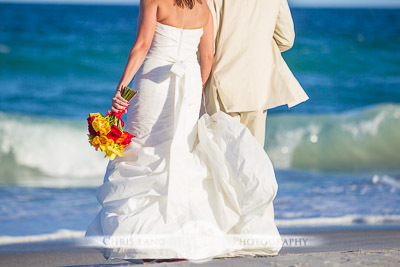 Again, the only downside from a my perspective is it is big and not a tug around lens. 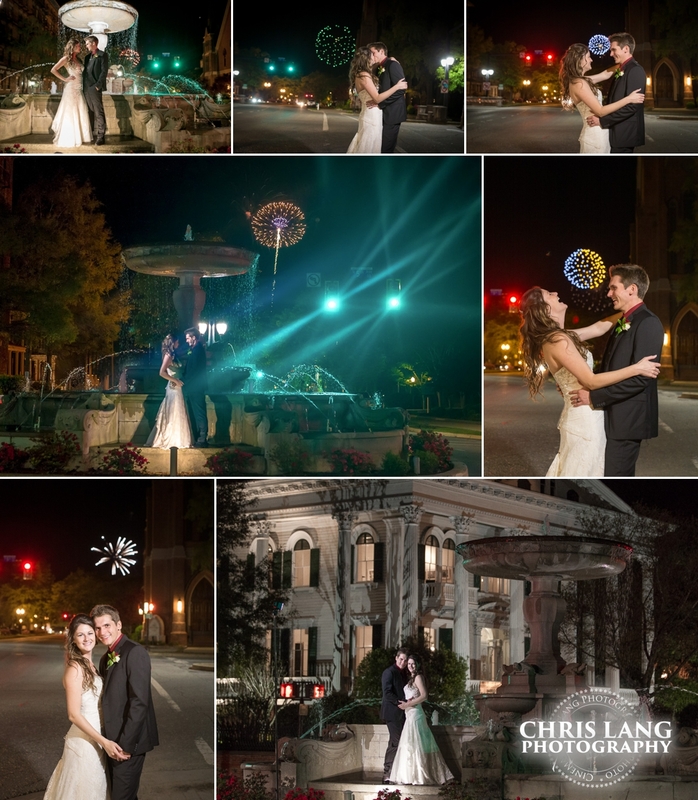 Here are a few with the Canon 200 f 2.0 L glass. 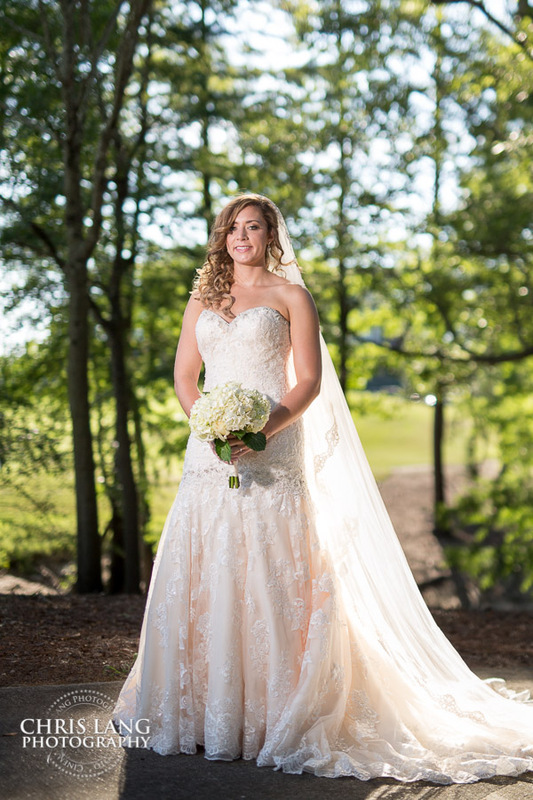 Courtney looked amazing in her dress. 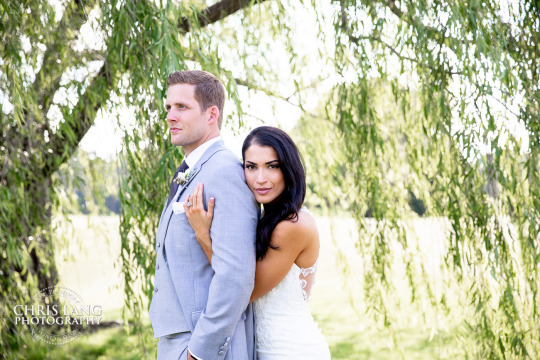 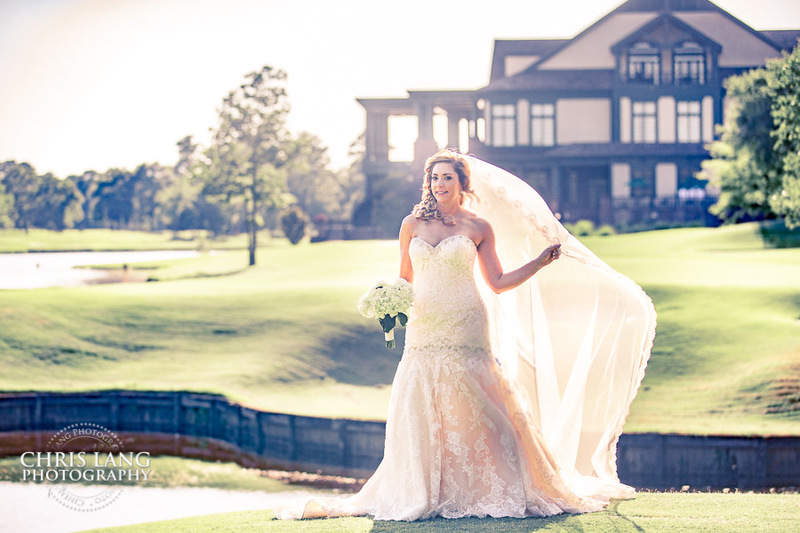 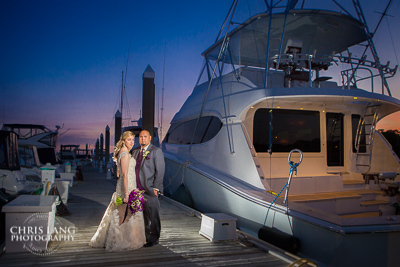 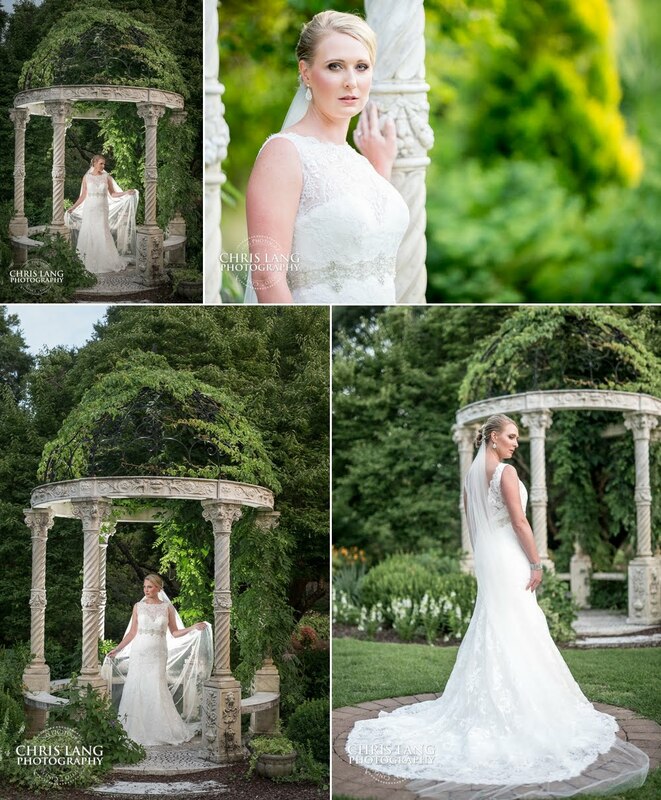 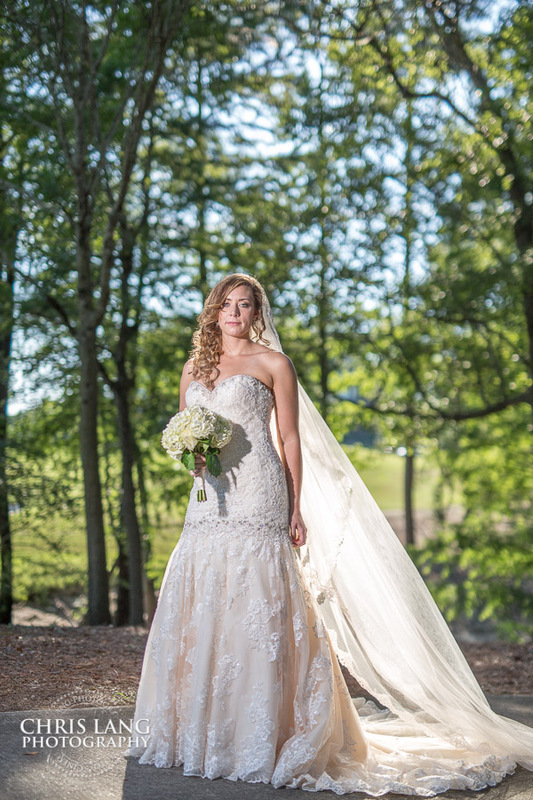 We had the perfect backdrop of River Landing to create her bridal portfolio. 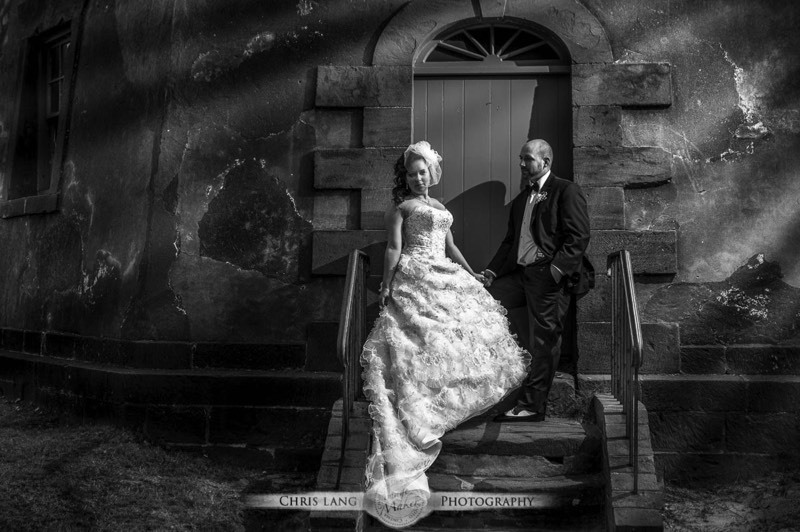 As with any session, you can try your best to plan around great light and weather but ultimately you are at the whim of nature. Our session was under very dark storm clouds. 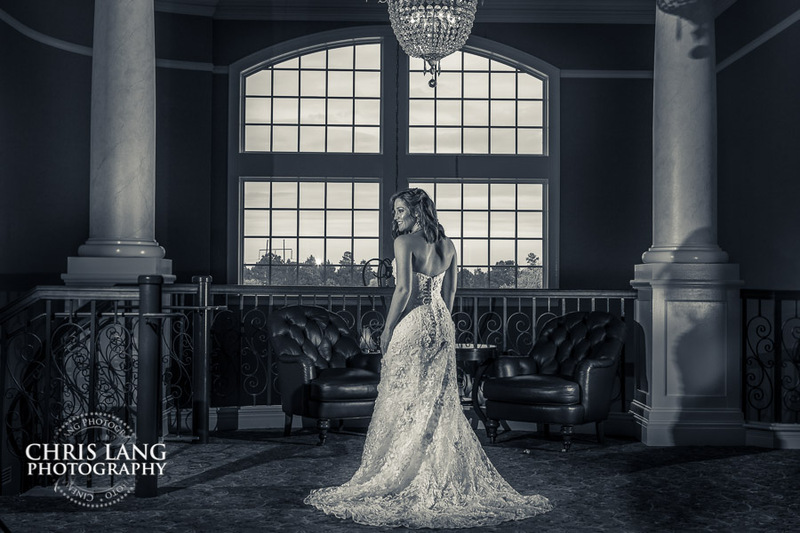 One of the great things about shooting and creating different photography styles, is that you don't have to be pin-holed into any one style. 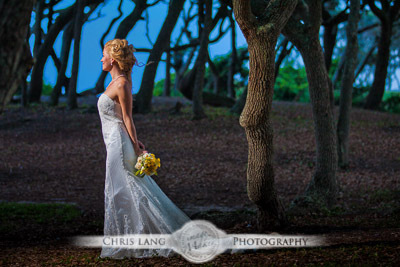 The thing is I like so many styles, that it is often hard for even me to choose a favorite version of a single picture. 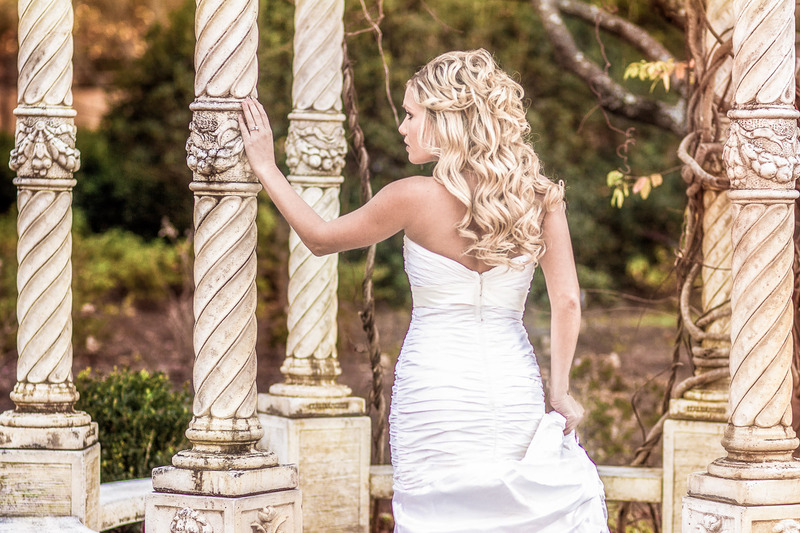 There are so many factors that go into creating. From the light to the texture, to the colors, to the style, and most important, the personality of the people you are photographing. 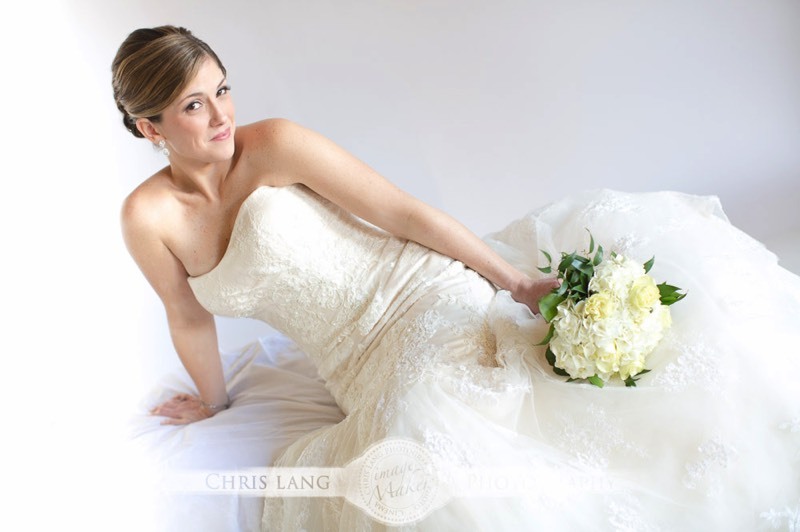 With every bridal session, I give my brides a variation of styles even producing different versions some of the same picture. 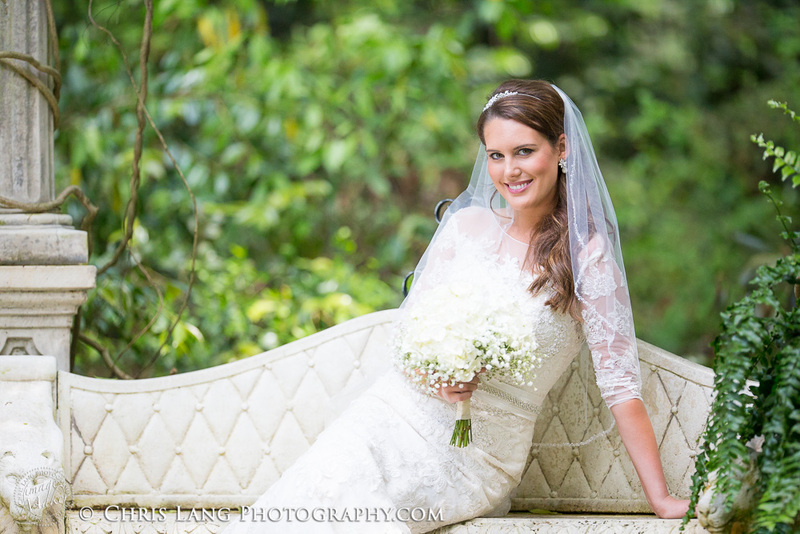 One thing is for sure... no two bridal sessions are the same. 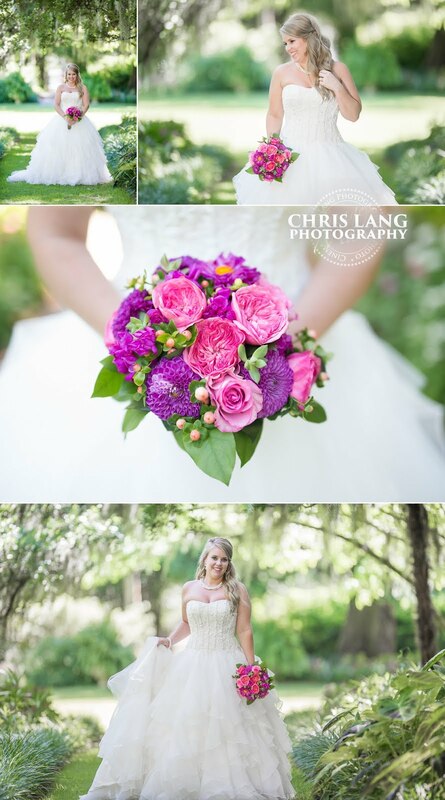 Here are just a few from Courtnei's bridal. Photographing Bridals on a cloudy or off & on rainy day. 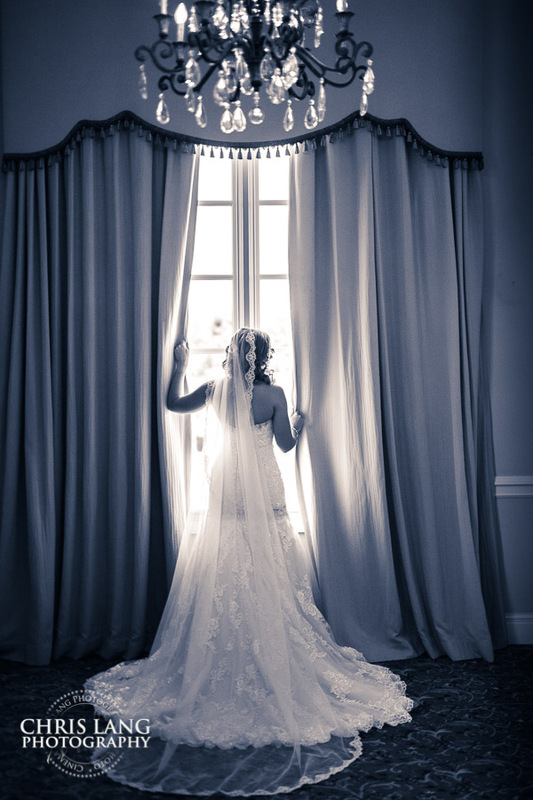 How to deal with the flats (flat light). 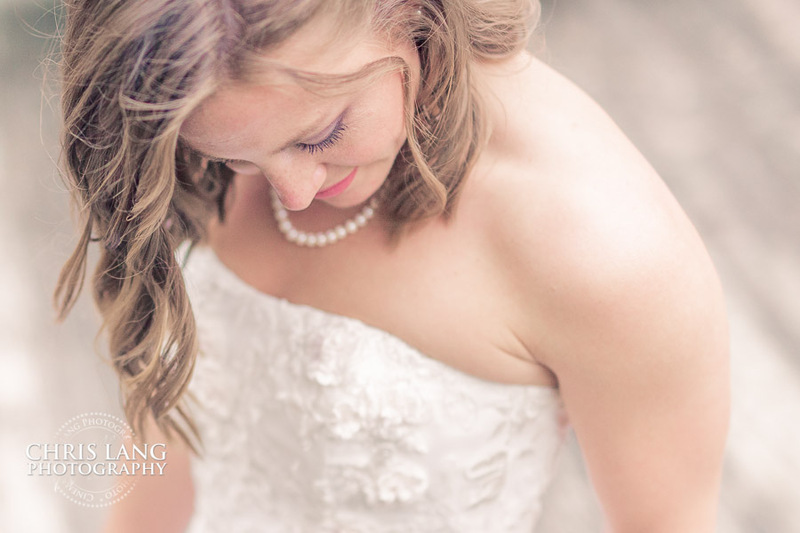 The first set in this series I created a softer pastel style to work with the light that we had for the day. 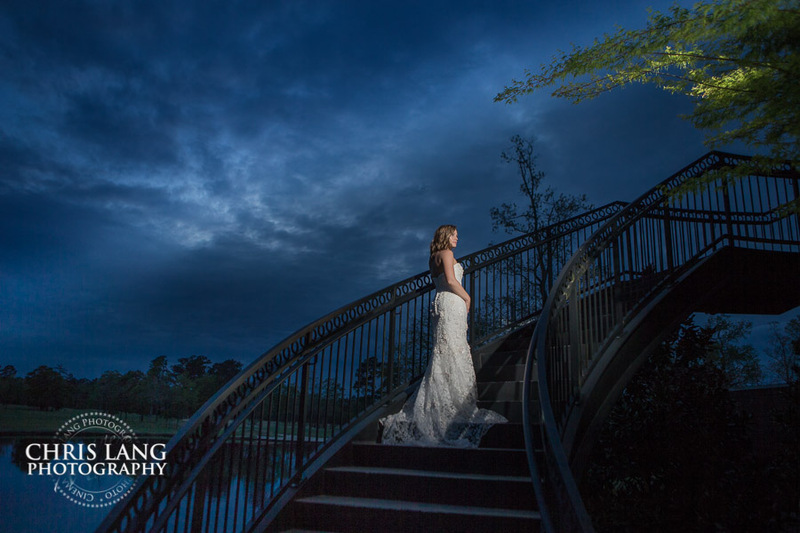 It was cloudy with darker grey clouds that produces a very flat light. 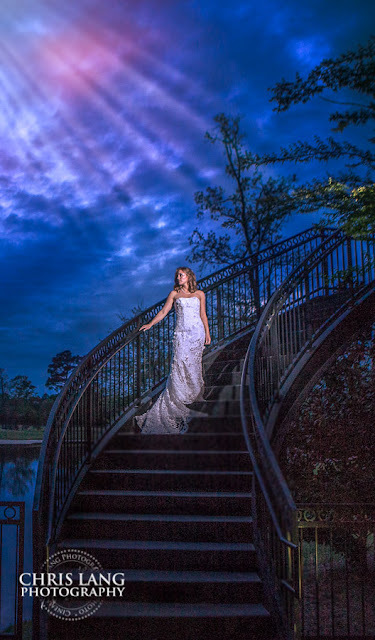 While you can never predict what kind of light you will have on a session, or a wedding day, you always have to be creative and flexible with what you have. 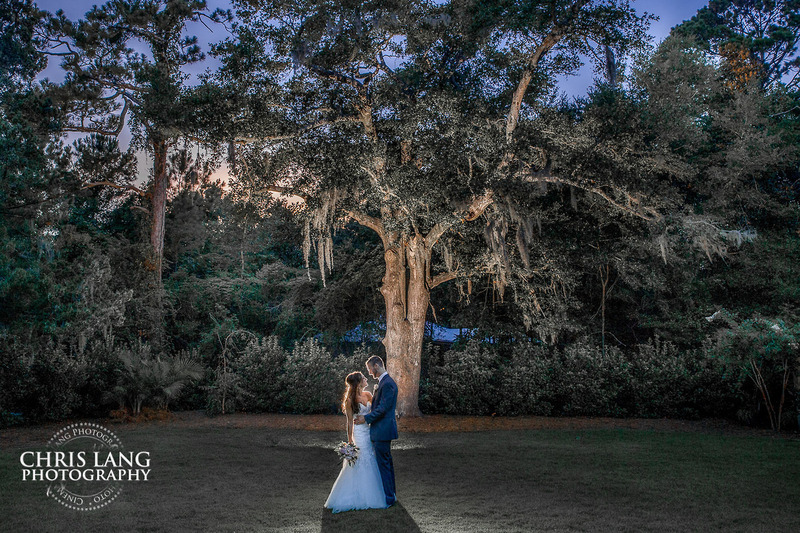 I think you can get amazing pictures regardless of light, but it will for sure impact some style and color. 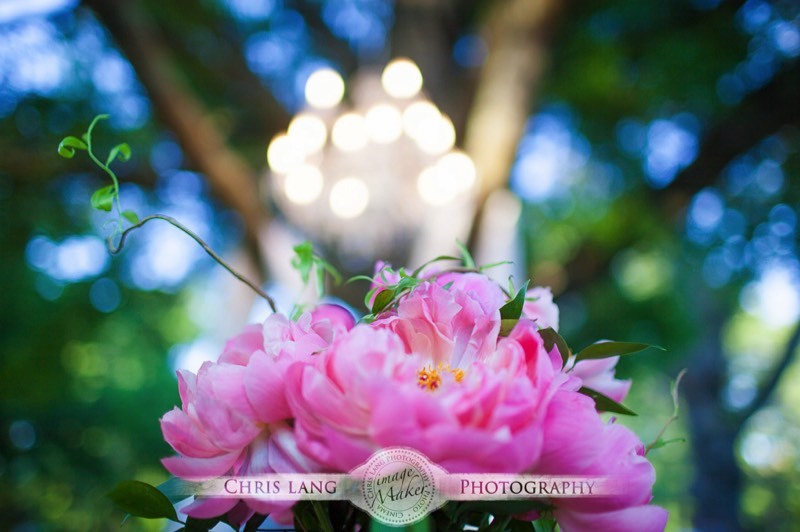 Since the light was flat, I created a flat style to bring out the light. 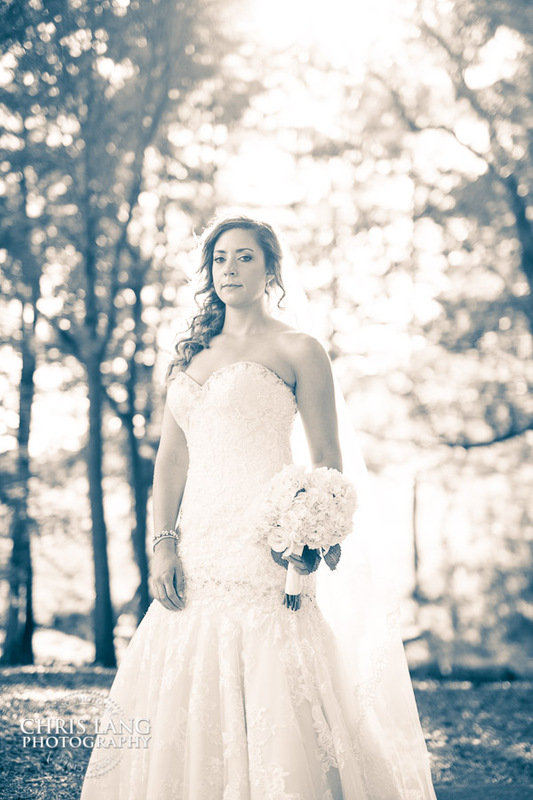 I also want to bring a better balance and warmth to offset the grey's with a few different techniques of color cross processing. 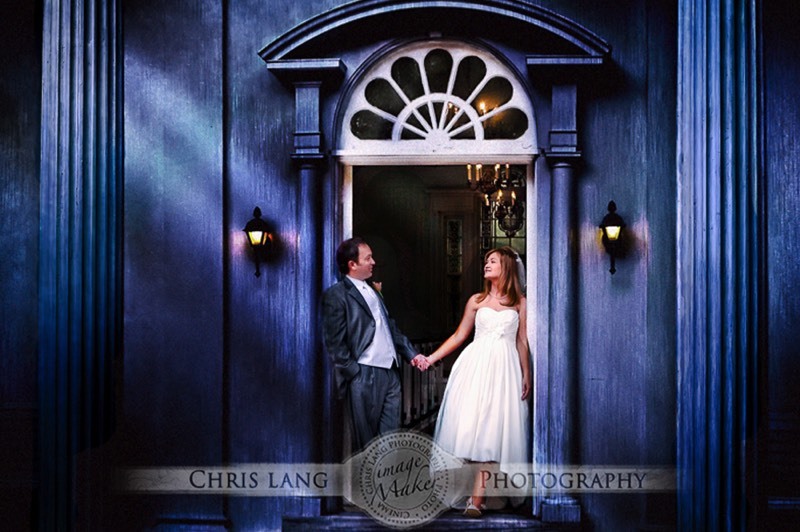 Below is a picture with a flat process and the natural color that we were working with. 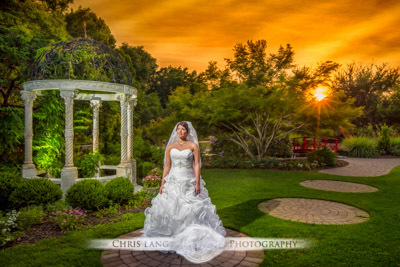 River Landing is an amazing country club located in Wallace NC. 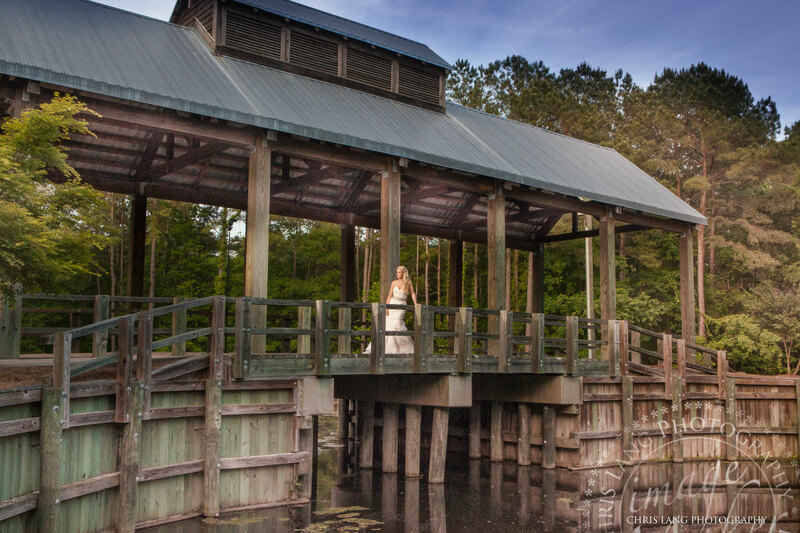 If you are planning a wedding and looking for an amazing place to get married or have you wedding reception check out River Landing. 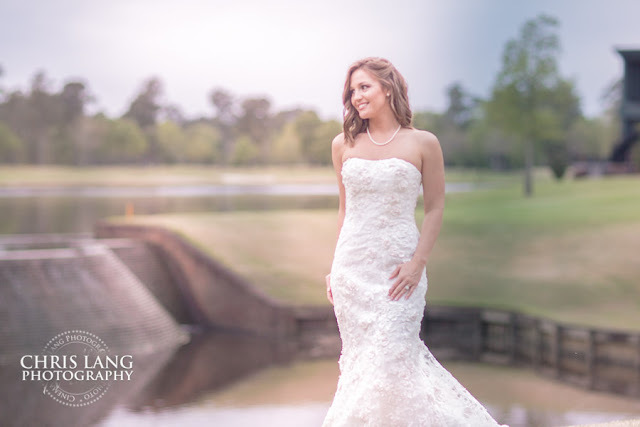 I just updated our River Landing Weddings website where you can see our wedding photography and videography work. 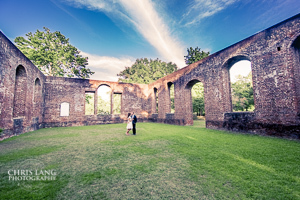 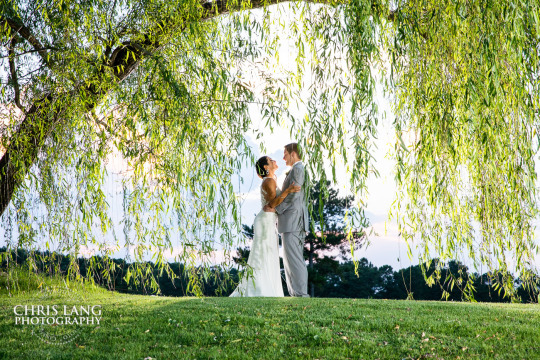 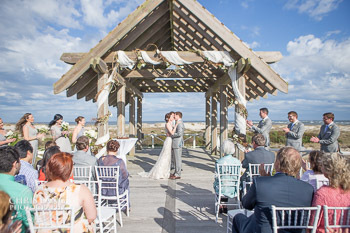 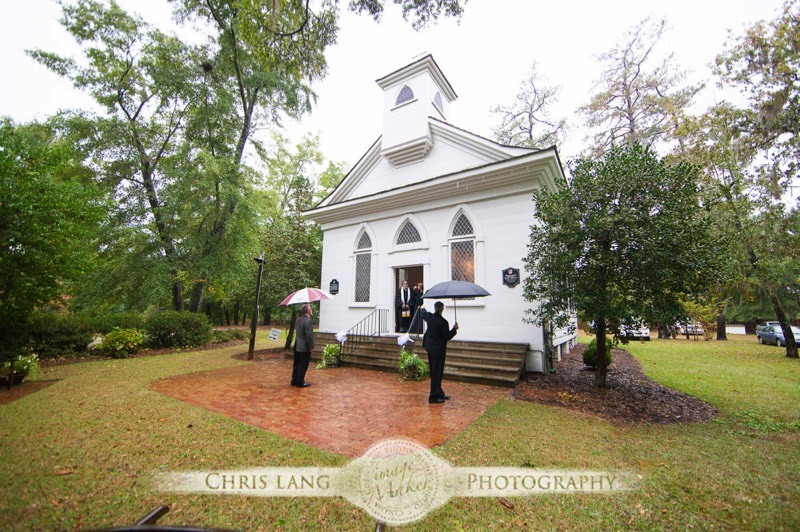 It is intended to give our clients an overall view of the NC wedding venue along with showing our photography styles. 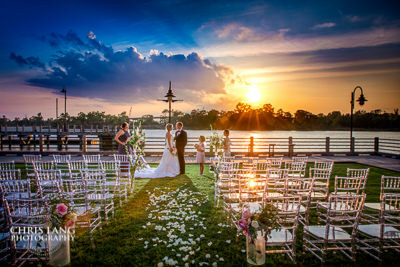 River Landing is also unique in that is offers several locations to have your wedding and reception. 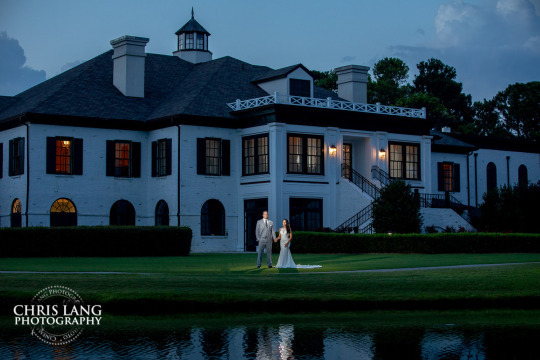 The most popular is the River Landing Clubhouse. 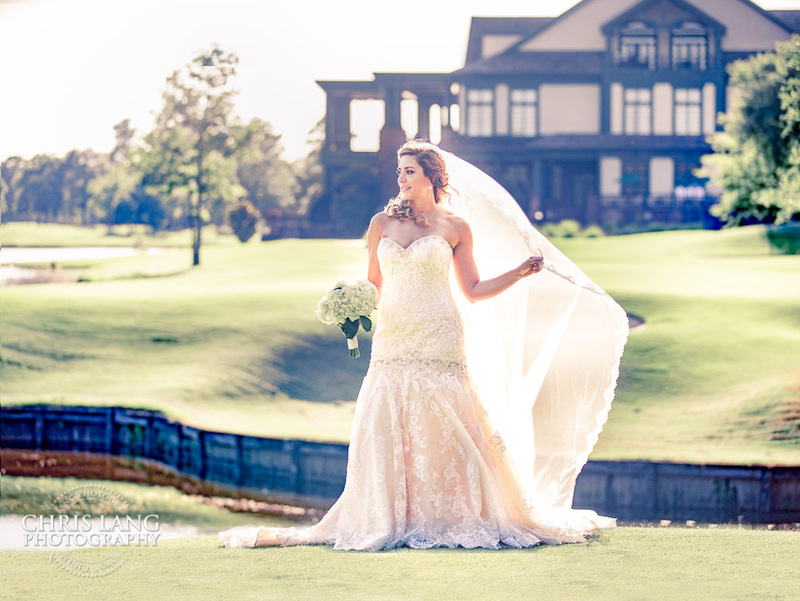 The clubhouse is impressive and that is coming from someone who has been in some of the most iconic clubhouses. 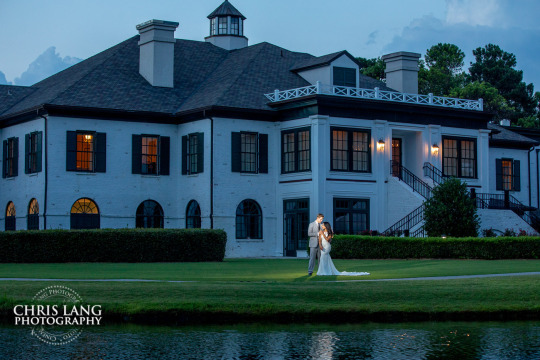 Another very cool place that River Landing boasts is The River Lodge at River Landing. 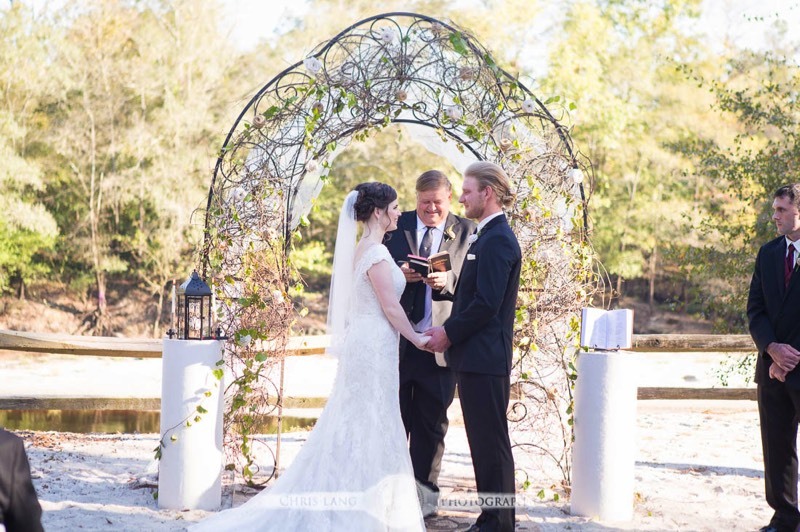 The River Lodge provides another unique experience for someone looking for a more rustic and outdoor feel for their wedding or reception. 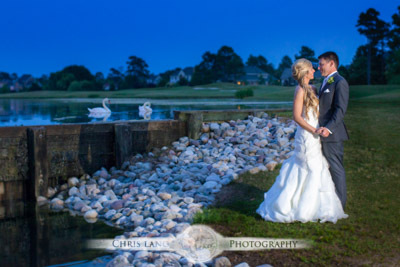 The River Lodge is nestled along the river in a wooded area of the golf course and provides a very private feel.